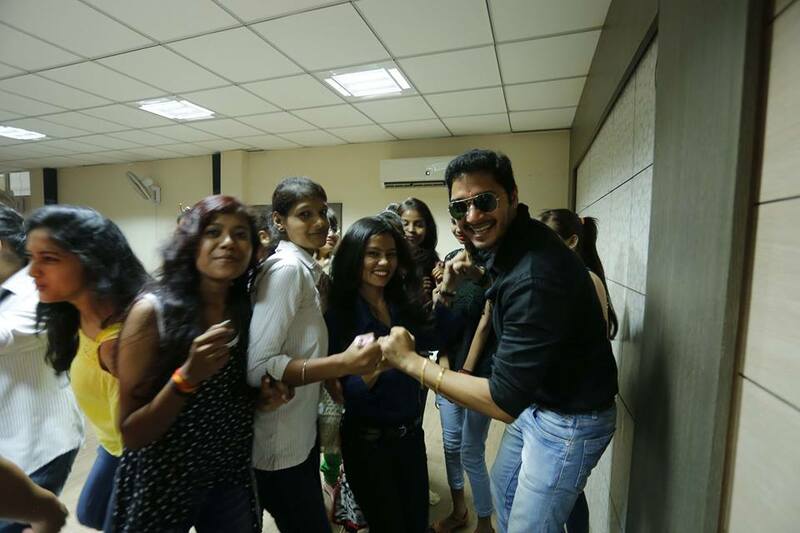 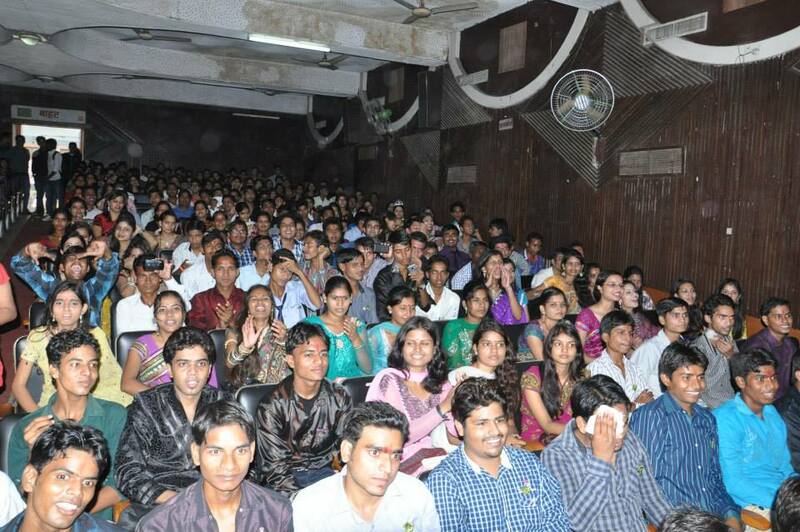 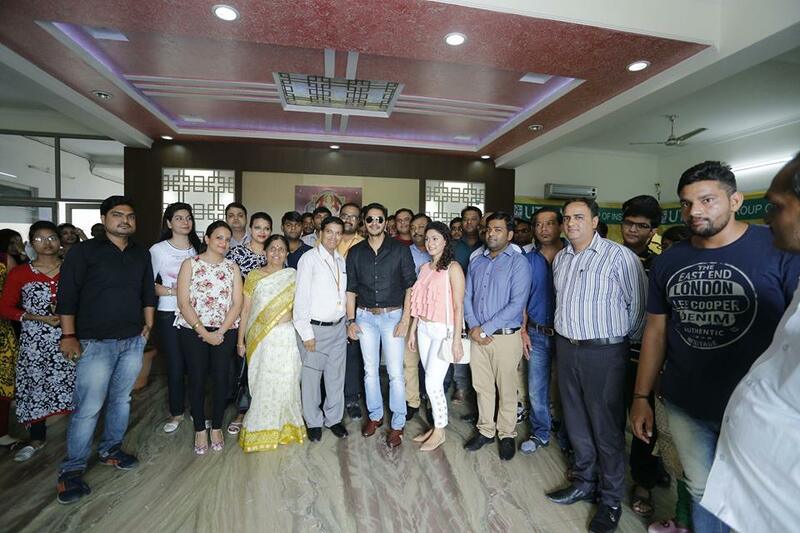 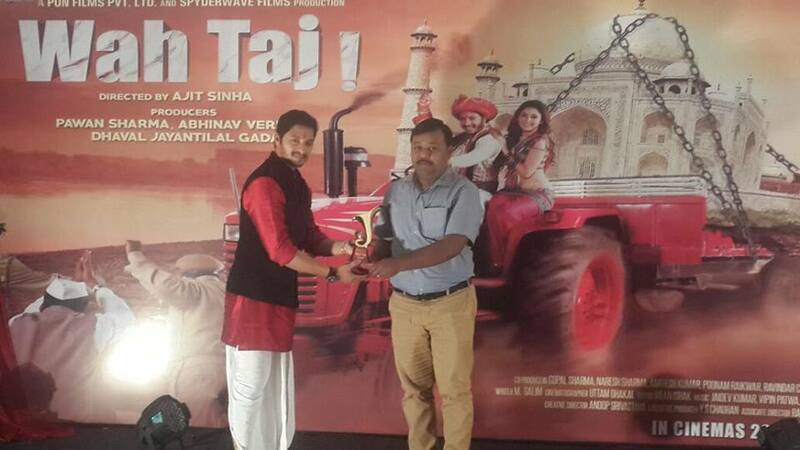 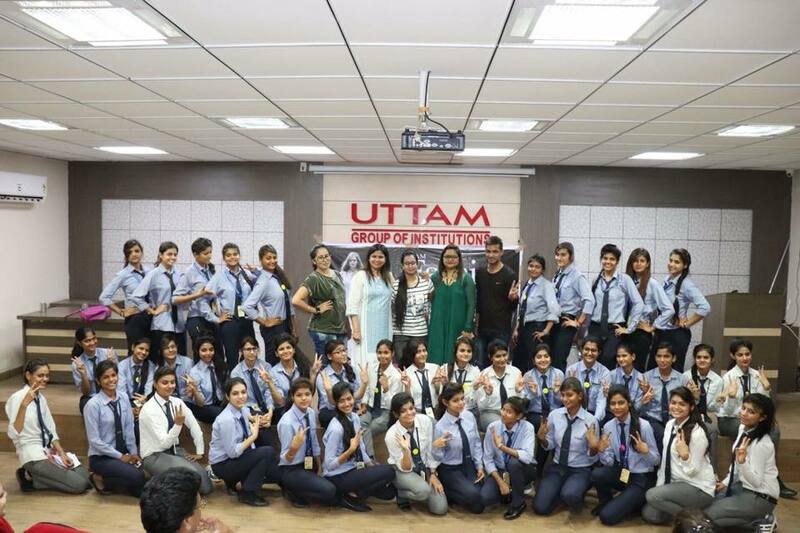 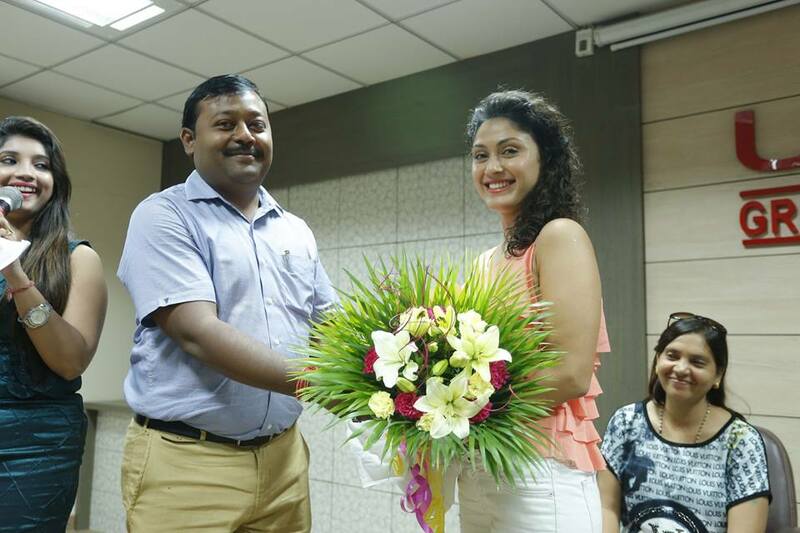 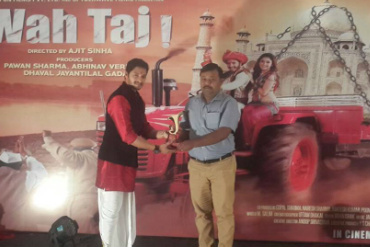 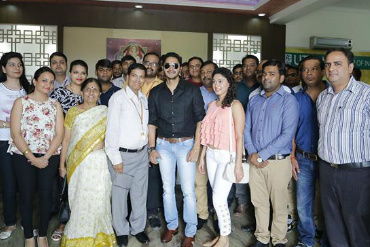 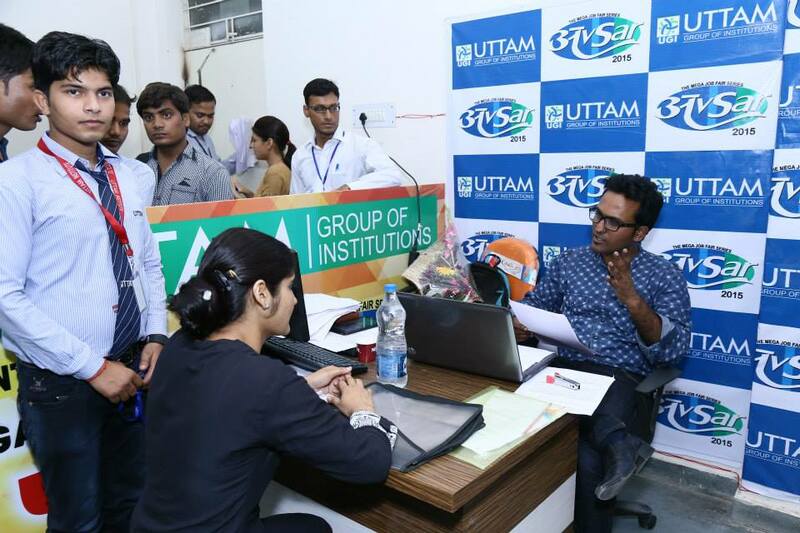 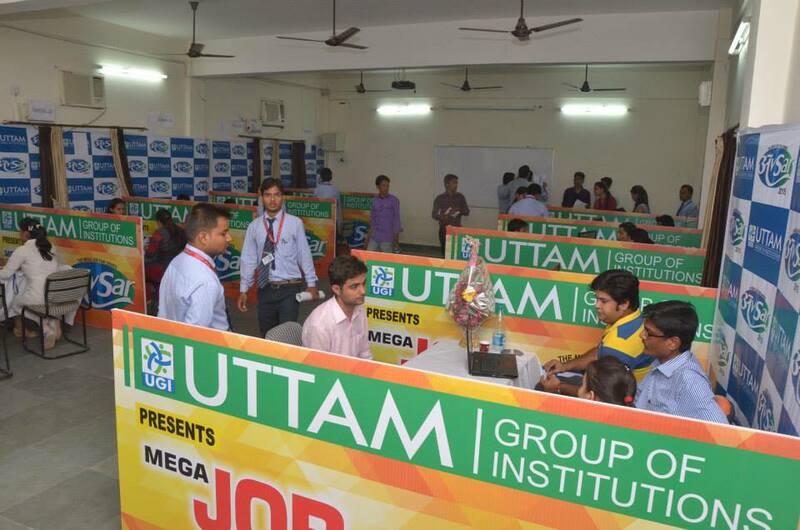 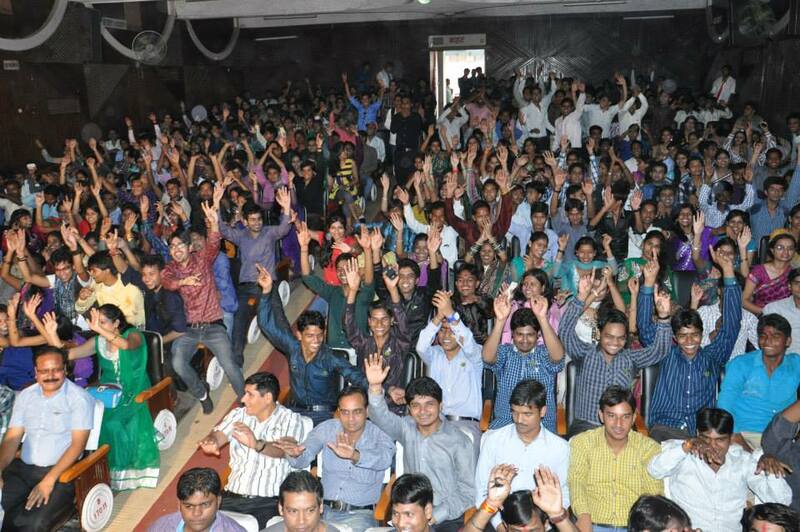 Bollywood stars Shreyas Talpade and Manjari Phadnis interacting with the students UGI auditorium at UGI campus Runakta Agra. 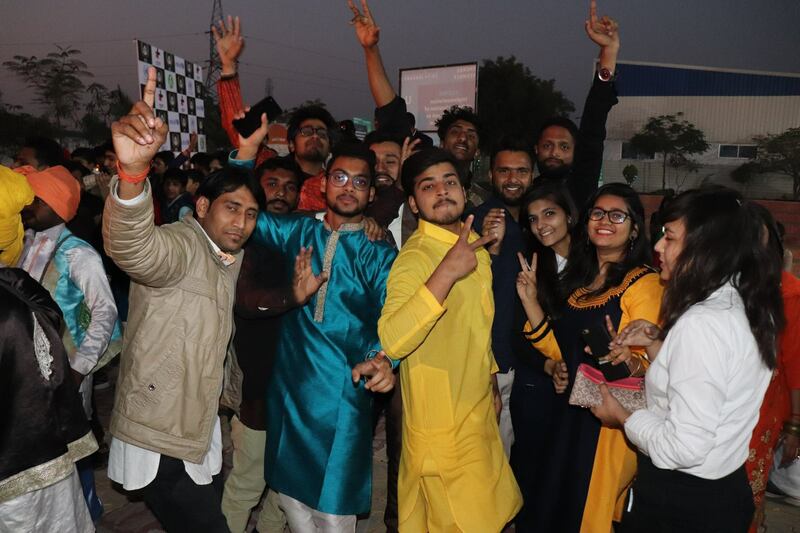 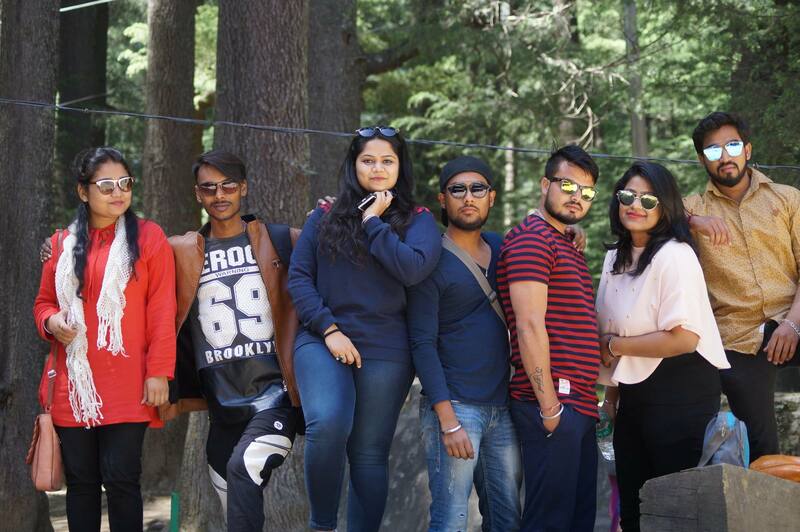 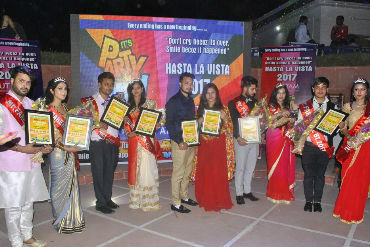 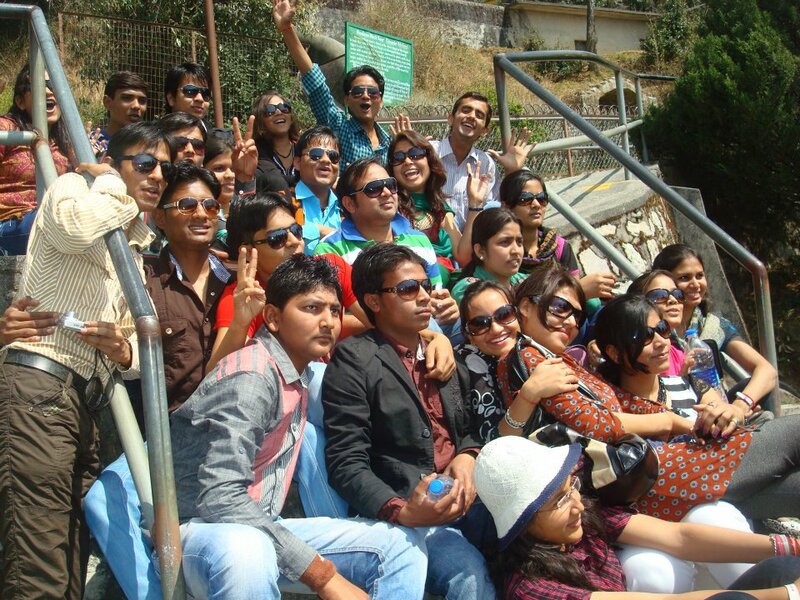 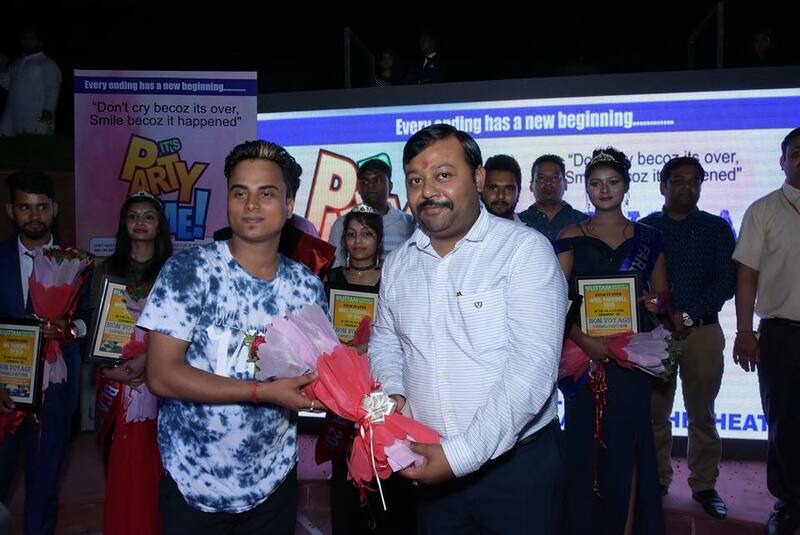 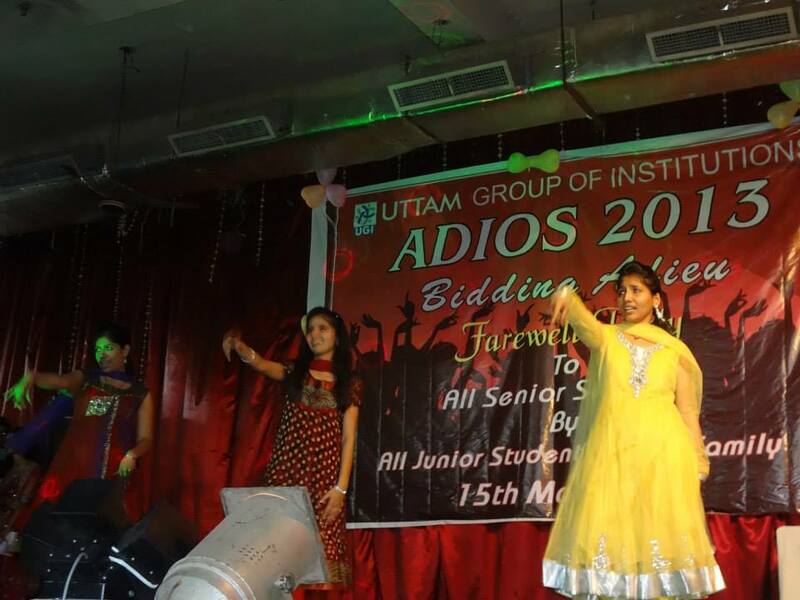 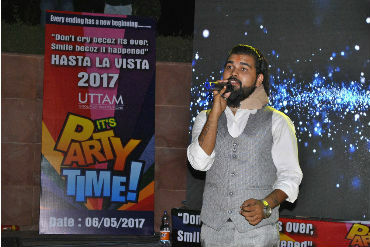 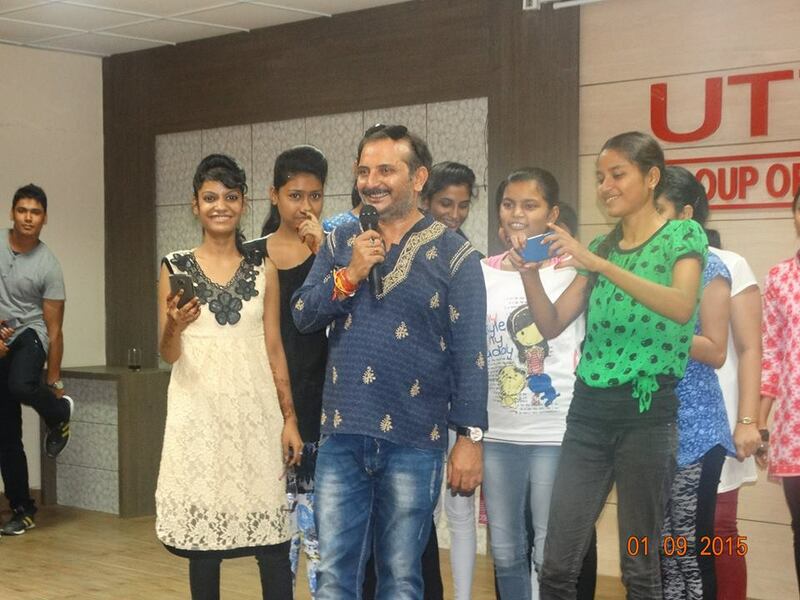 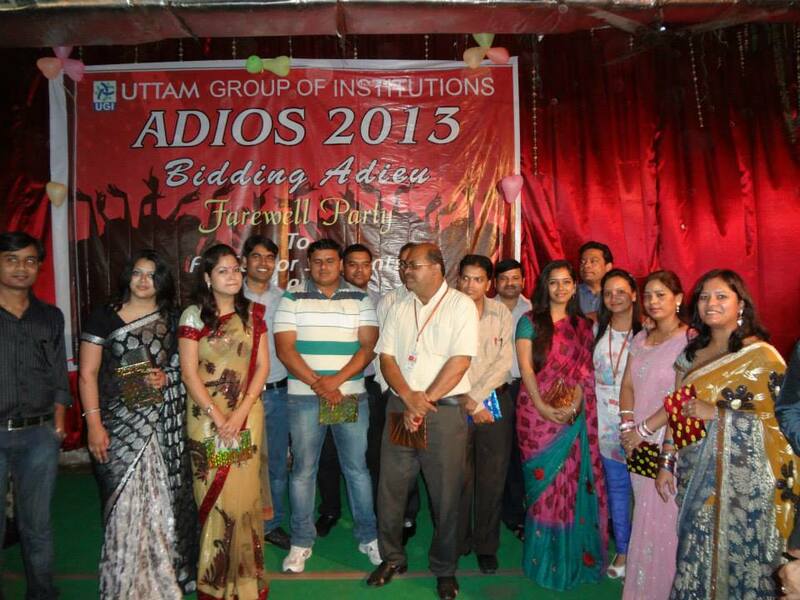 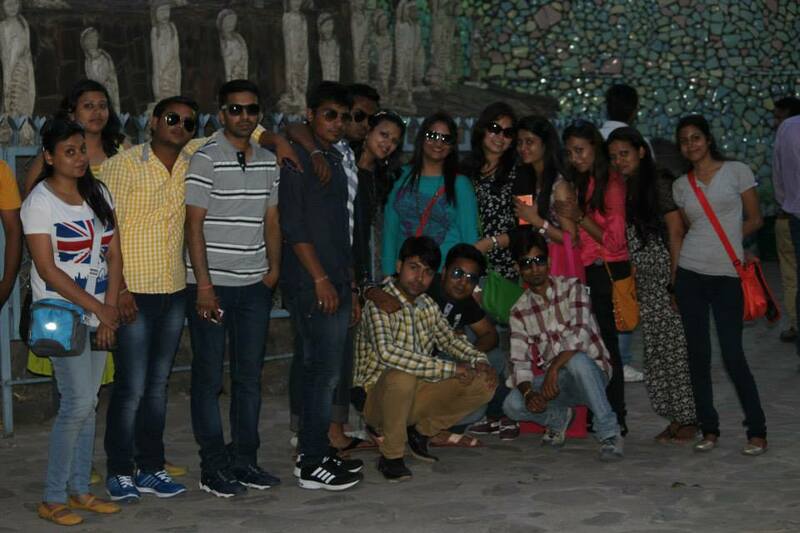 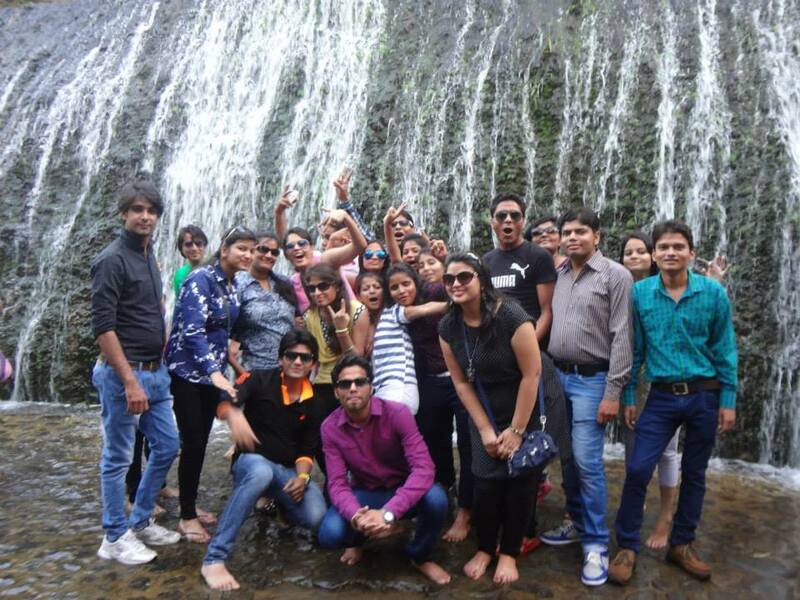 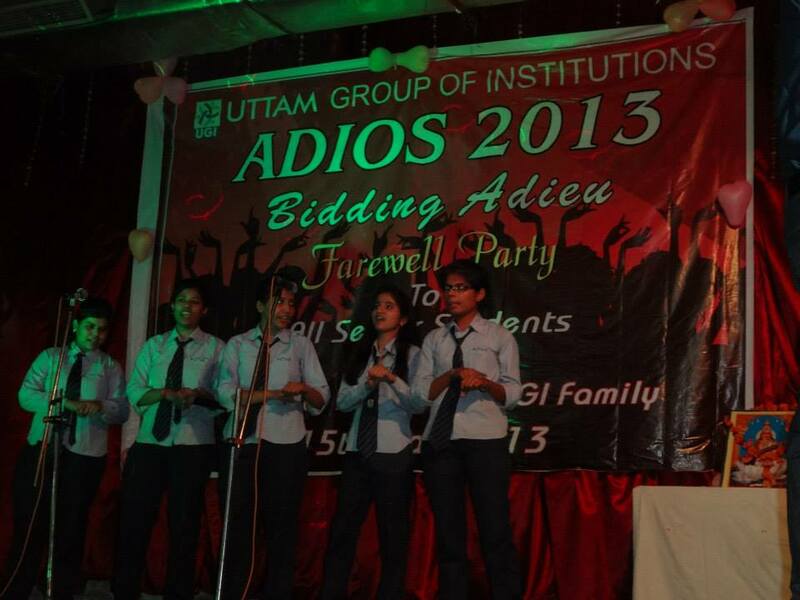 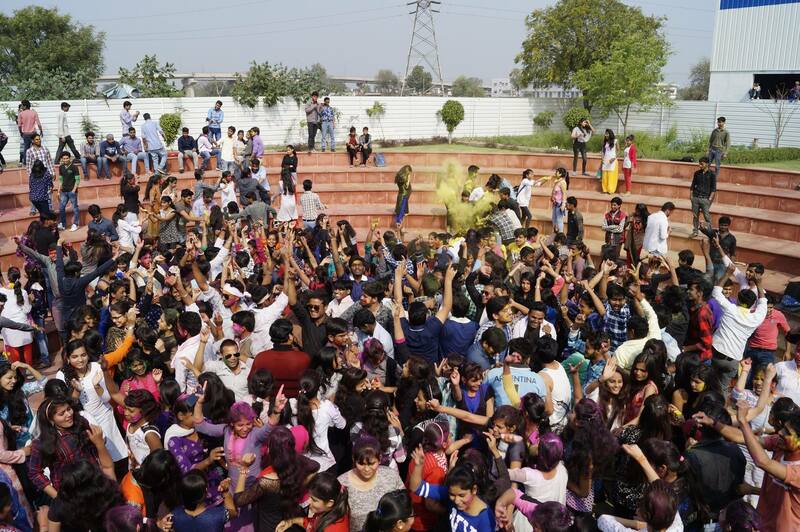 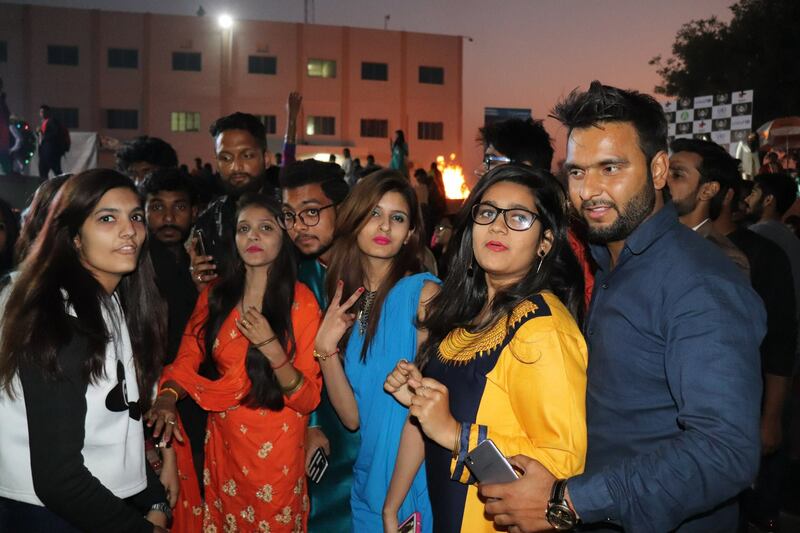 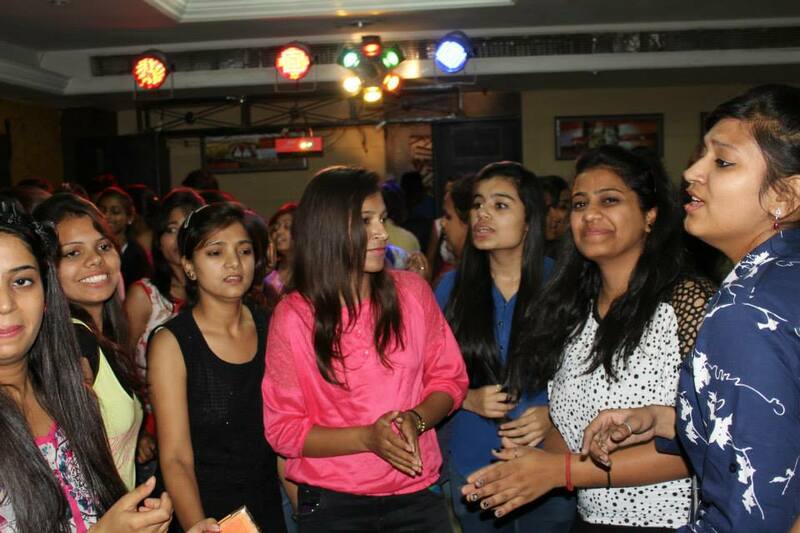 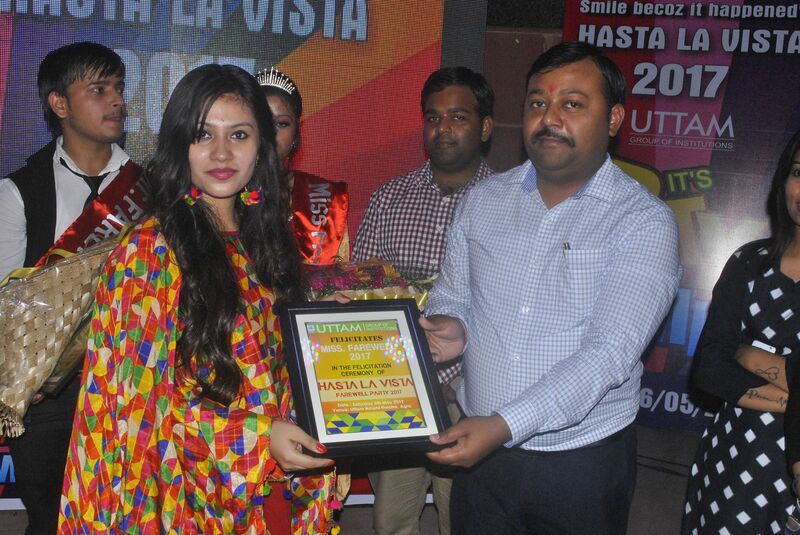 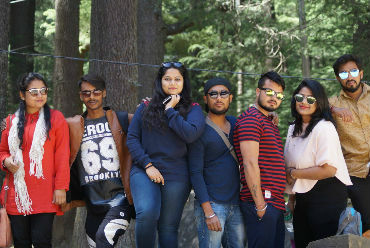 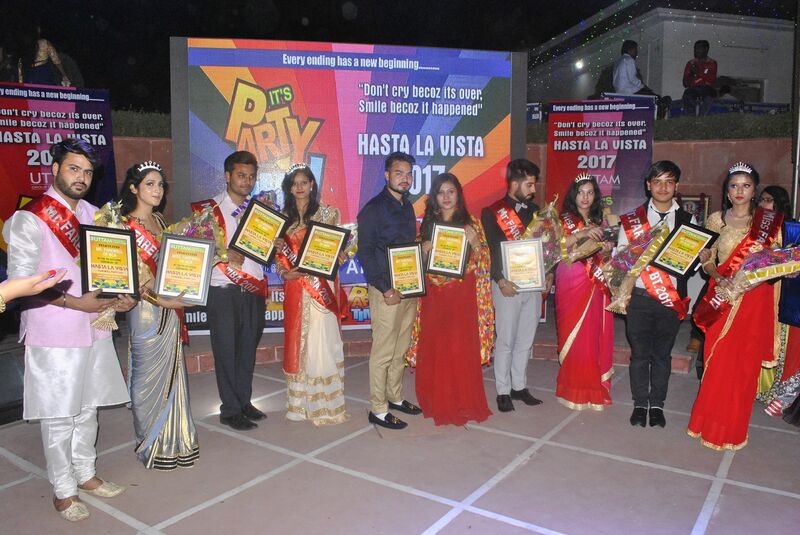 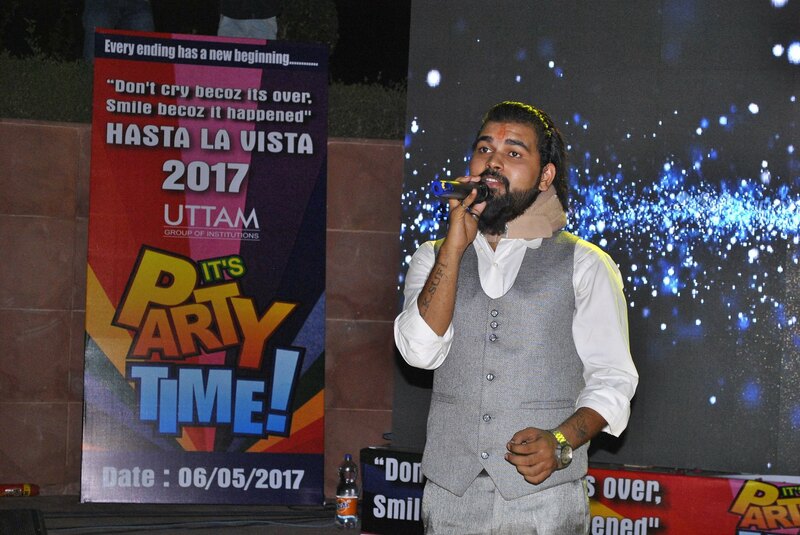 Some moments of fun, celebrations, masti and dhamal on "Hasta La Vista" a farewell party hosted by UGI family and all junior students for all the senior passing out students. 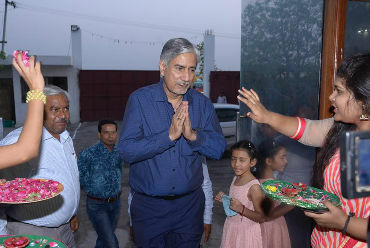 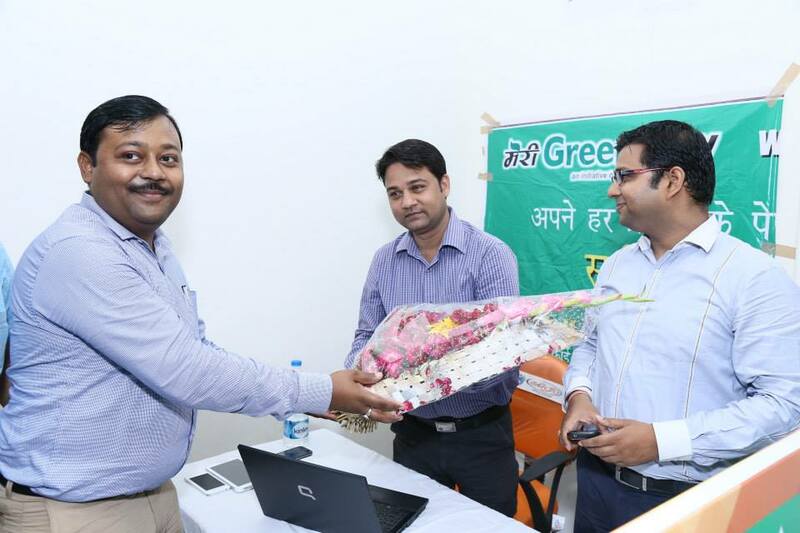 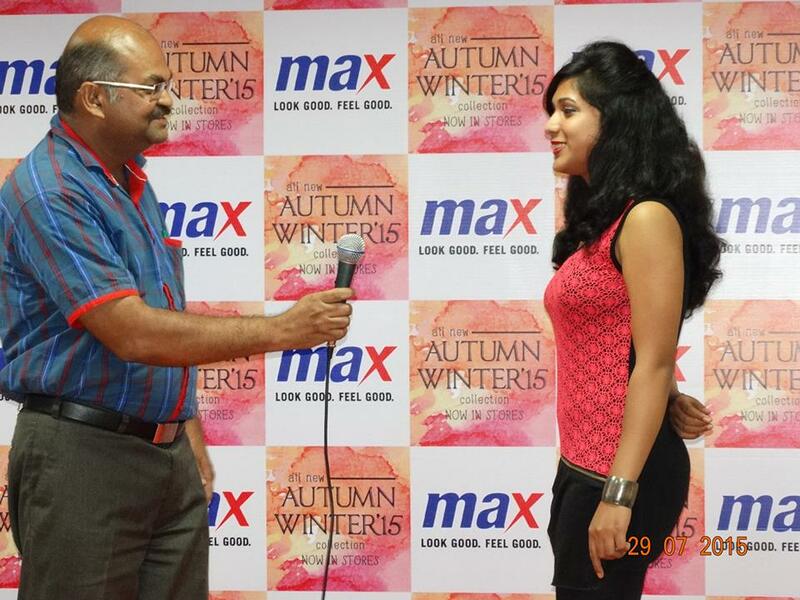 Dr. Sanjeev Kumar, H.O.D., Deptt. 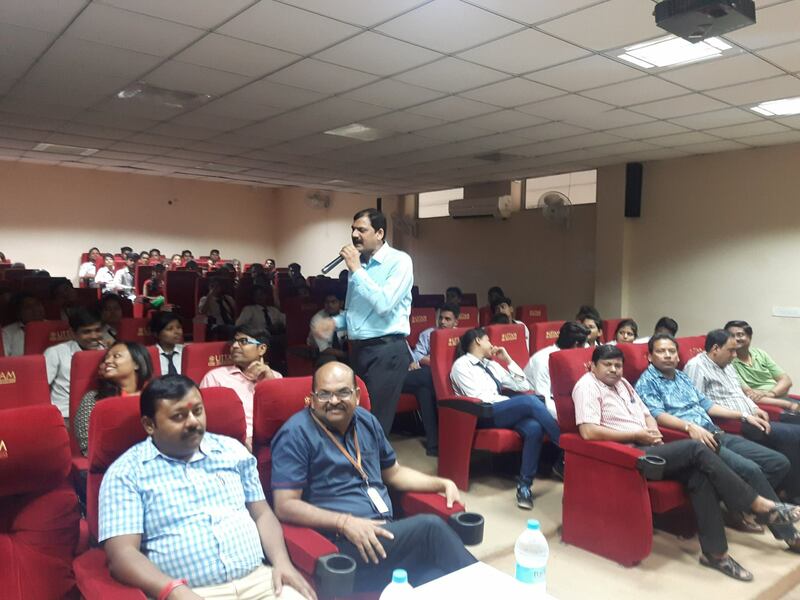 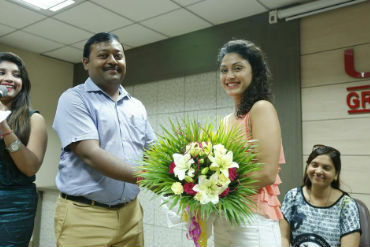 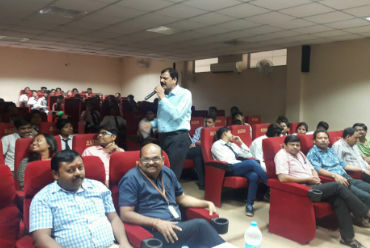 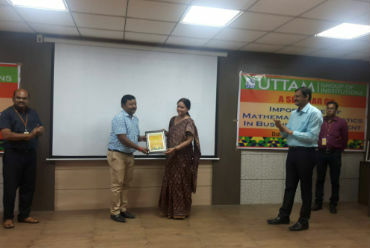 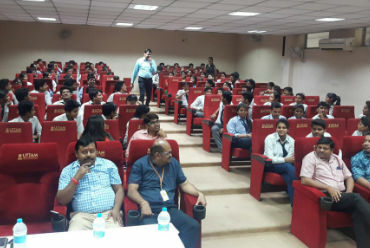 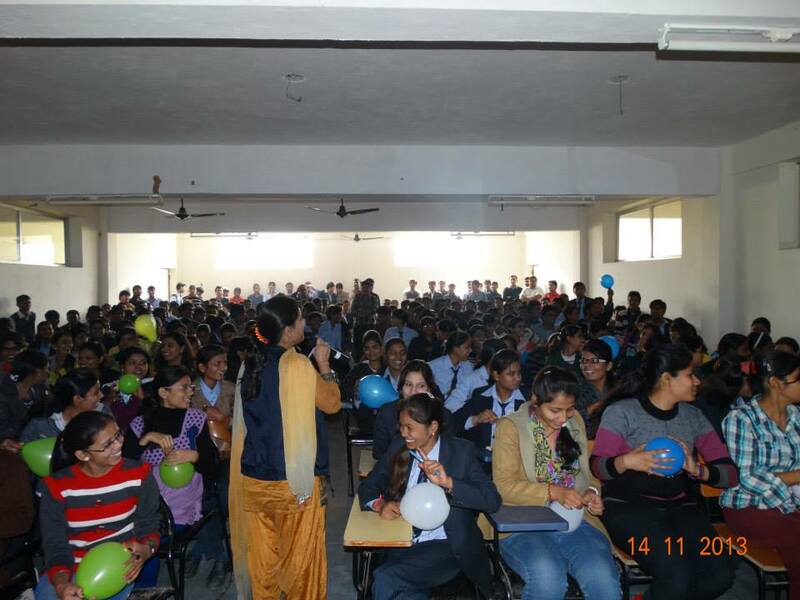 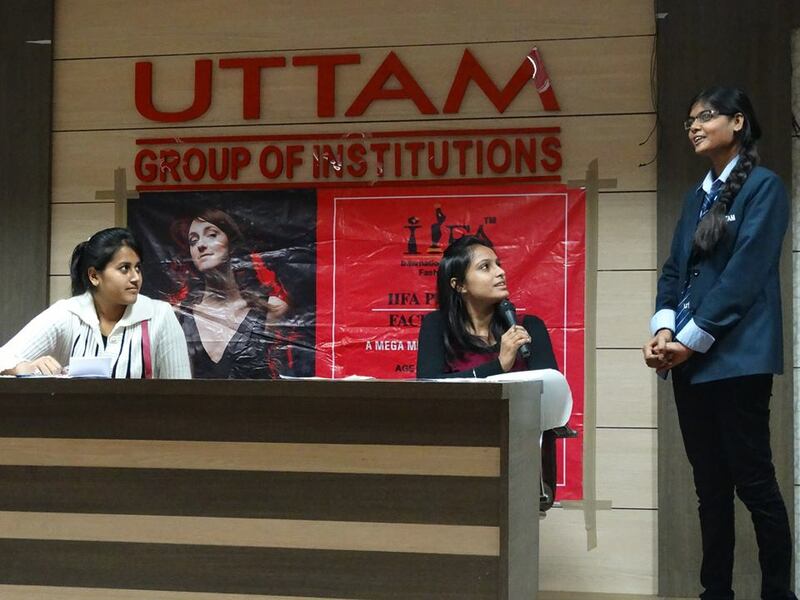 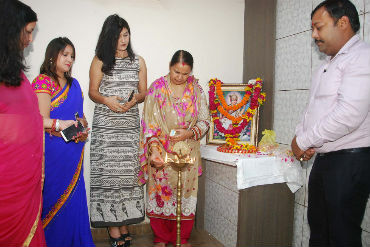 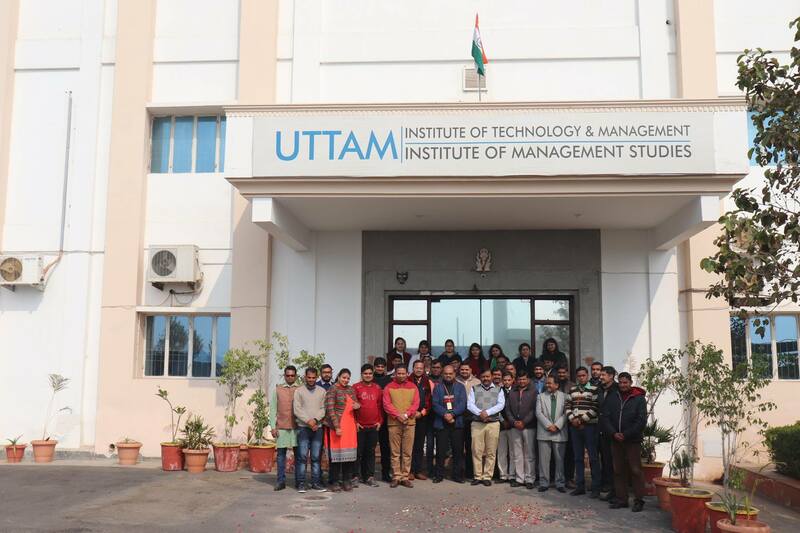 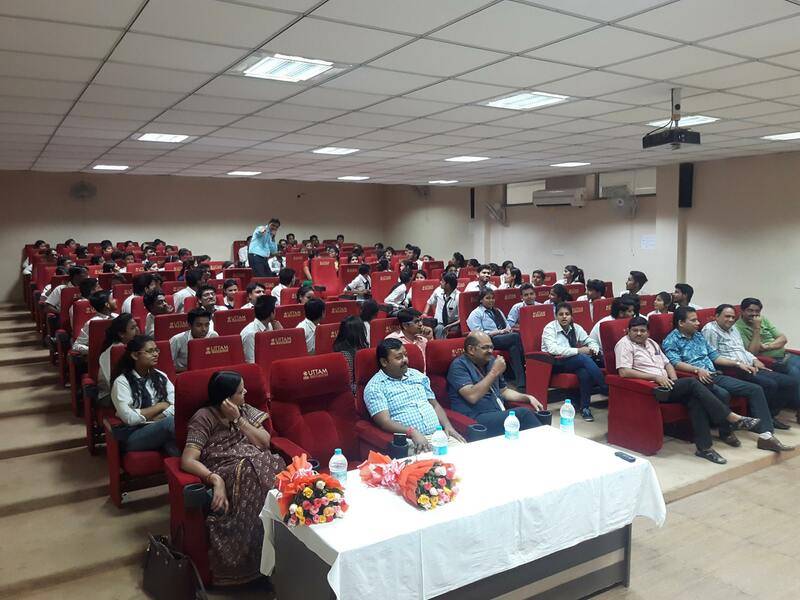 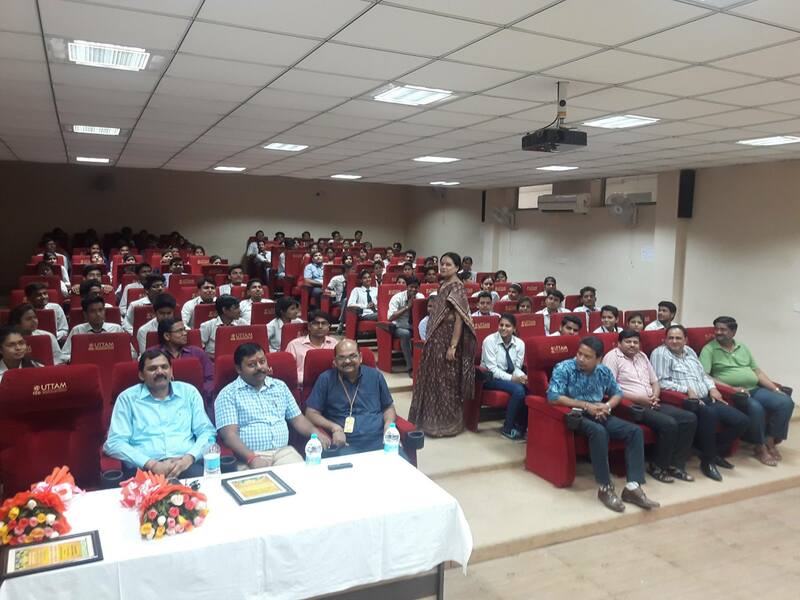 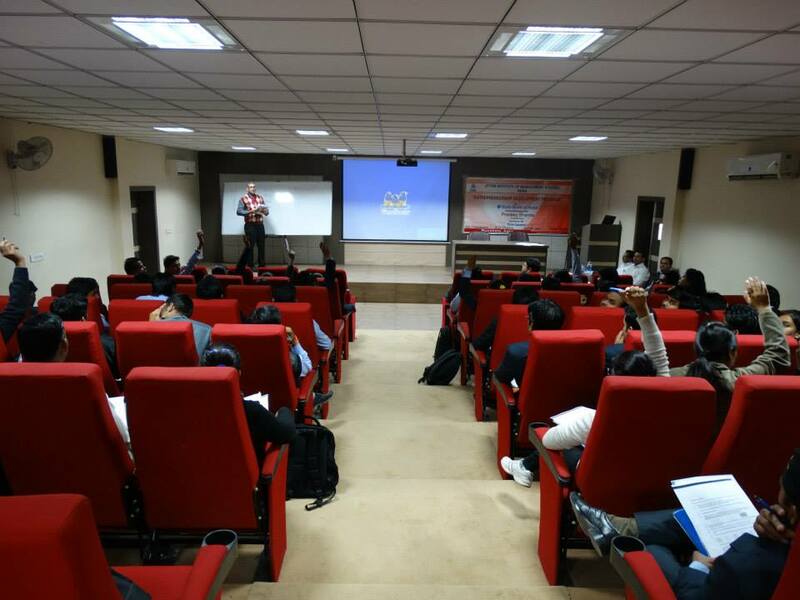 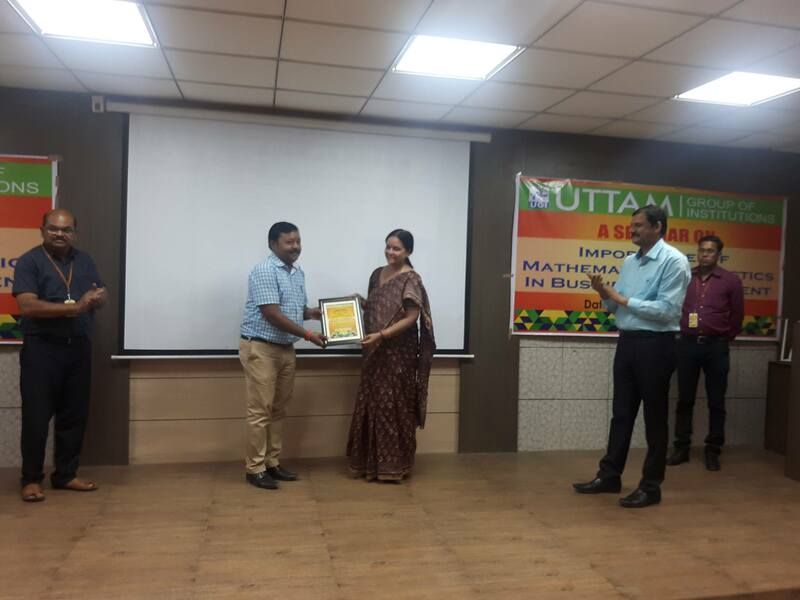 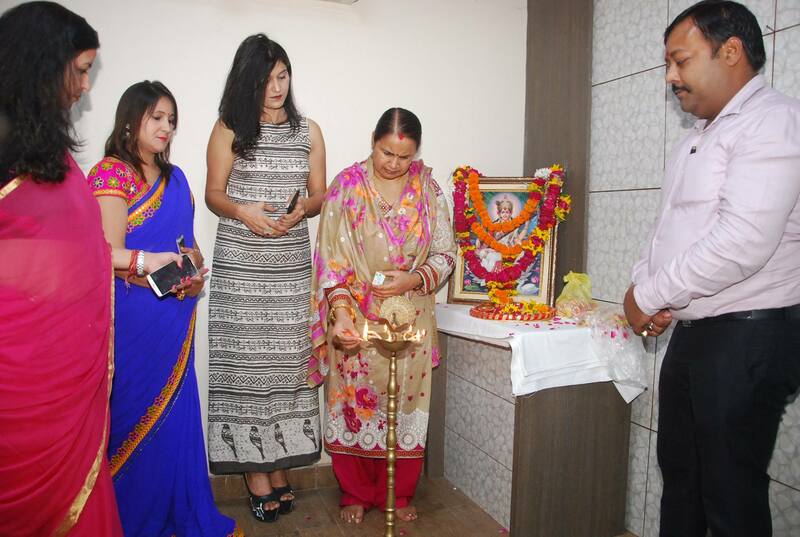 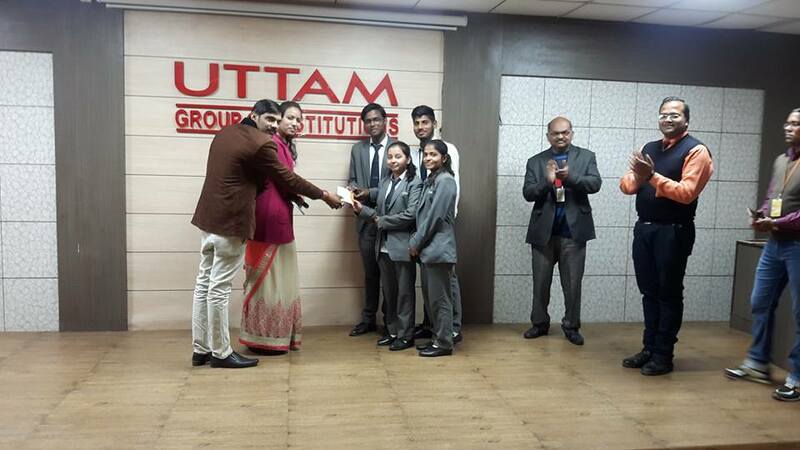 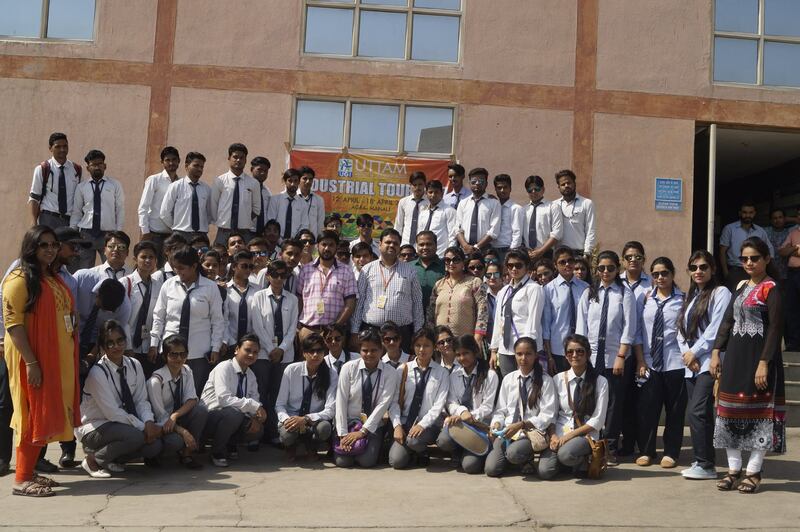 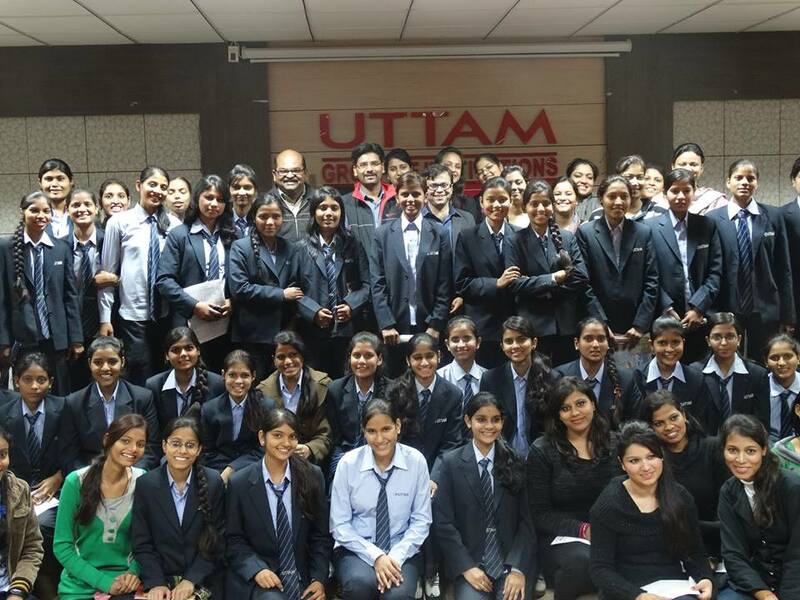 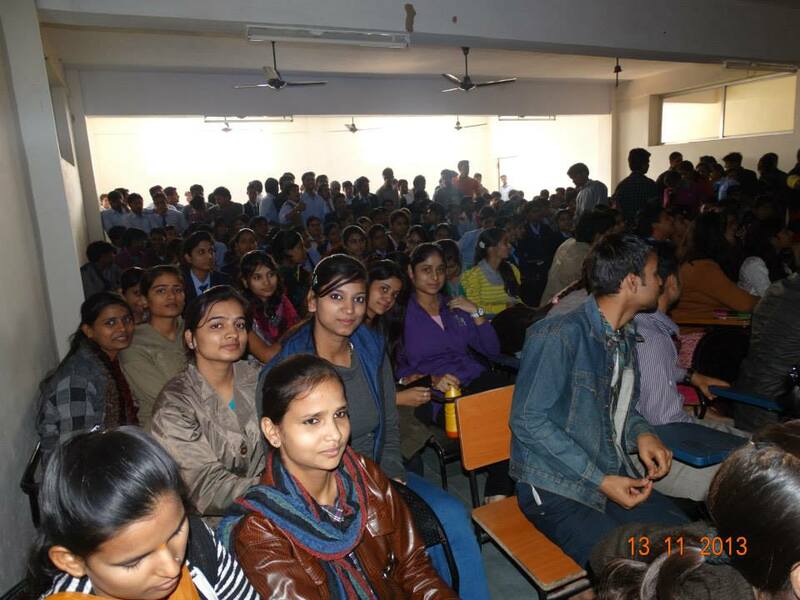 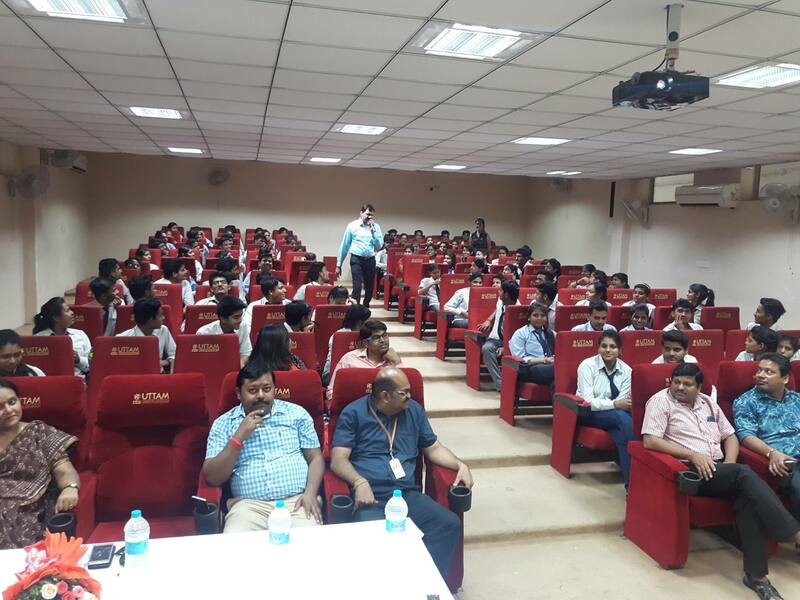 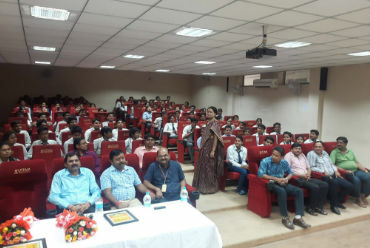 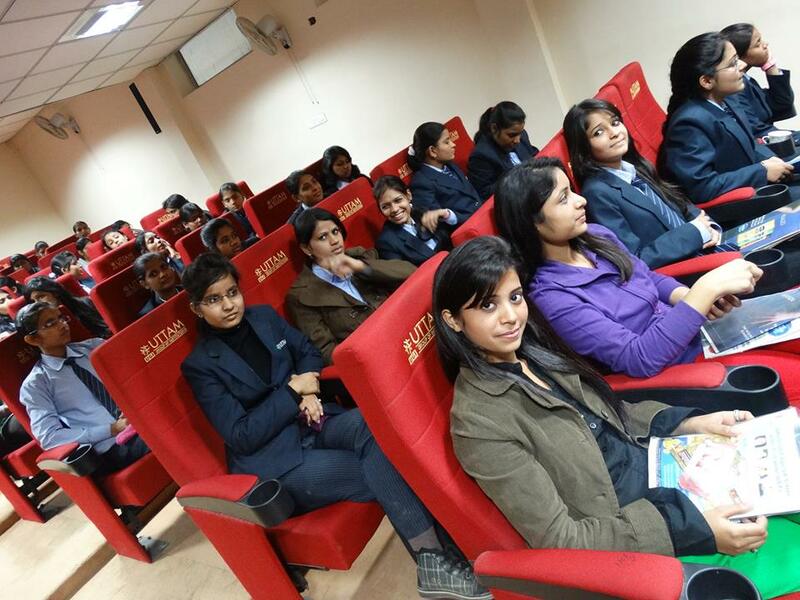 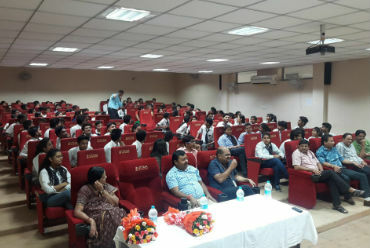 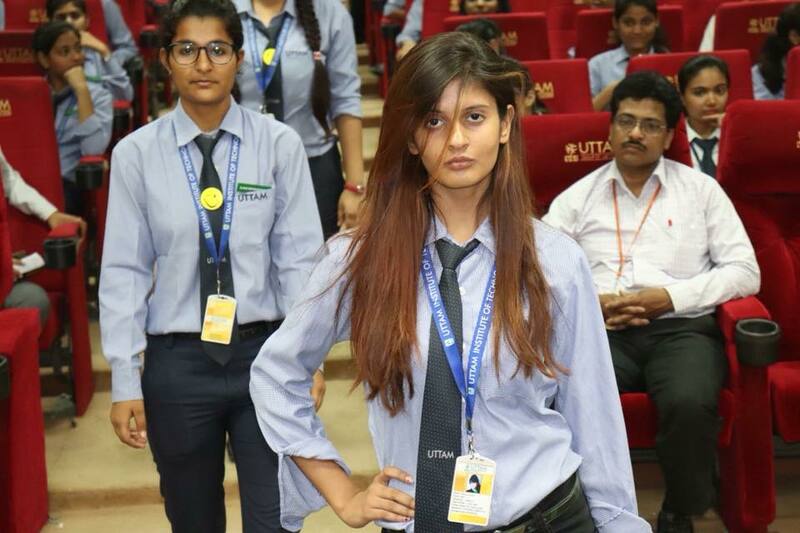 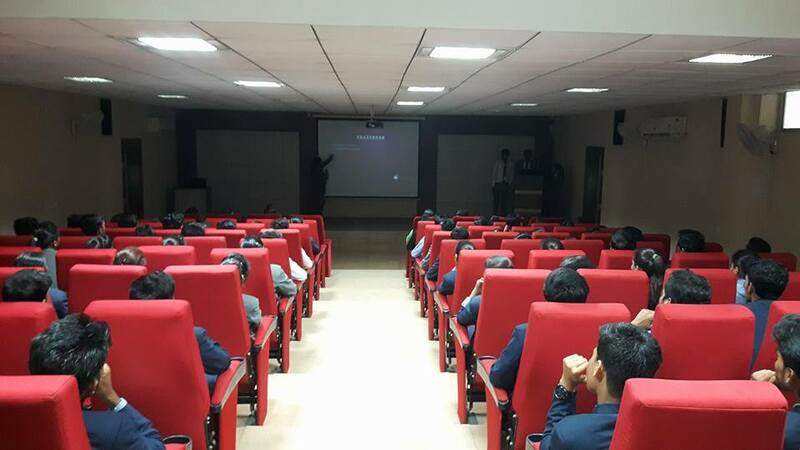 of Mathematics, Institute of Basic Science, Agra and Dr. Vineeta Singh, Director, Lalit Kala Sansthan, Agra as Guest Speakers during a seminar on "Importance of Mathematics and Statistics for Business Management" addressing and interacting the students of UGI. 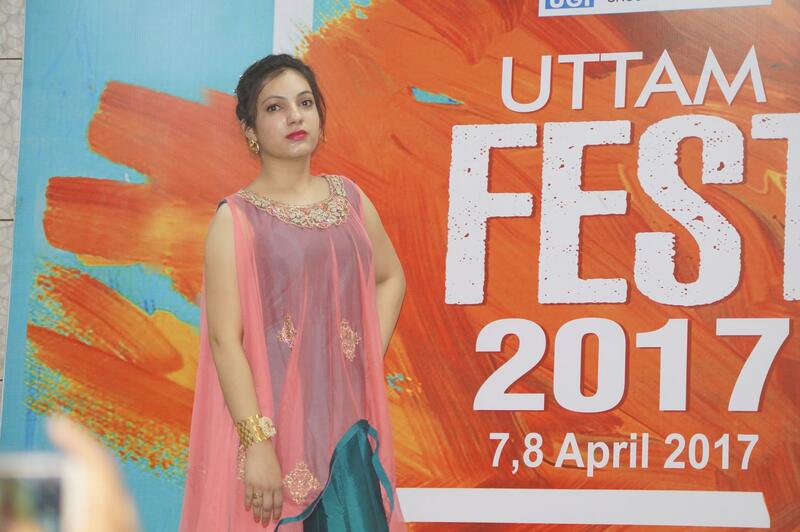 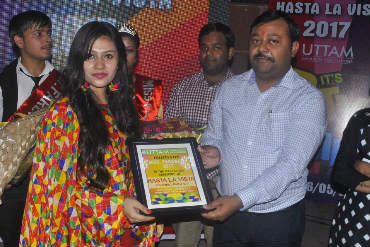 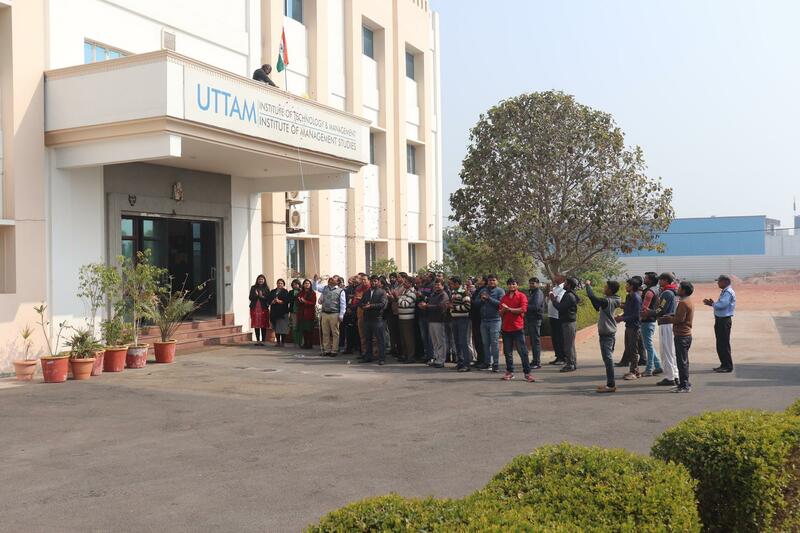 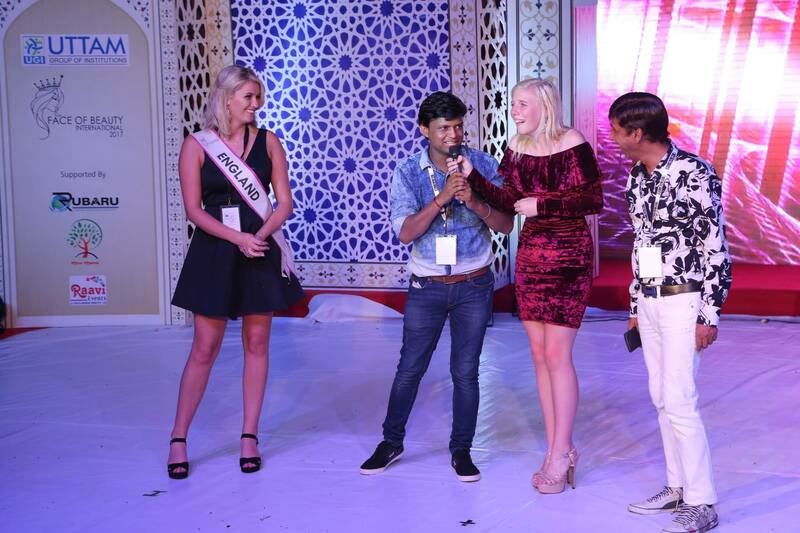 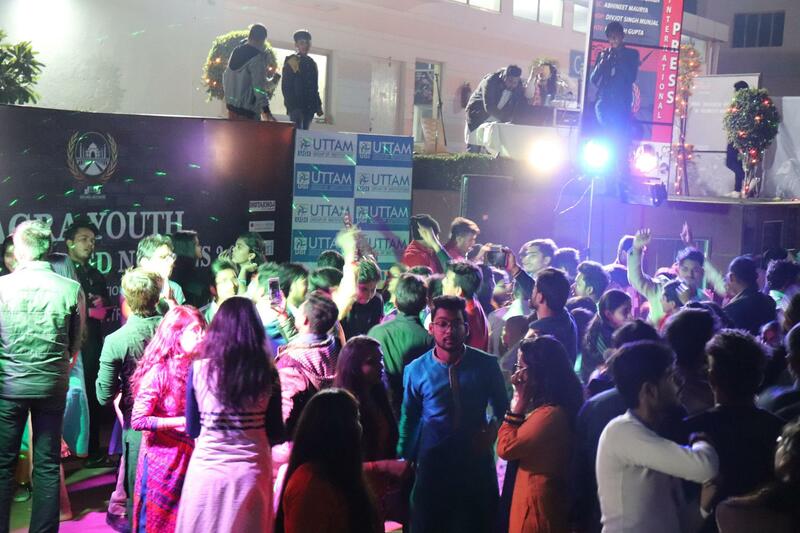 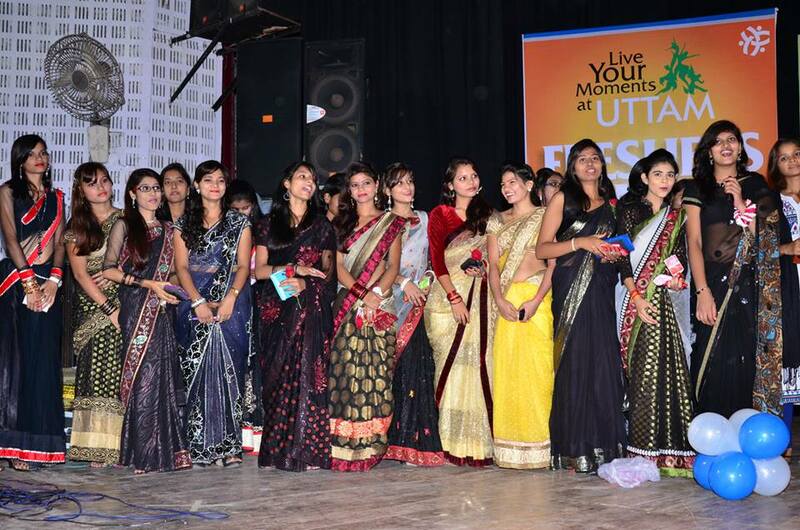 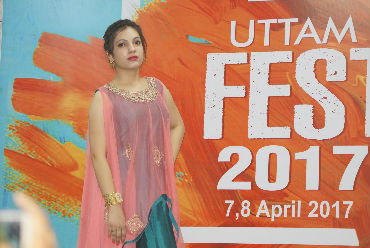 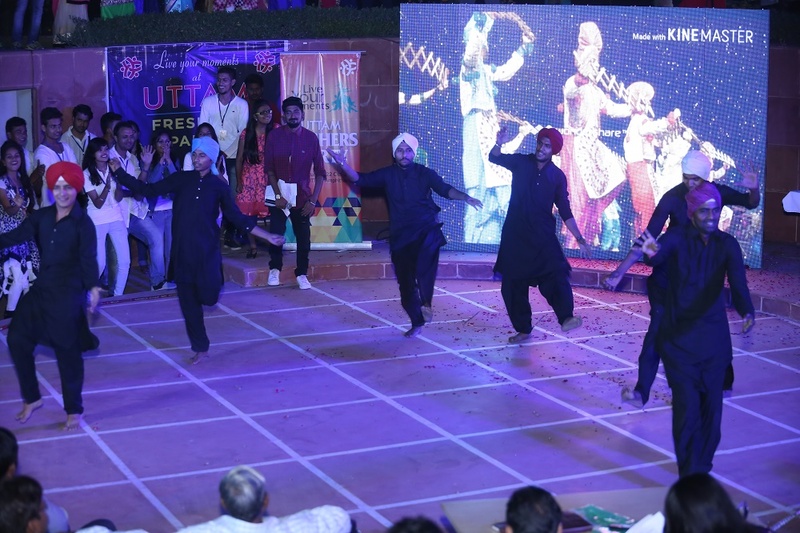 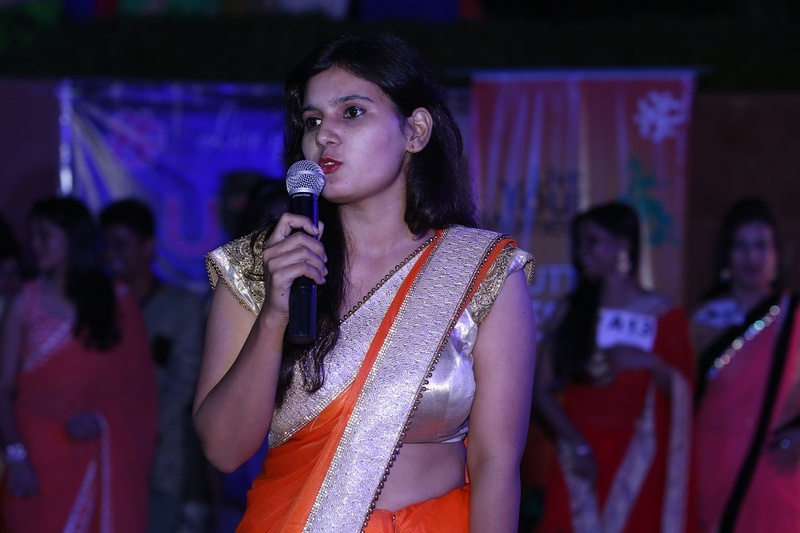 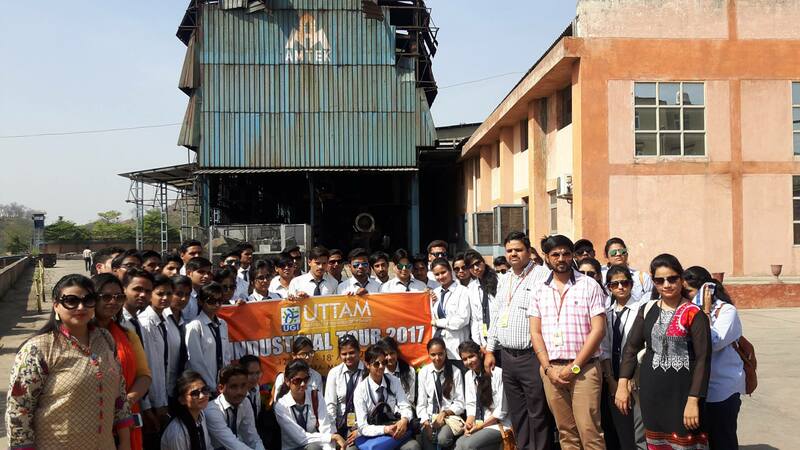 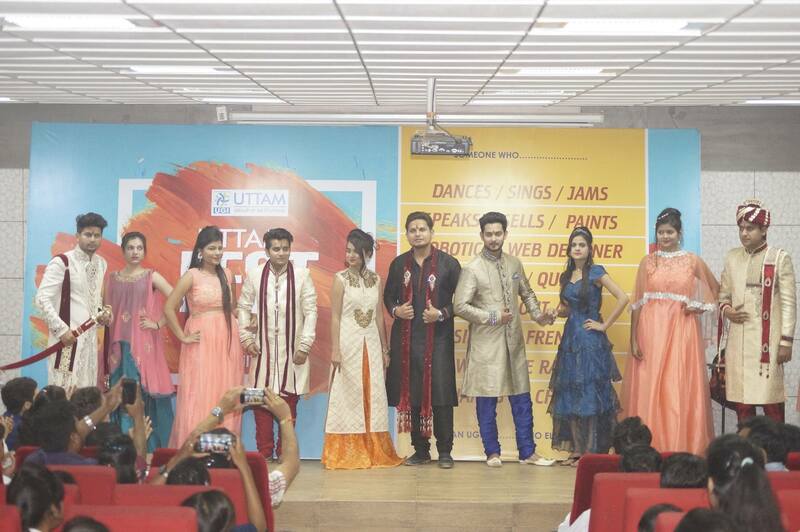 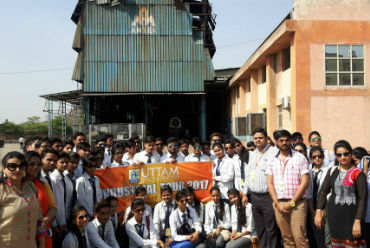 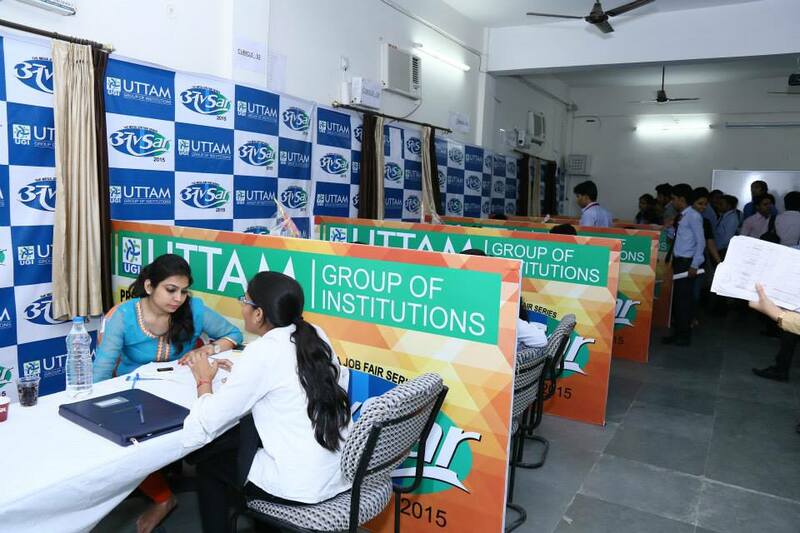 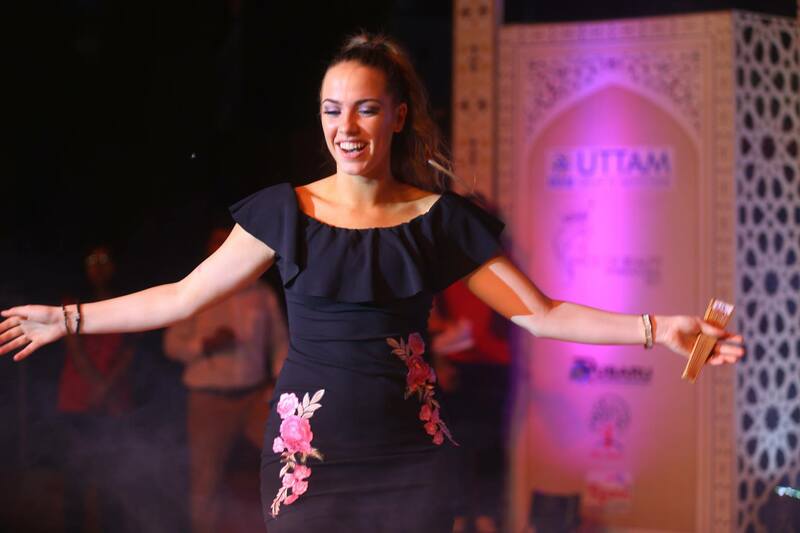 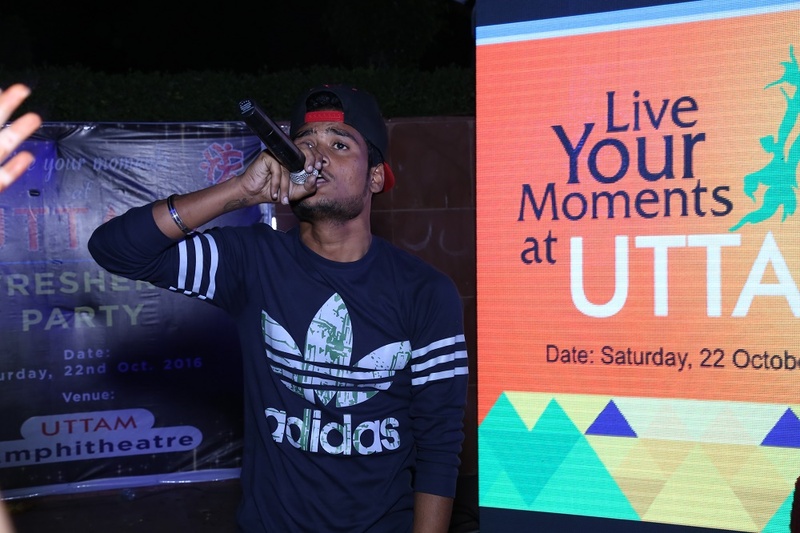 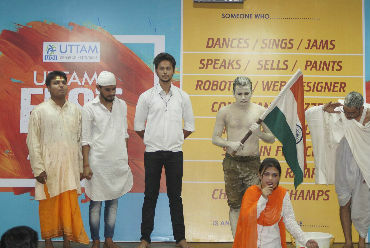 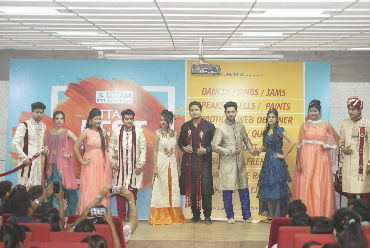 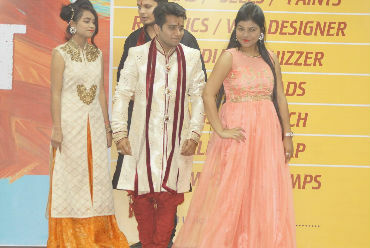 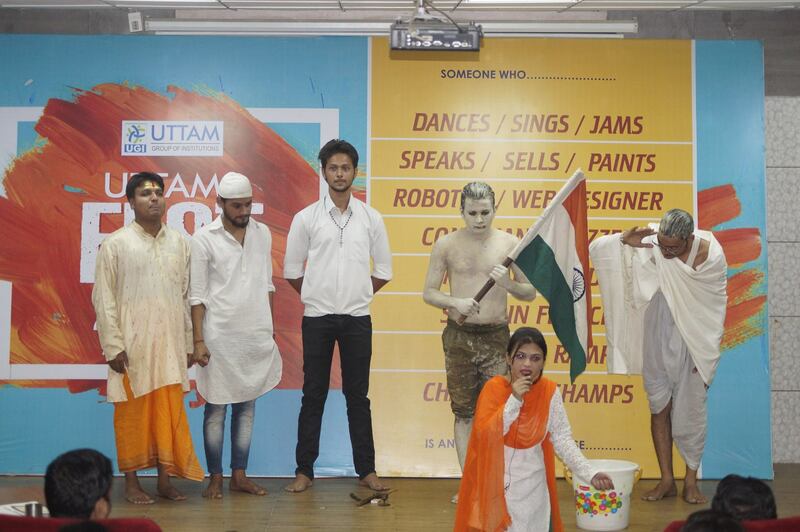 Uttam Fest 2017, where students giving mesmerising performance taking the audience in awe with a plethora of activities like singing, dancing, modelling, ad-mad, presentations, etc. 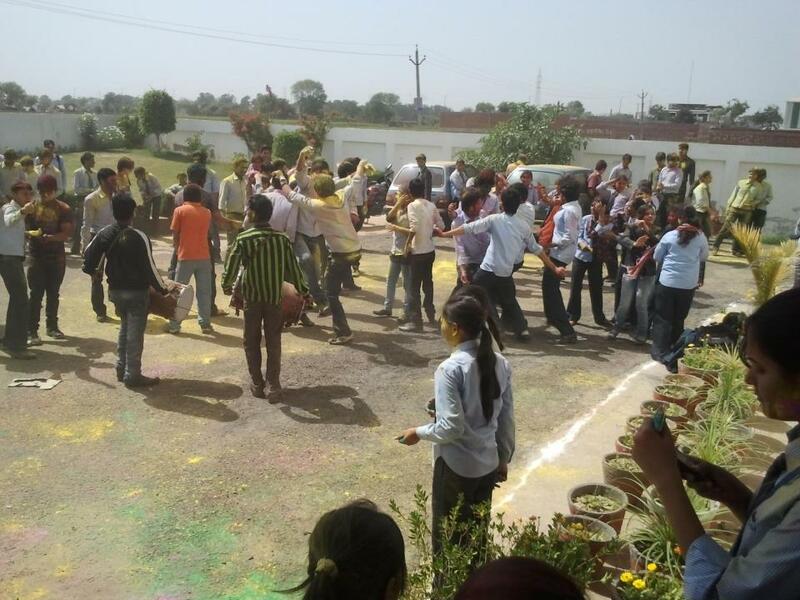 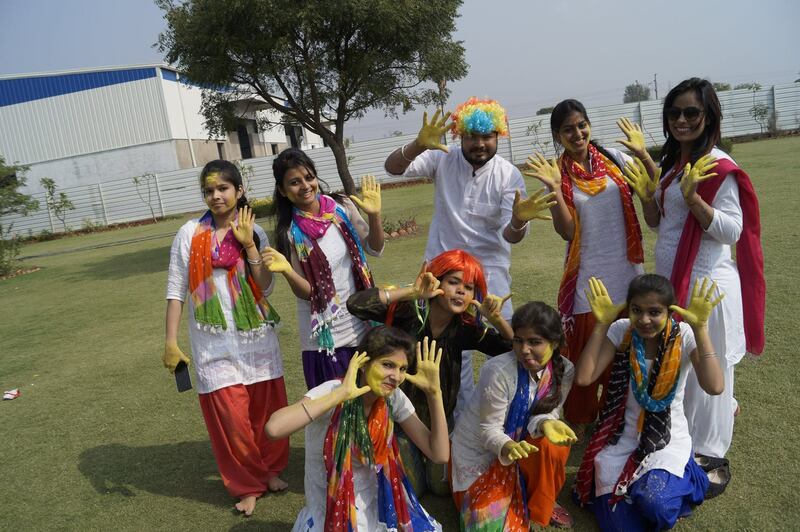 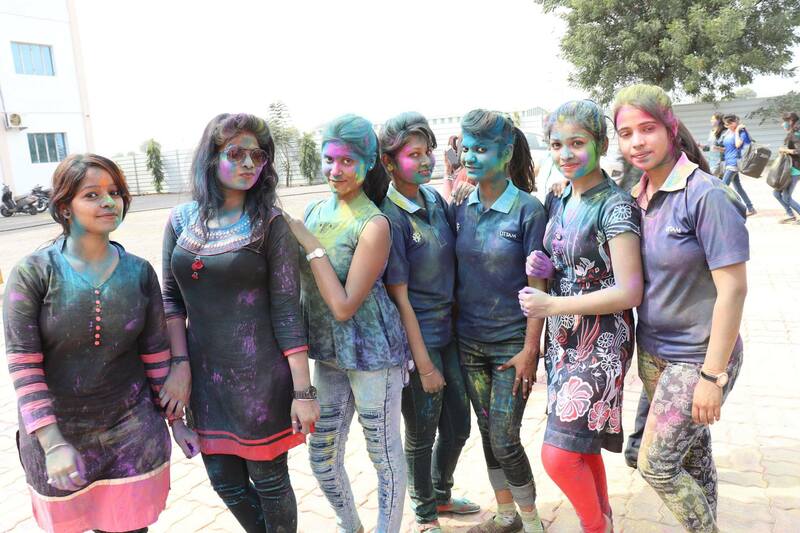 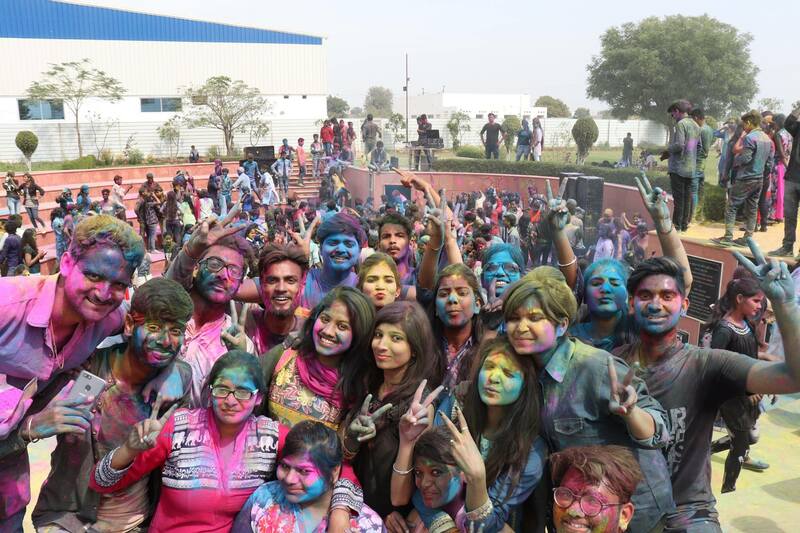 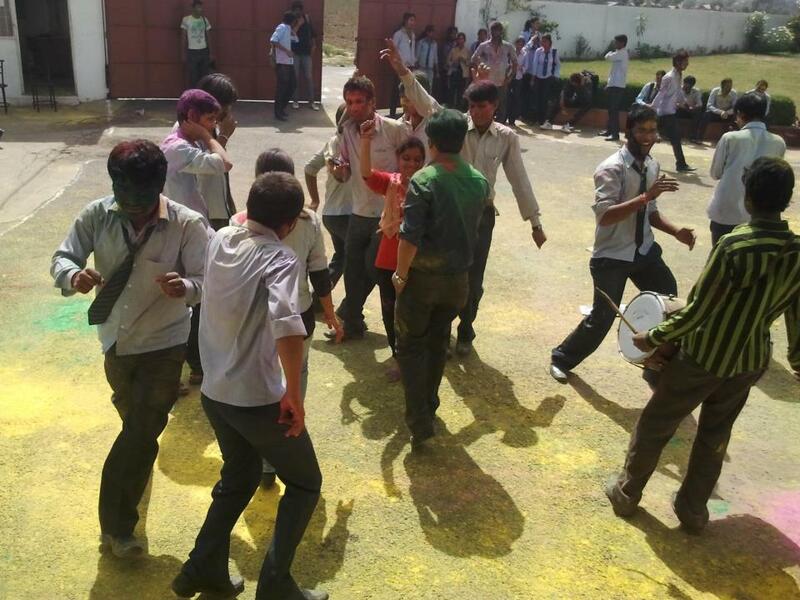 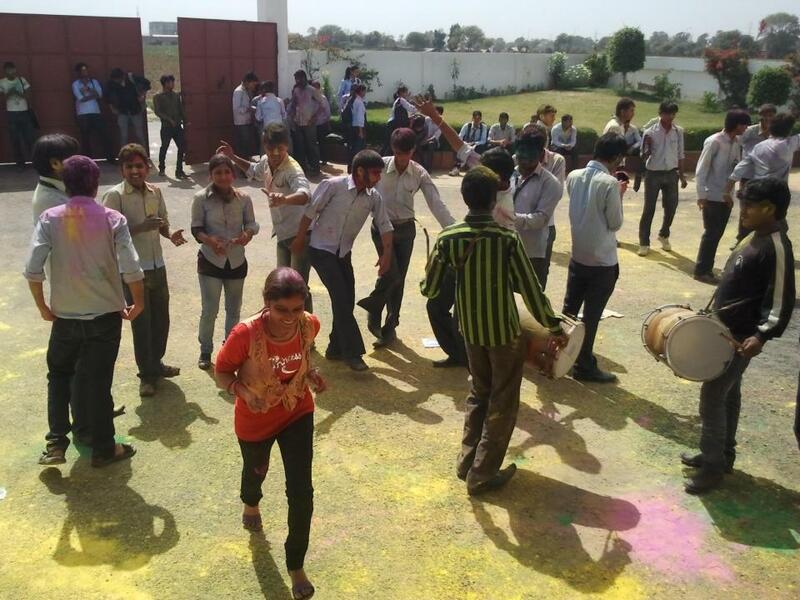 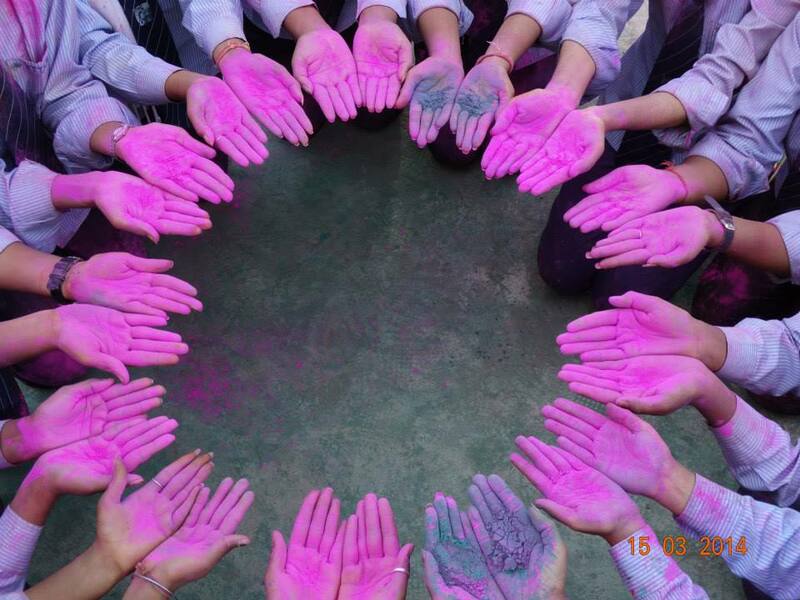 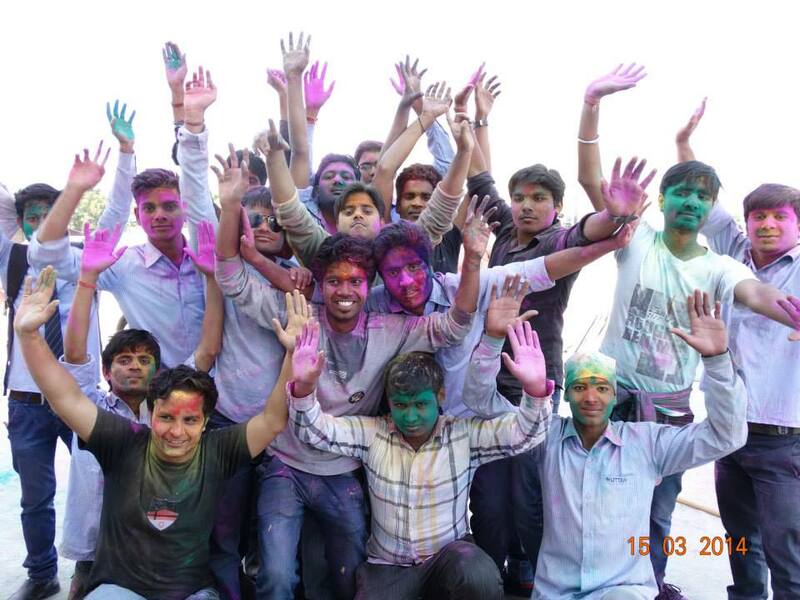 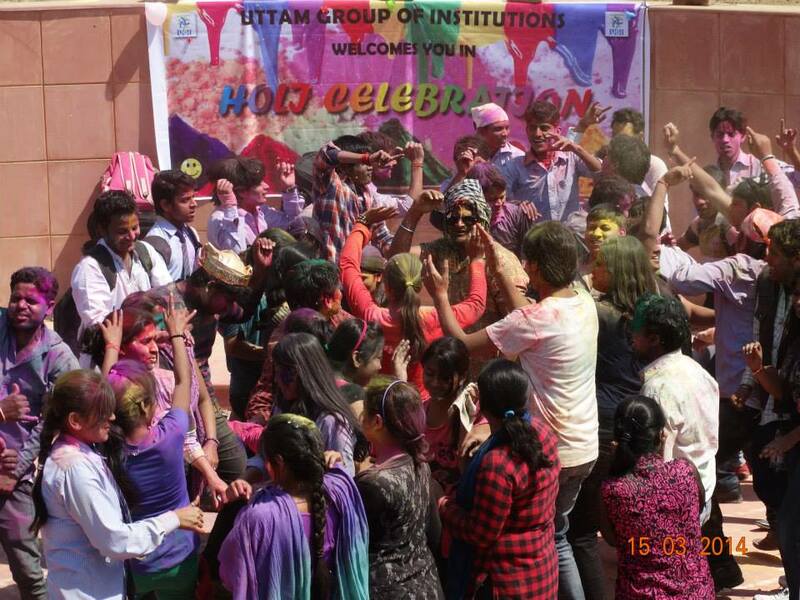 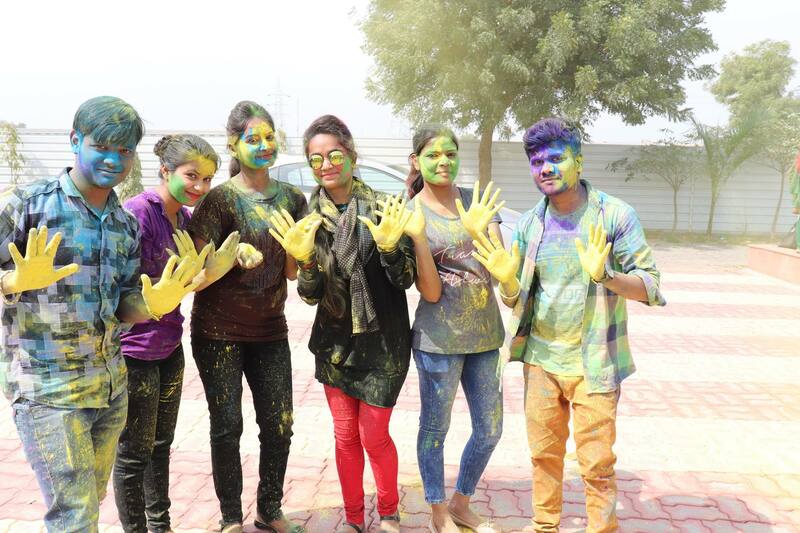 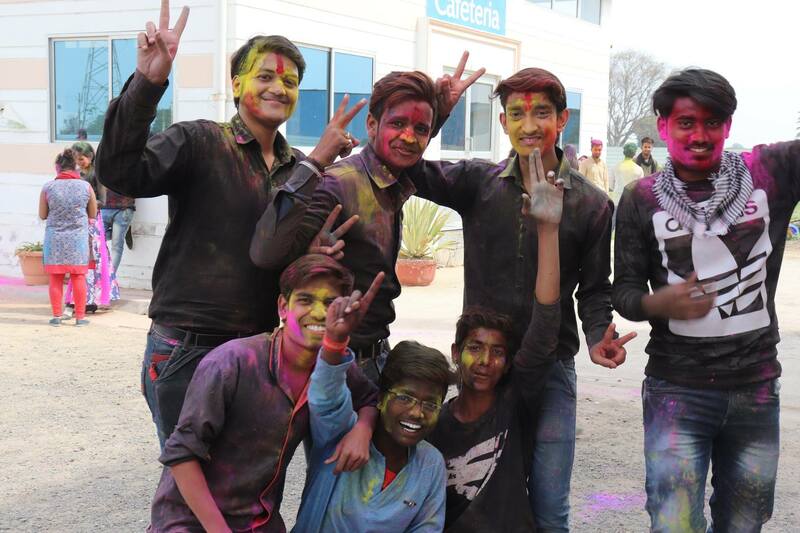 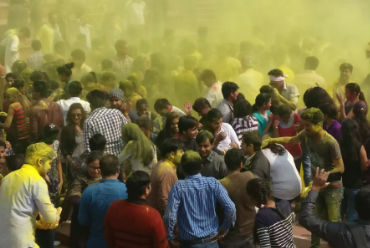 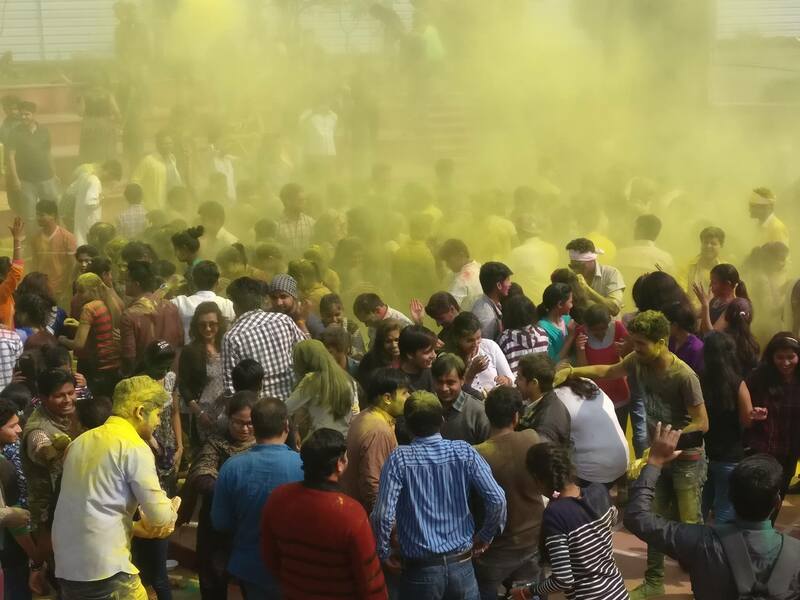 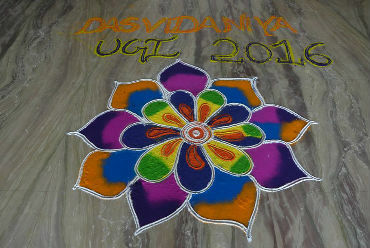 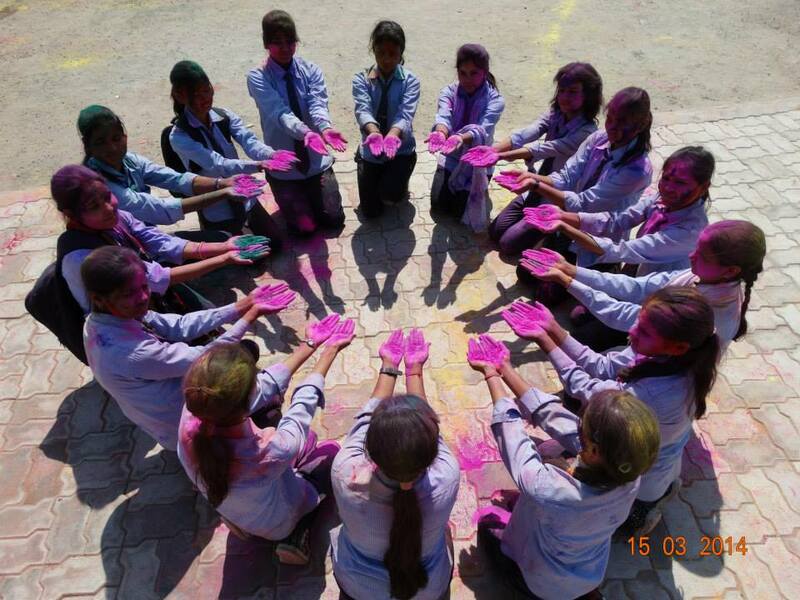 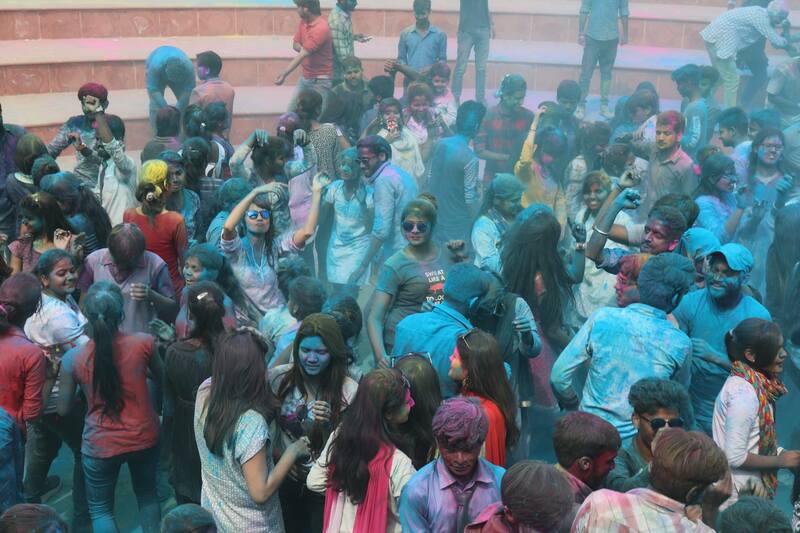 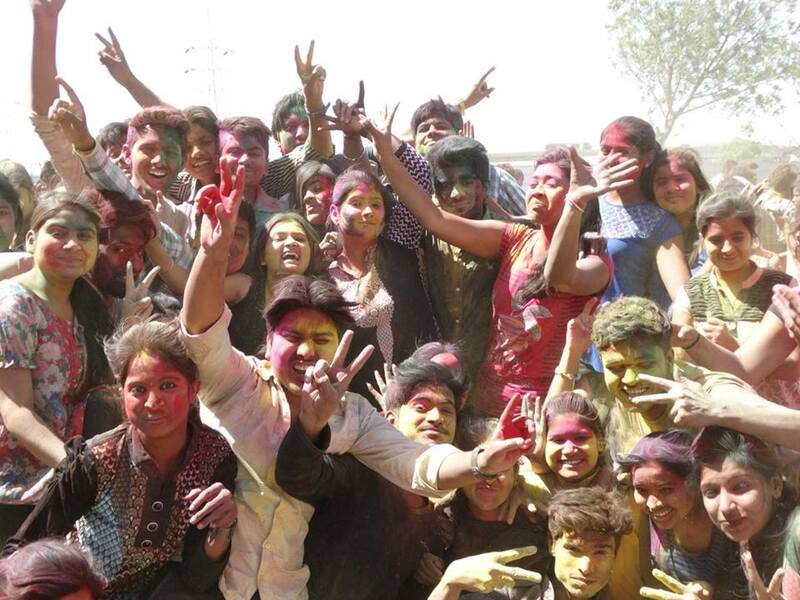 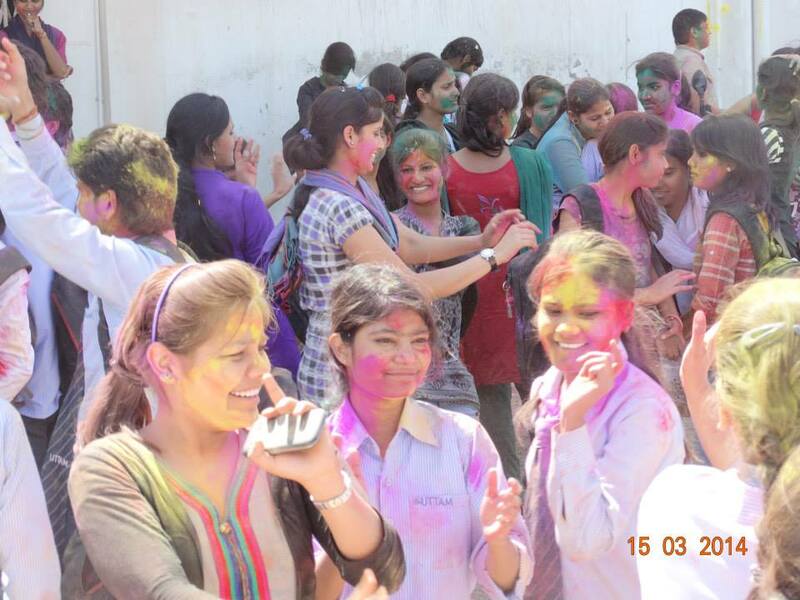 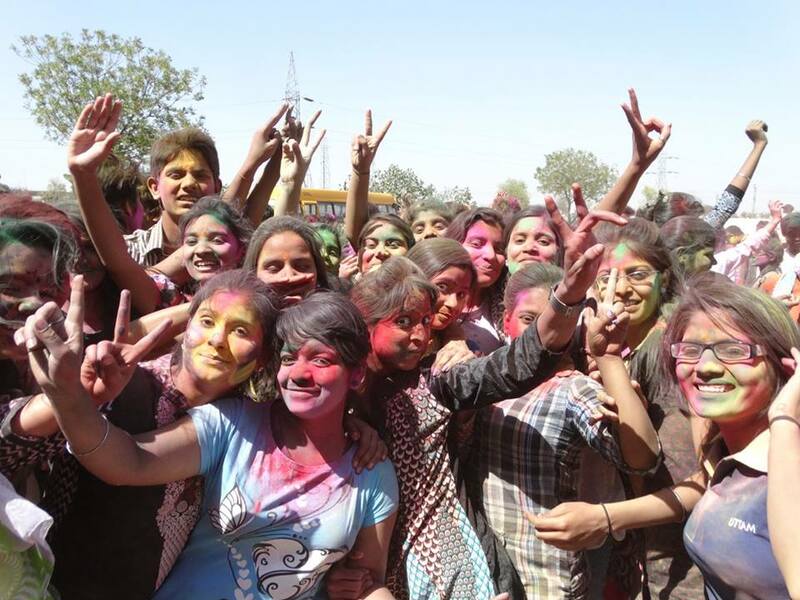 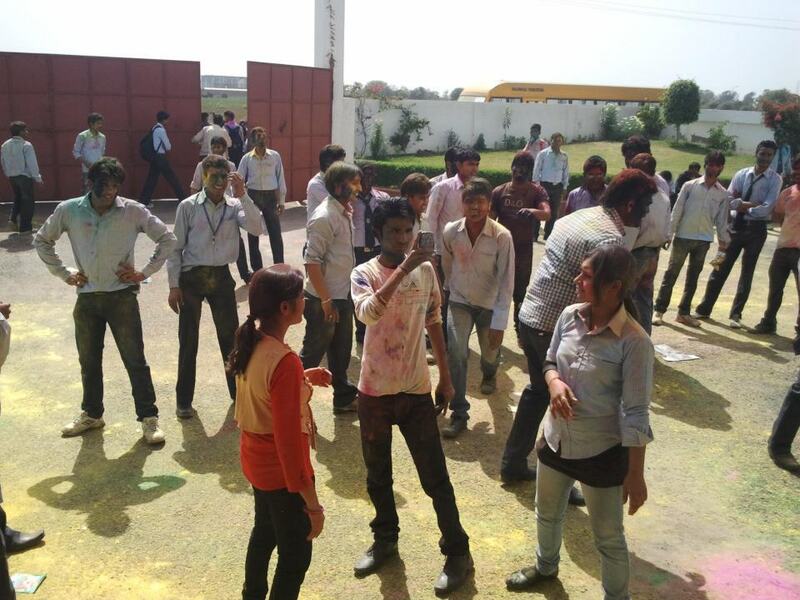 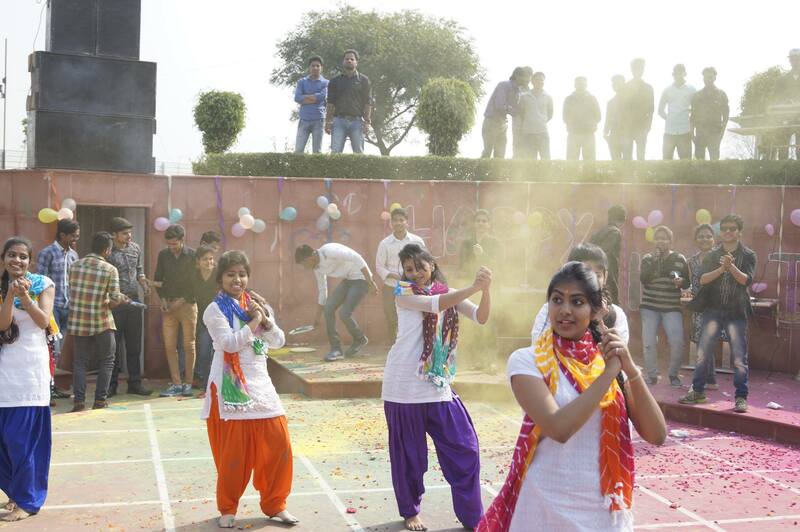 On this festival of color Uttam Institute pray God to paint the canvas of your life with the colors of joy. 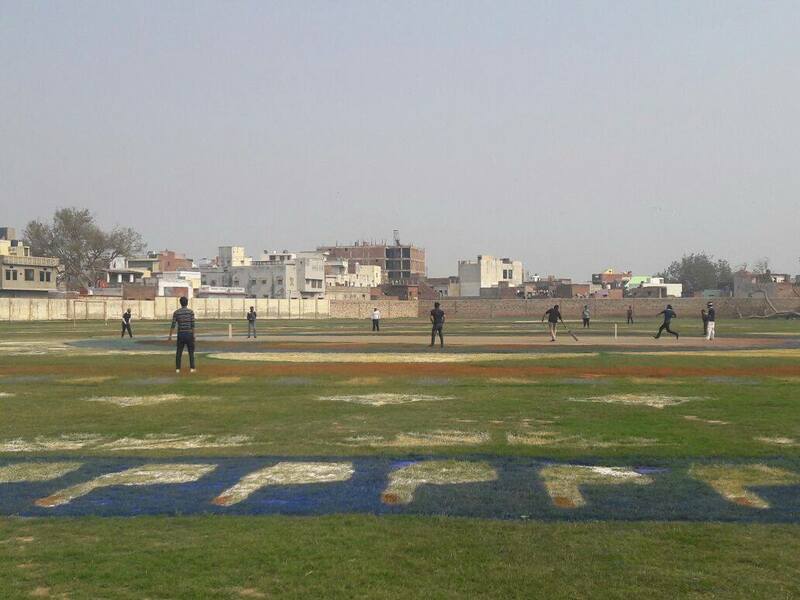 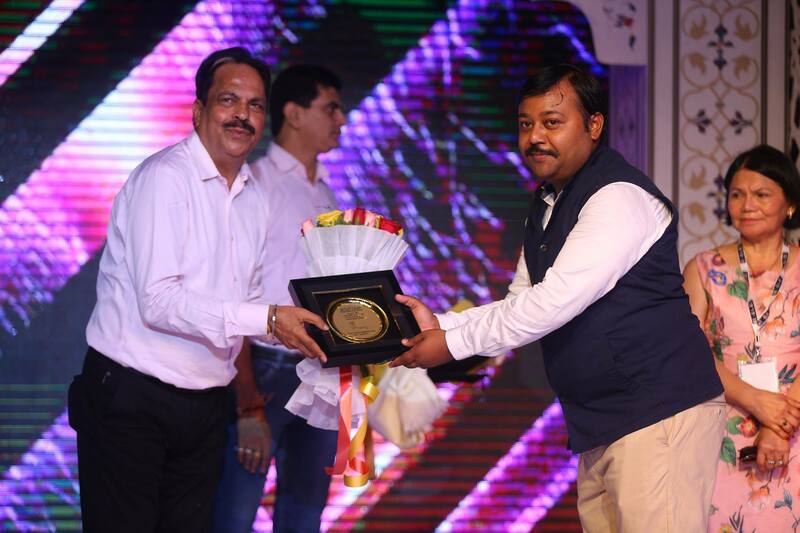 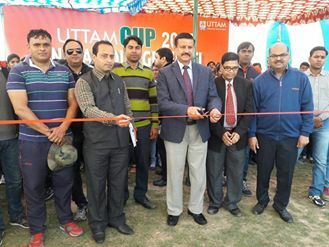 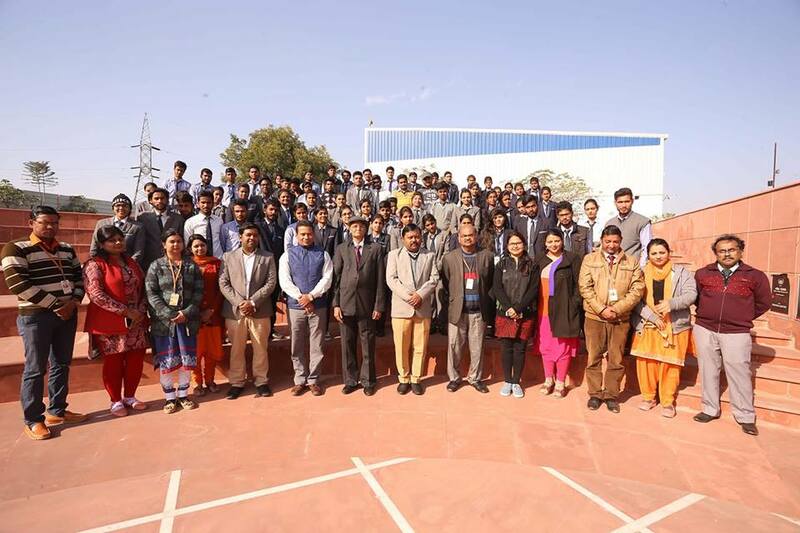 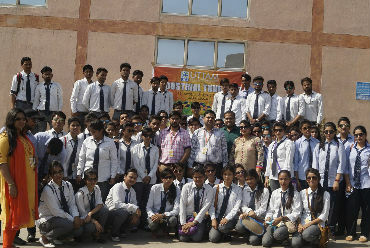 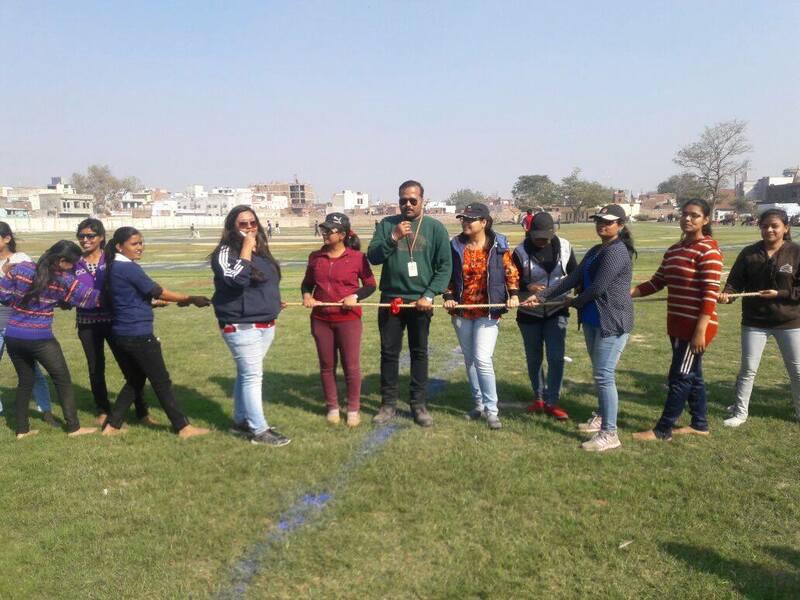 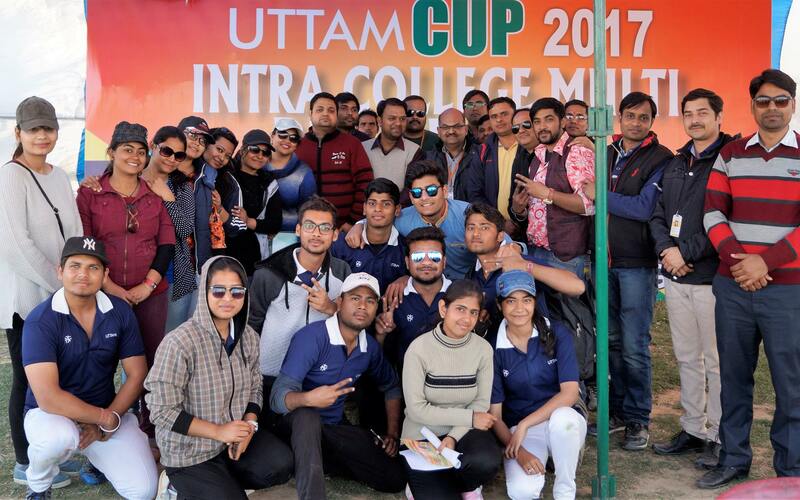 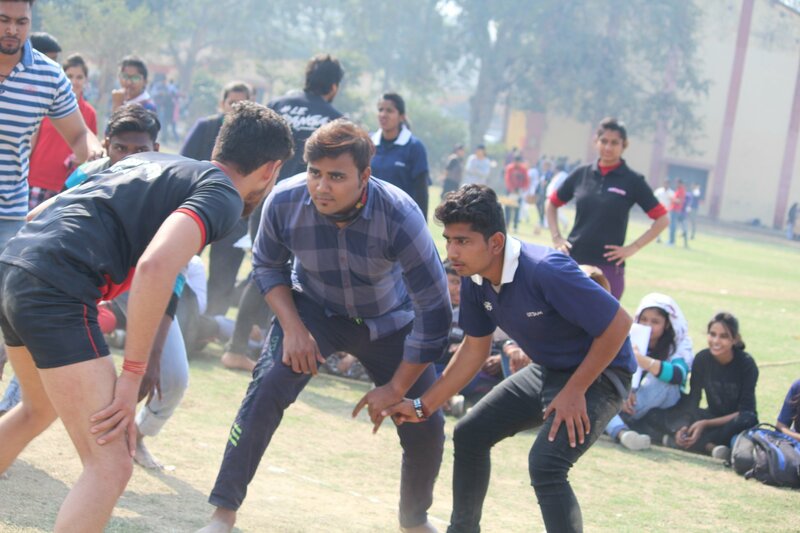 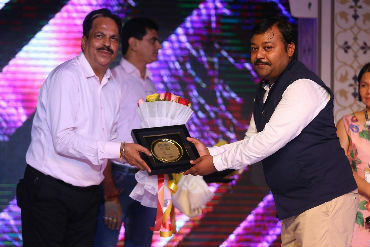 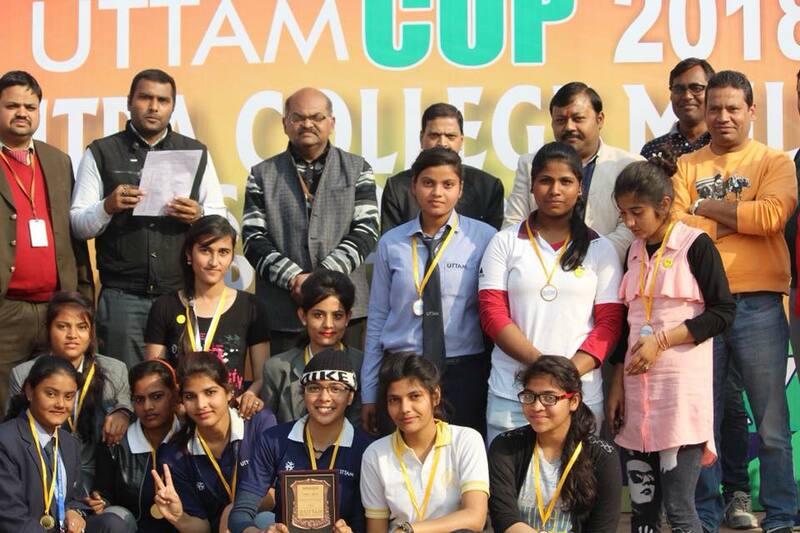 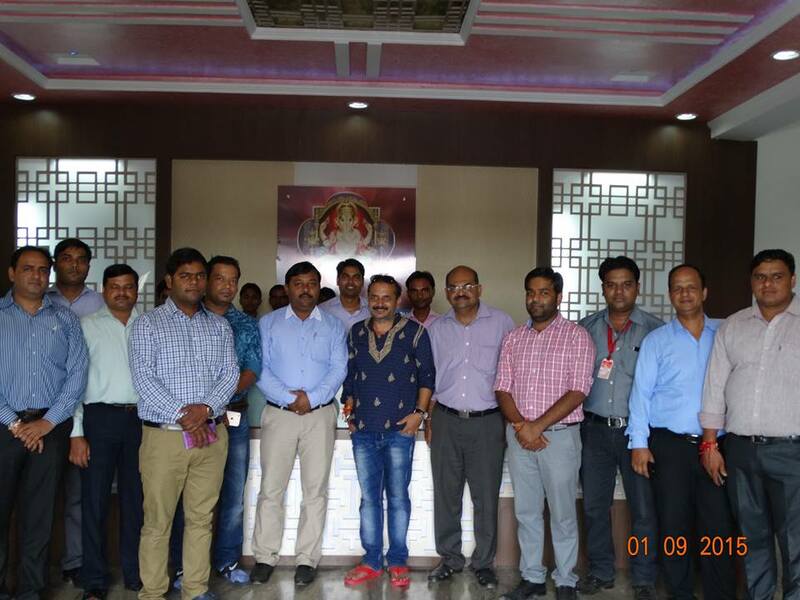 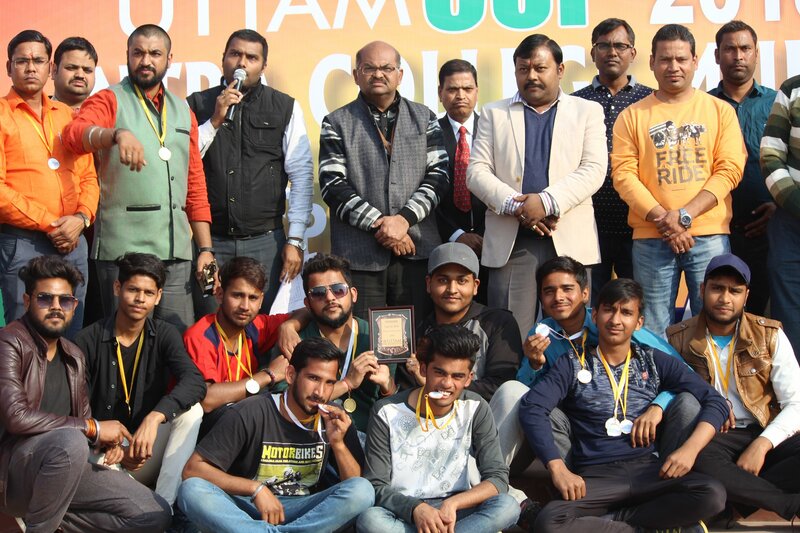 Players, participating teams, spectators and Chief-guest of honor Mr. Narendra Yadav, principal Agra College, Agra, during two-days sports meet and Uttam Cup 2017. 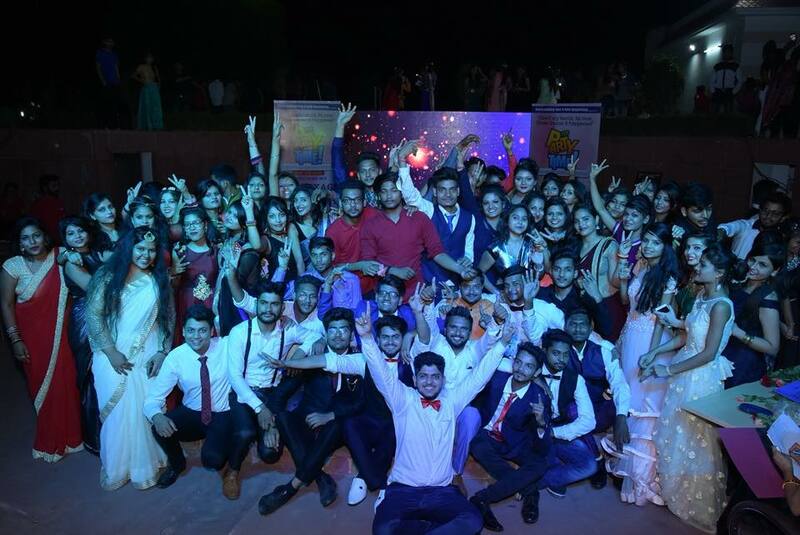 UGI family on behalf of all the senior students invites all junior students to be a part of this annual extravaganza filled with loads of fanfare, fun and masti at UGI amphitheatre. 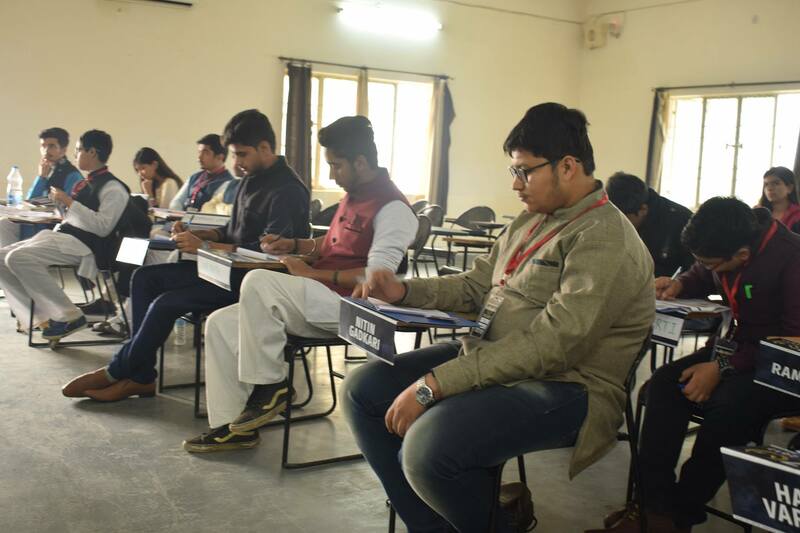 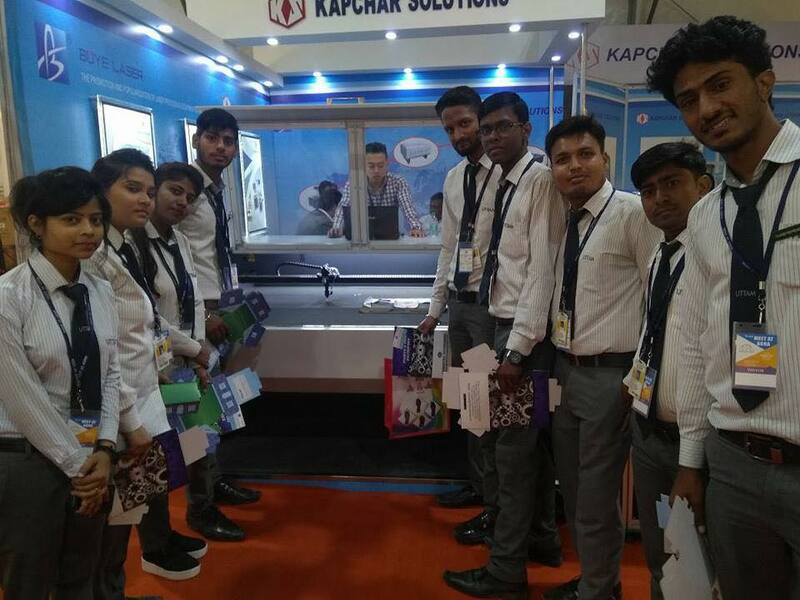 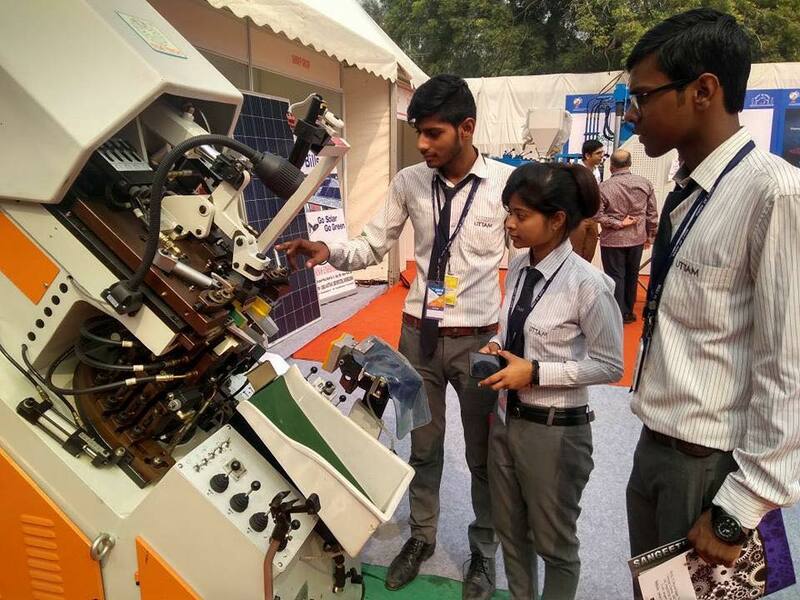 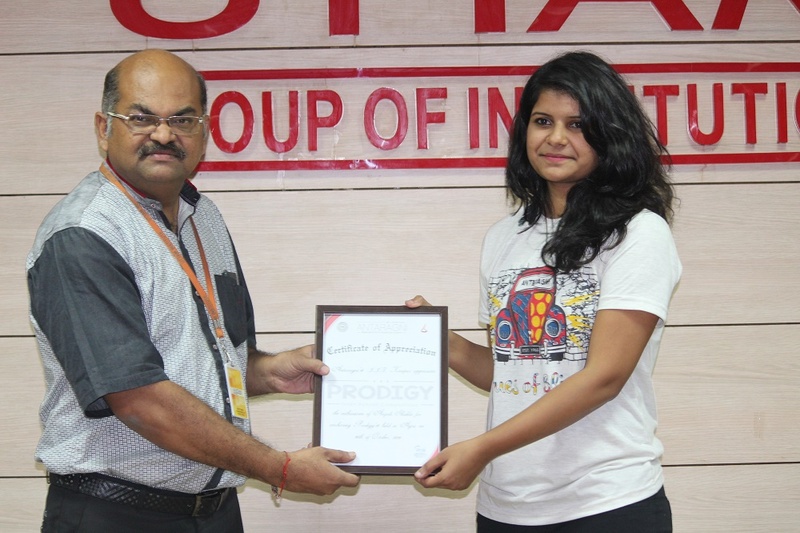 IIT Kanpur organised PRODIGEE 2016. 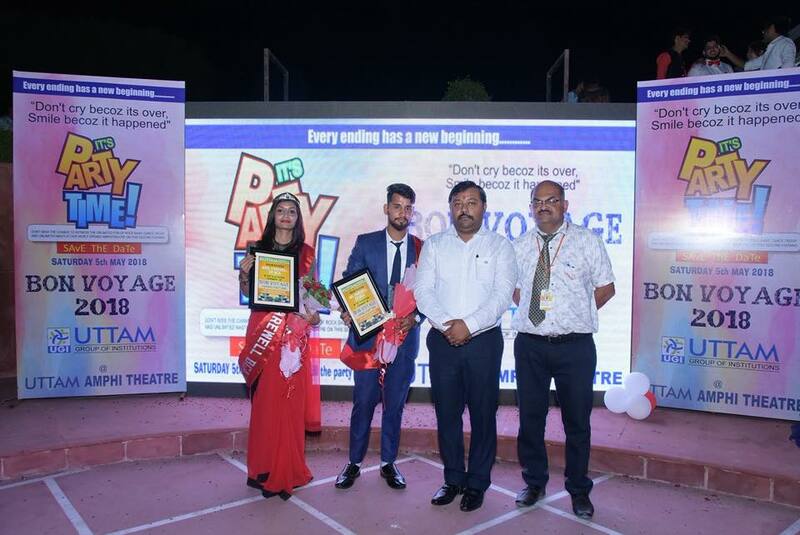 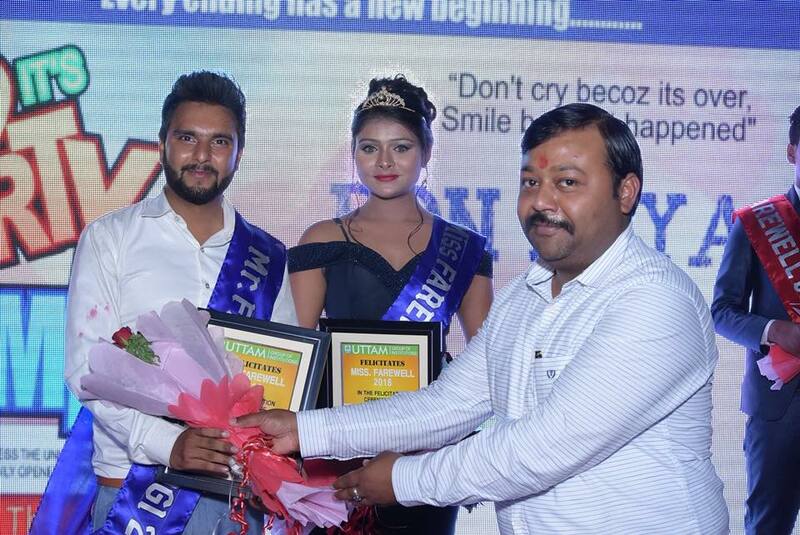 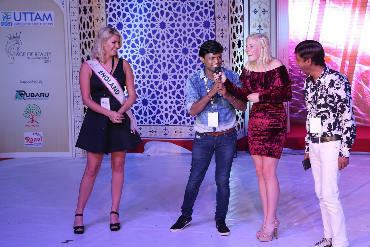 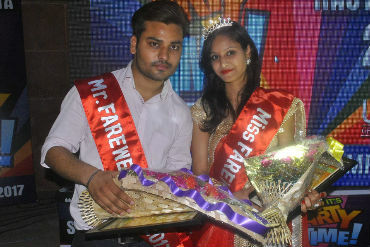 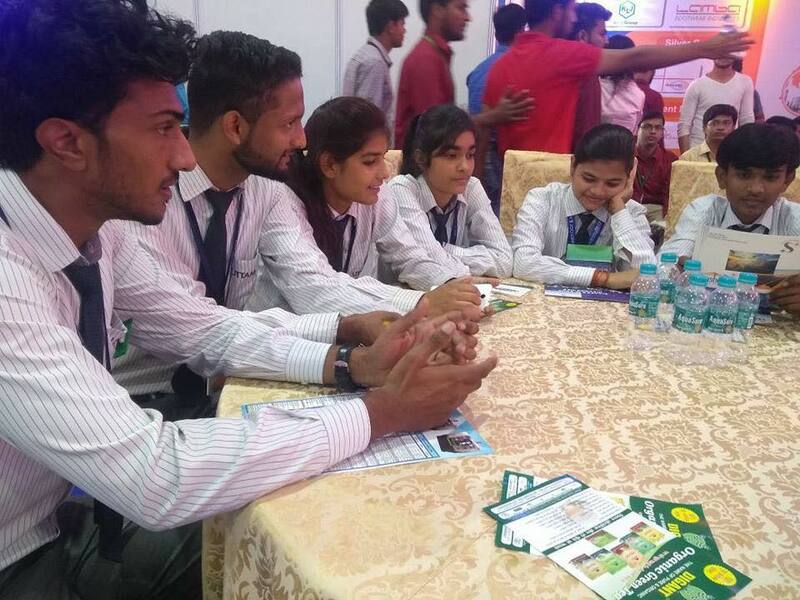 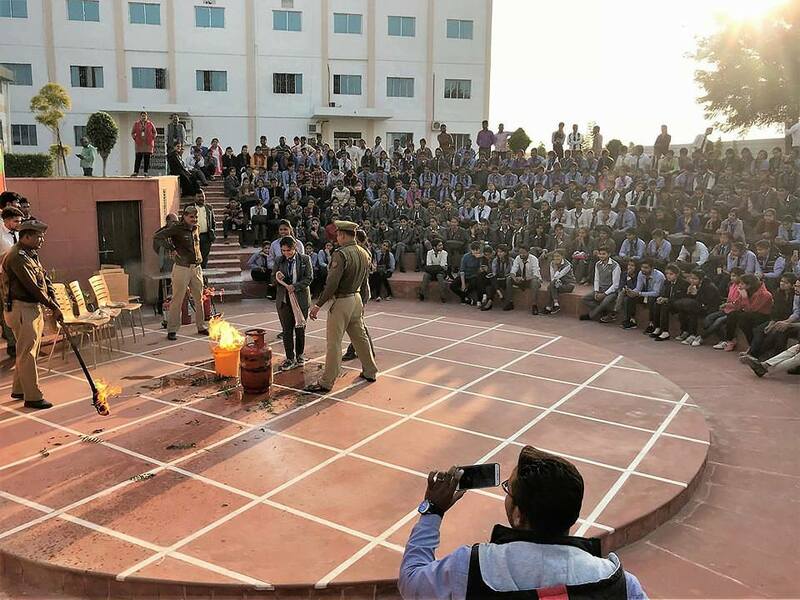 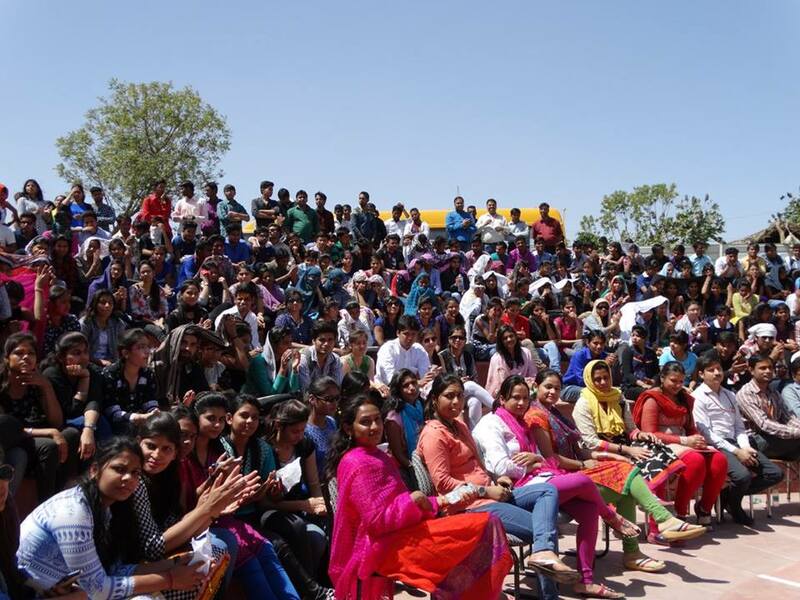 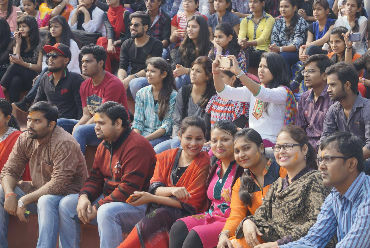 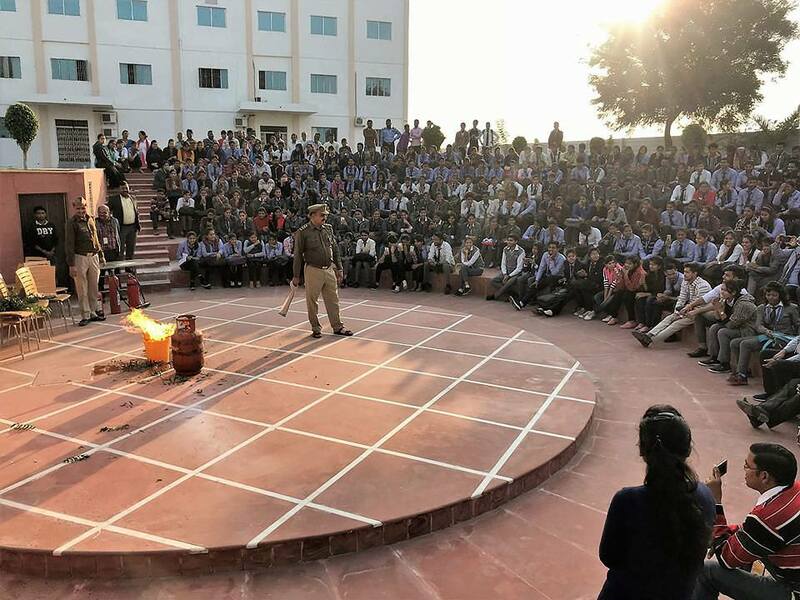 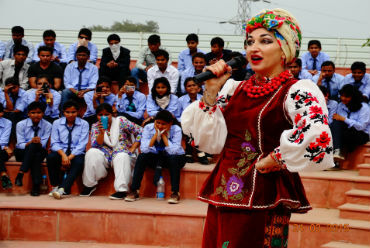 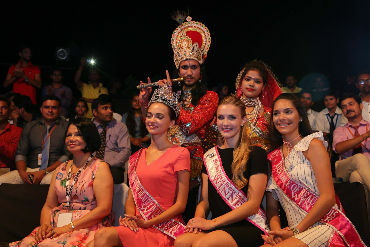 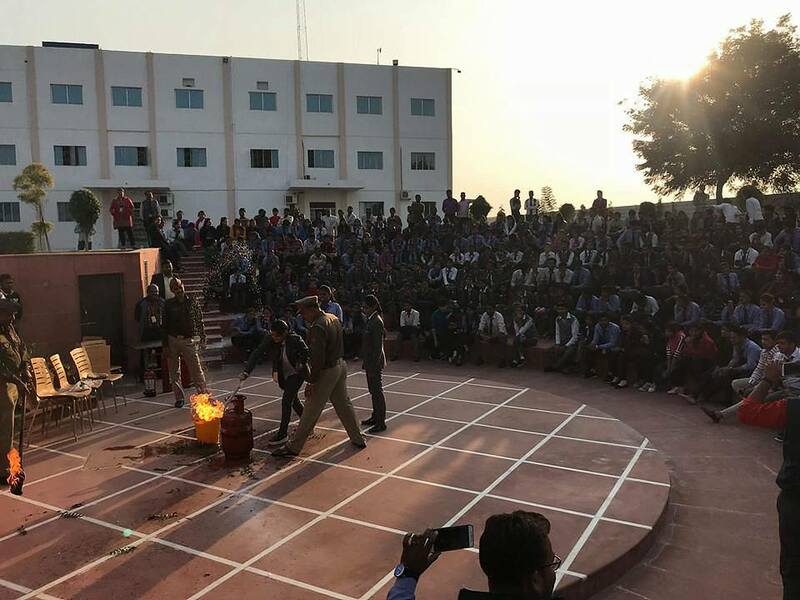 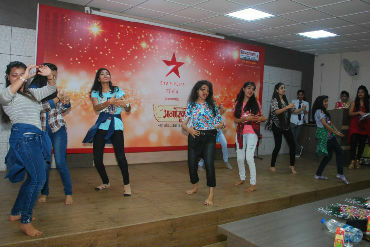 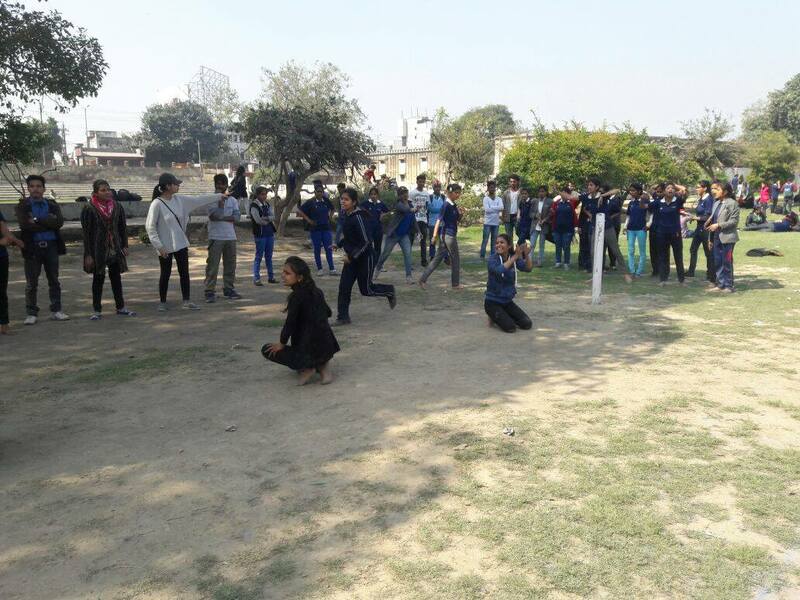 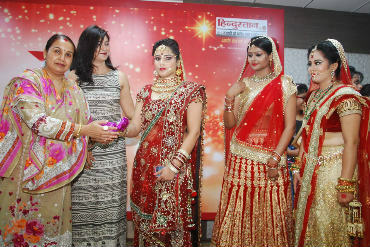 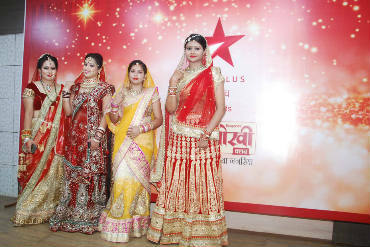 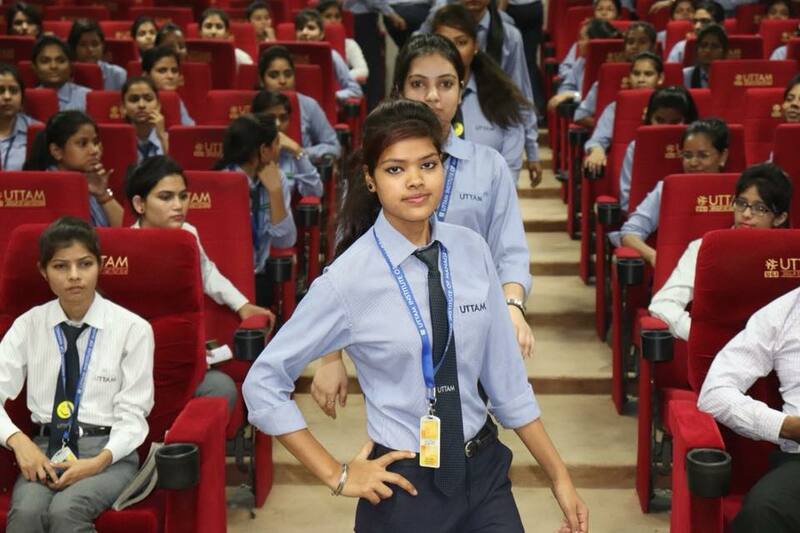 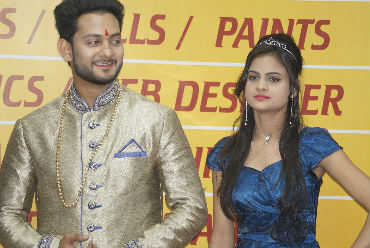 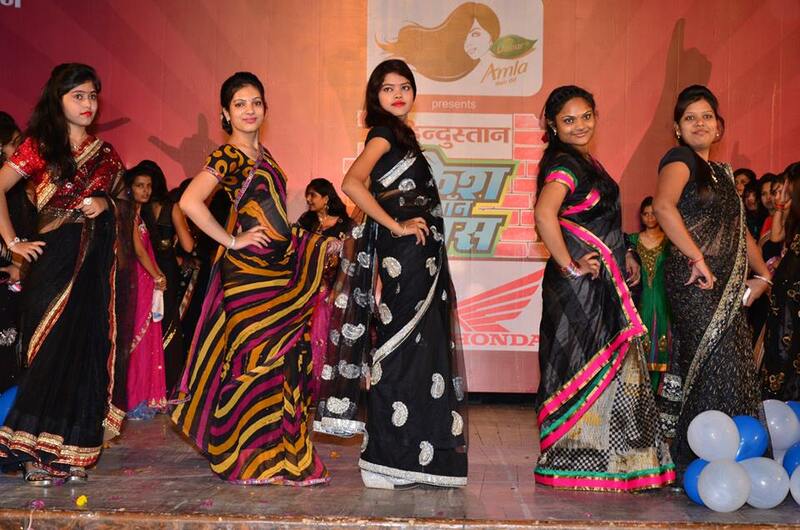 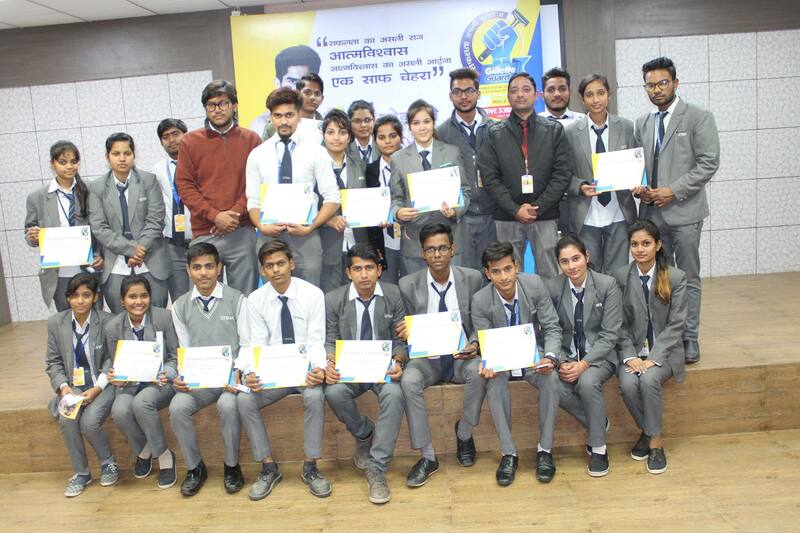 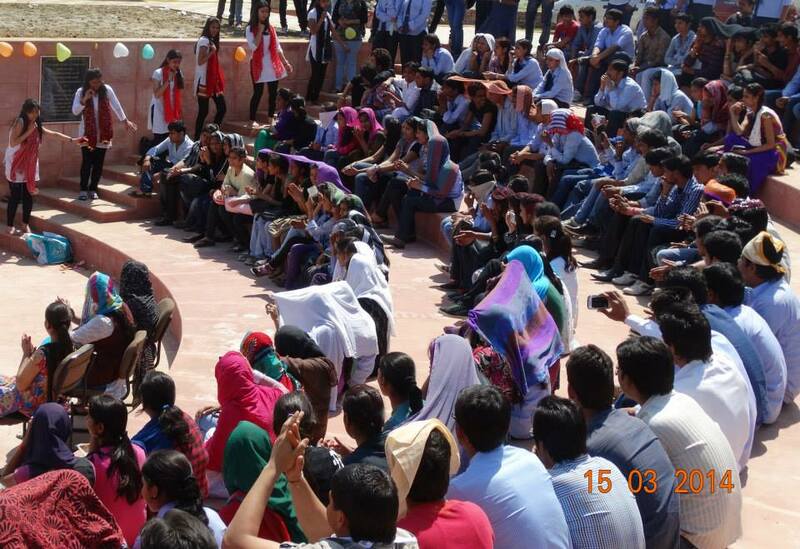 In this inter-school competition more than 200 students from schools all across Agra participated in events like singing, dancing, quiz and fine arts and awarded for their winning performances. 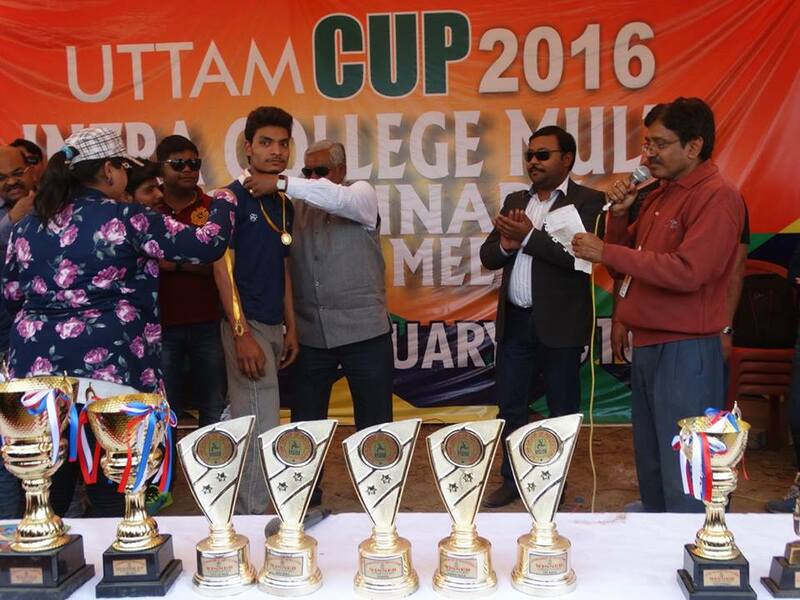 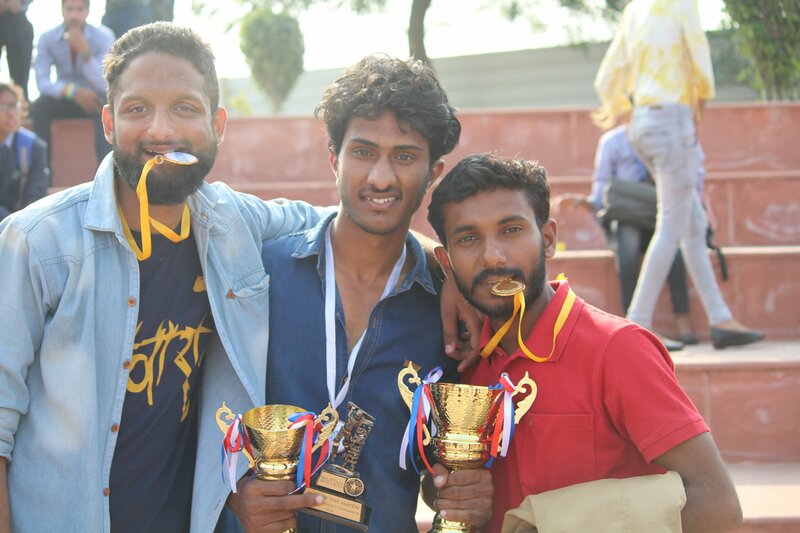 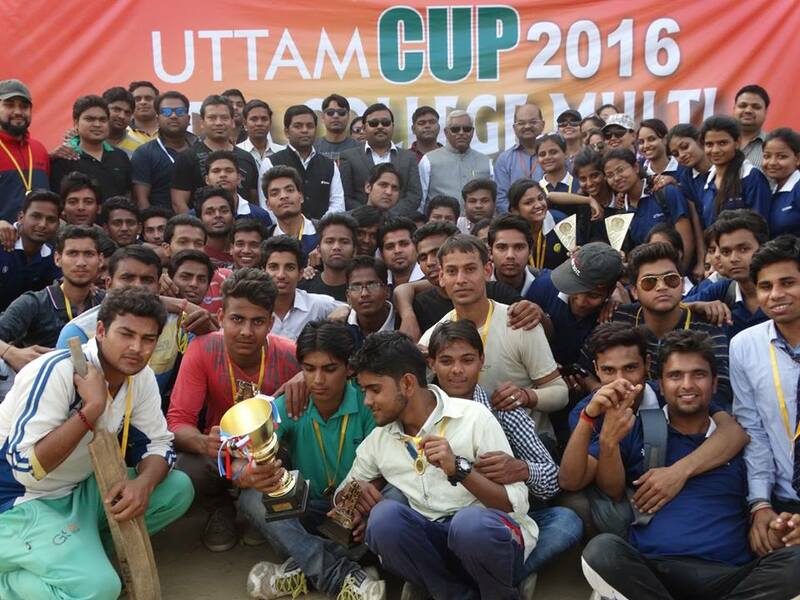 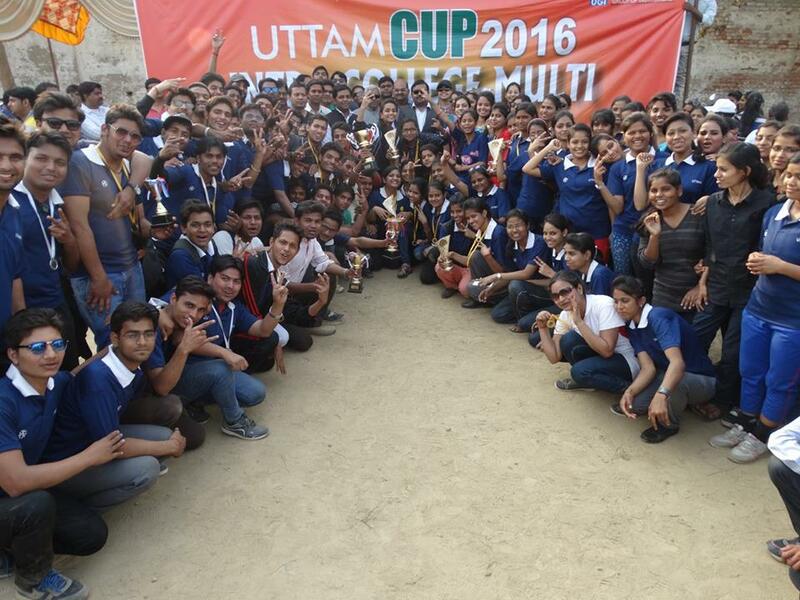 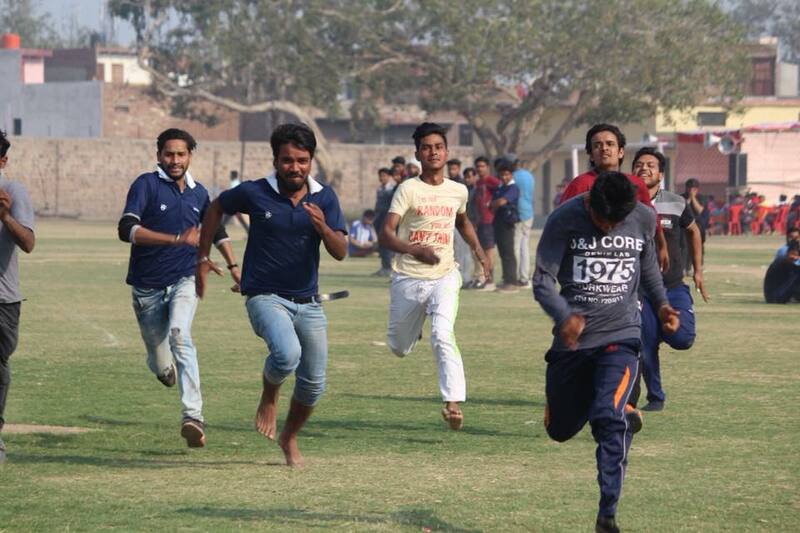 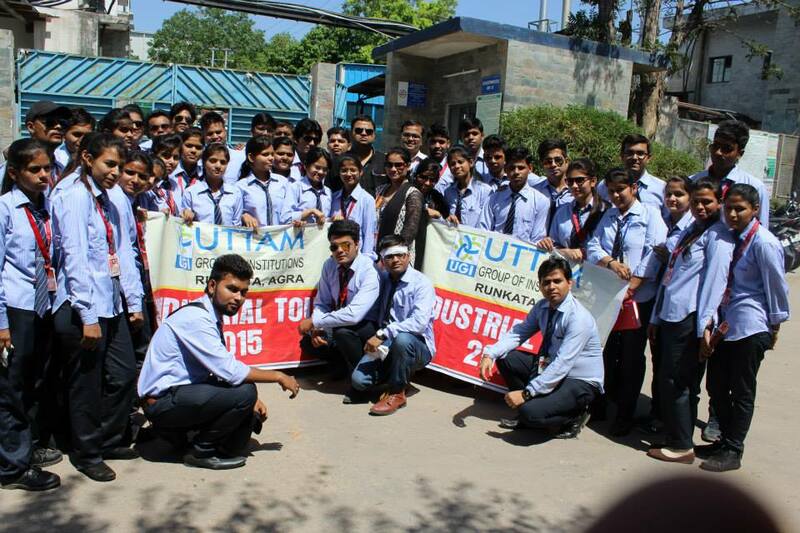 Lots of action, sports and fun in different games where BBA 2nd Year won the 'Uttam Cup 2016' in cricket. 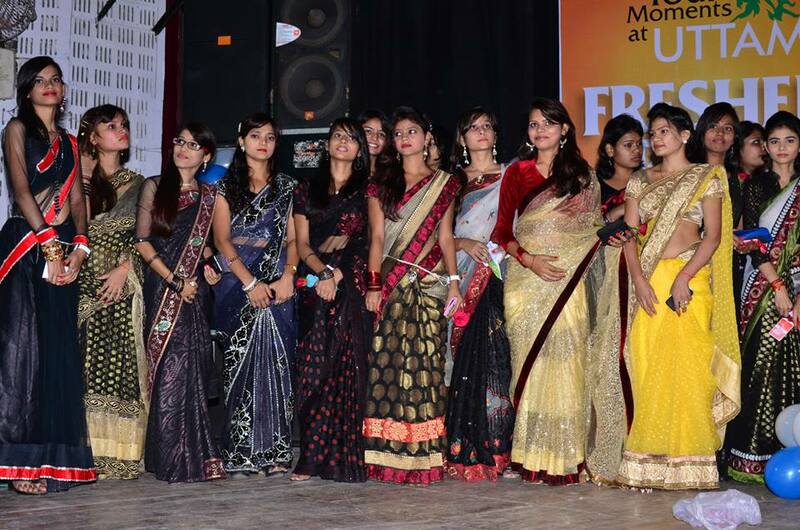 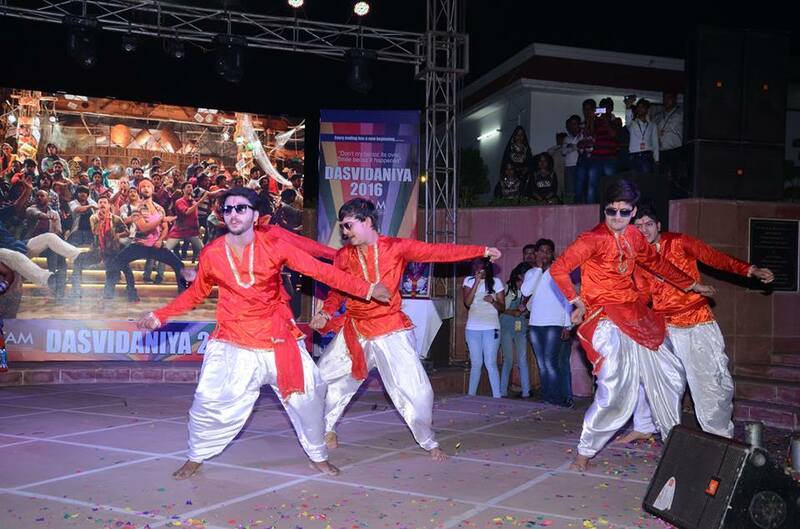 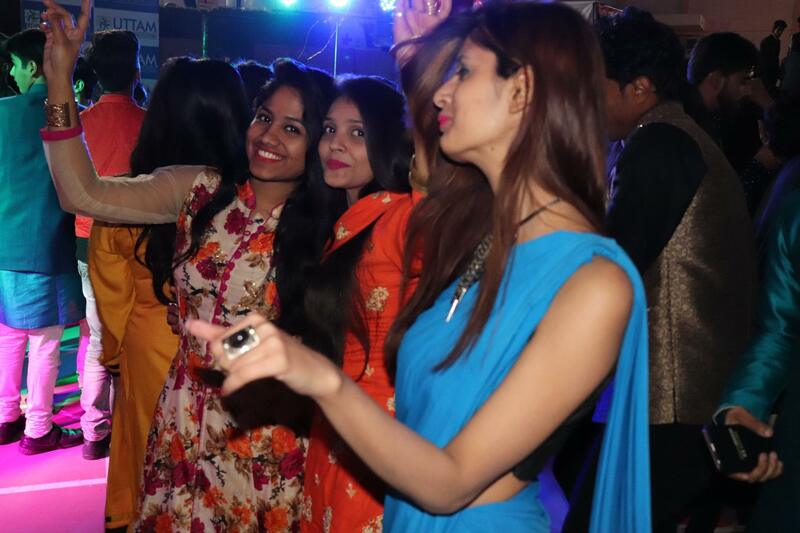 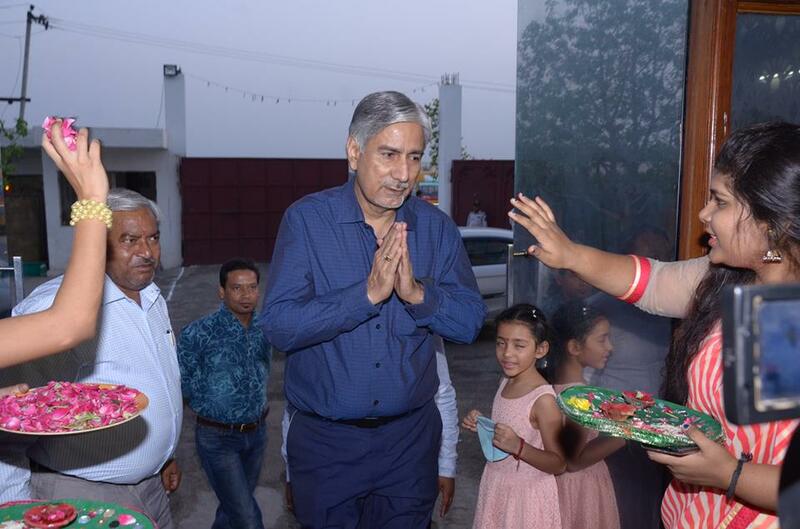 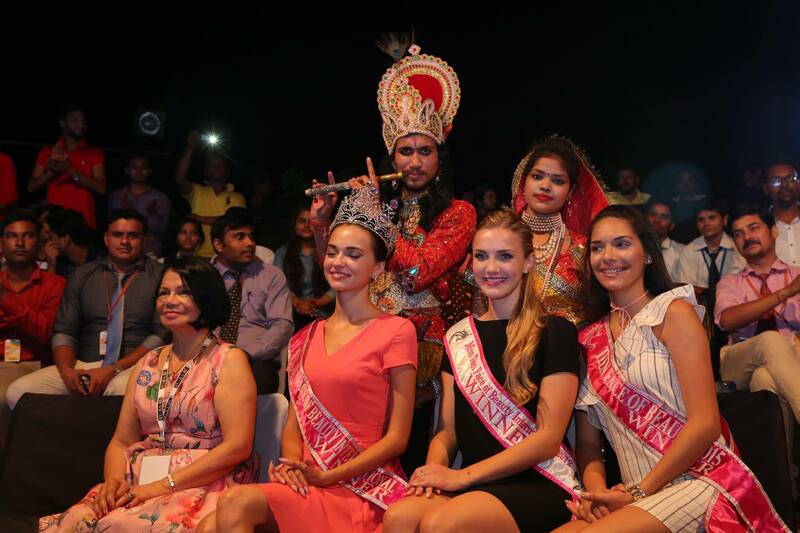 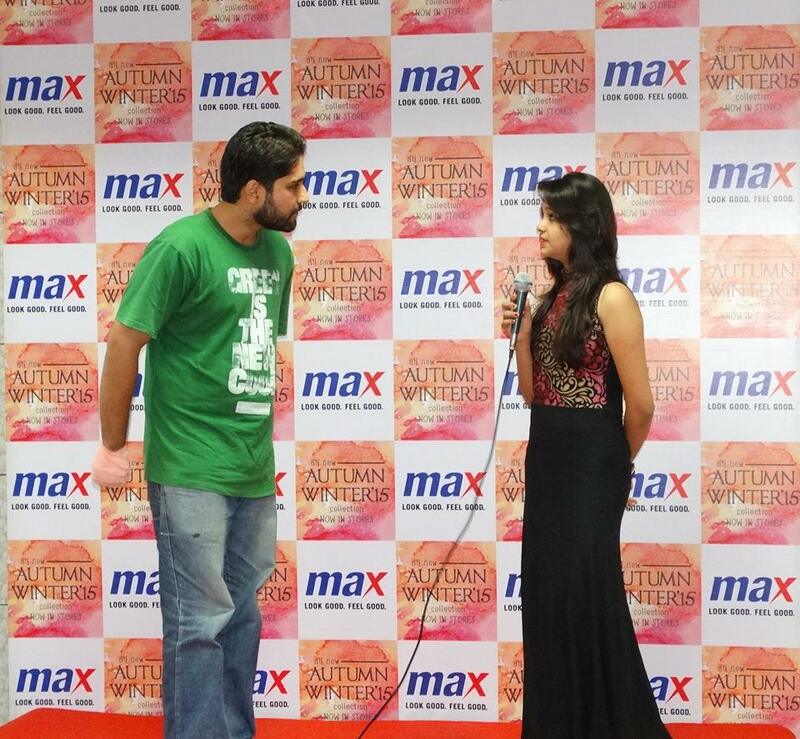 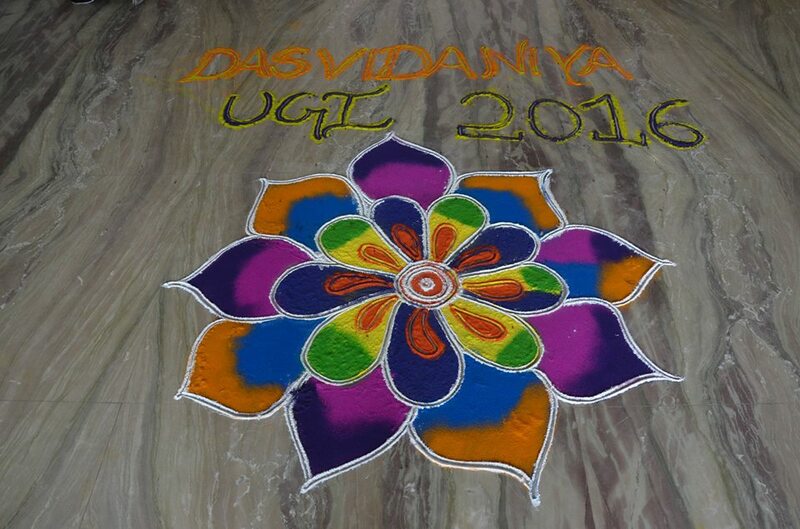 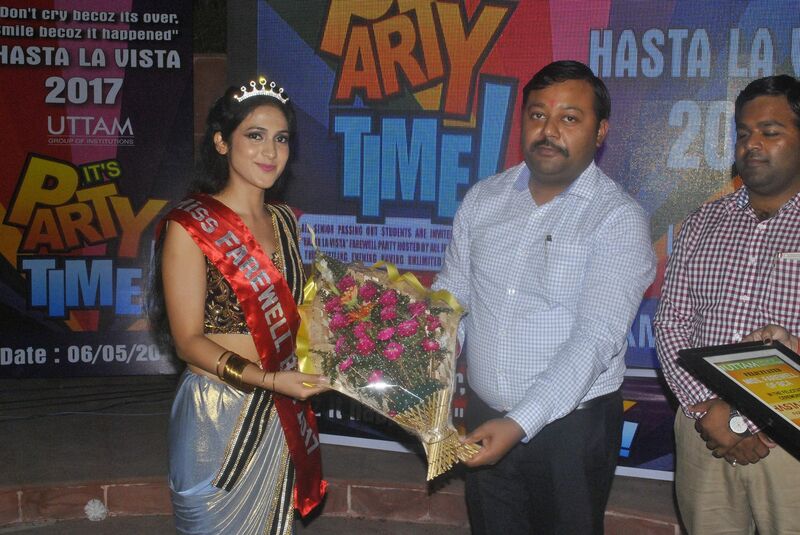 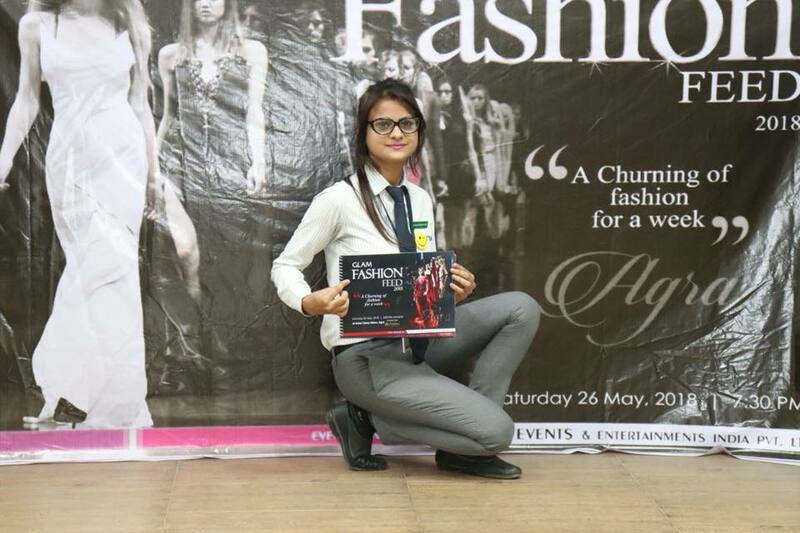 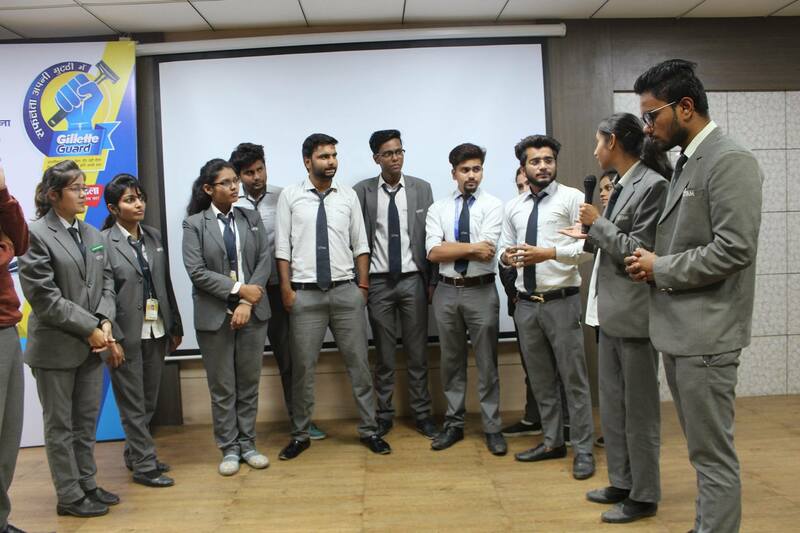 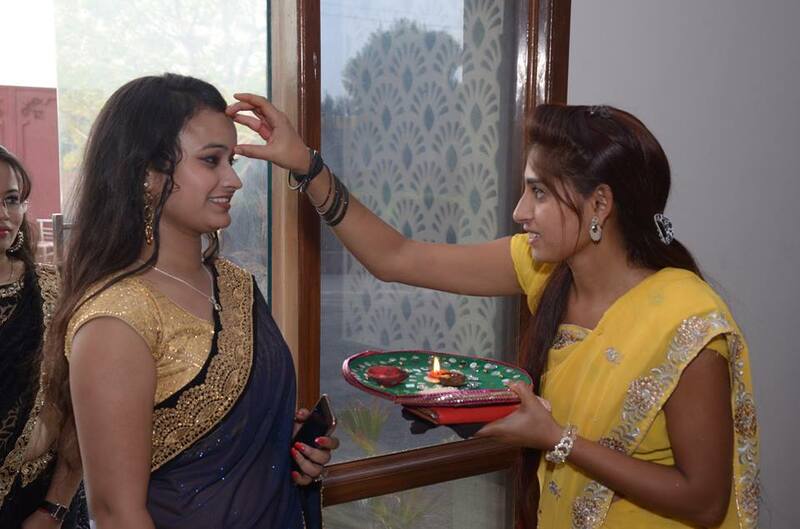 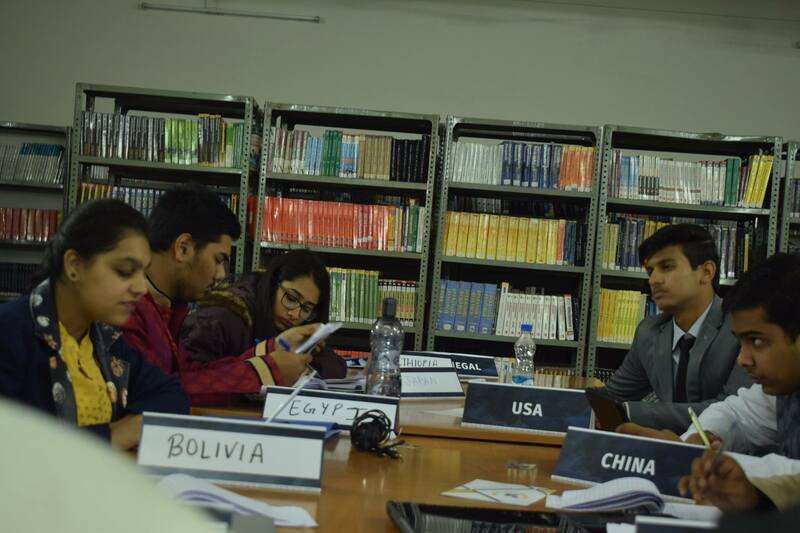 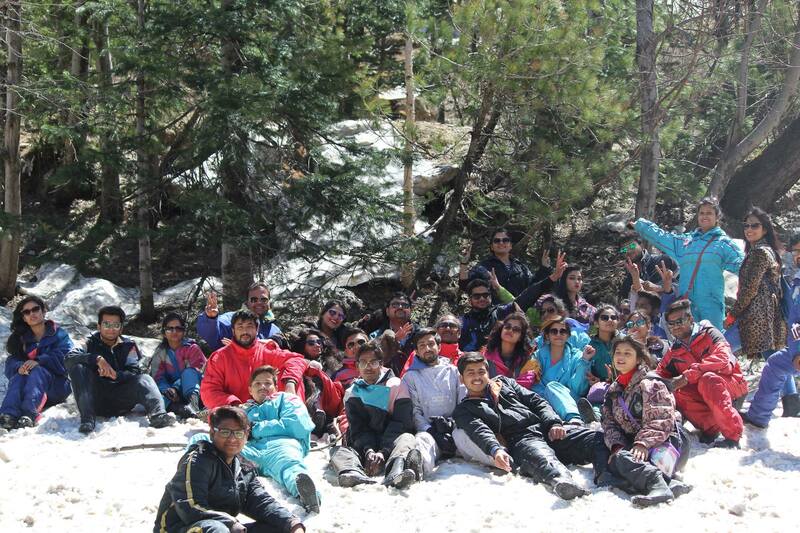 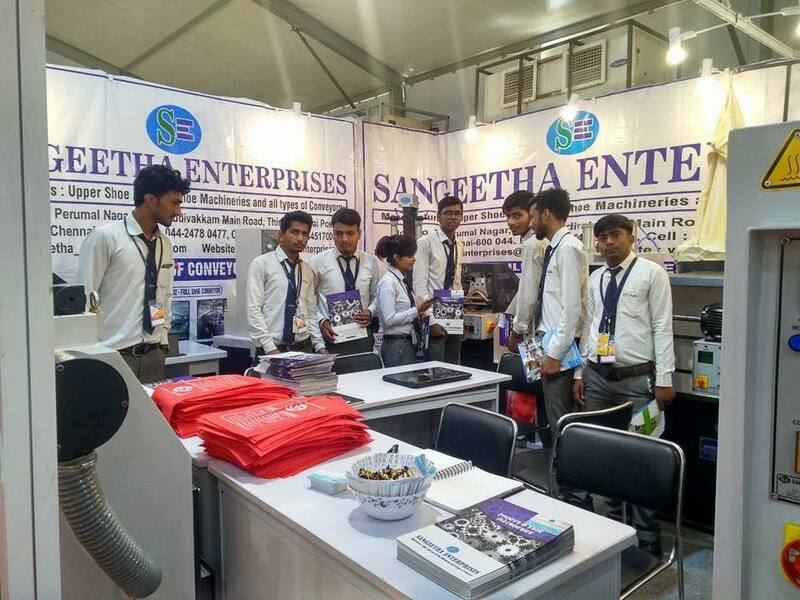 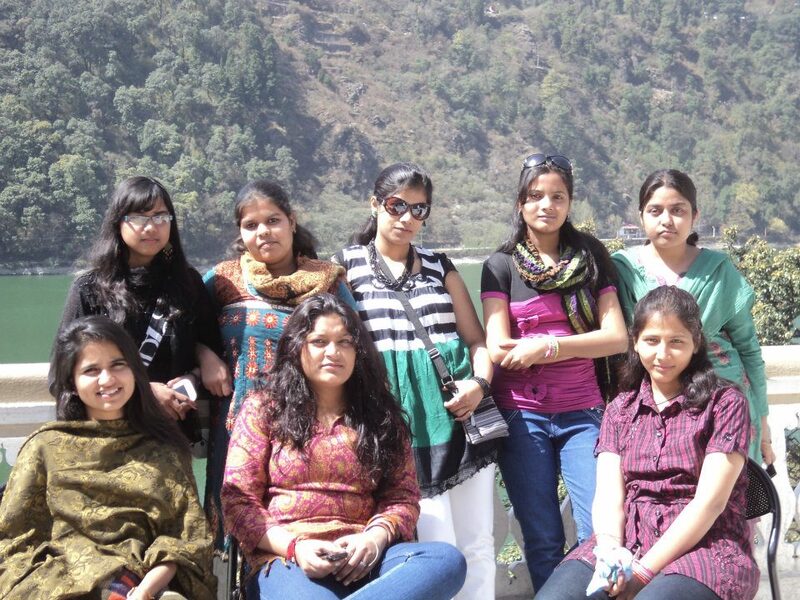 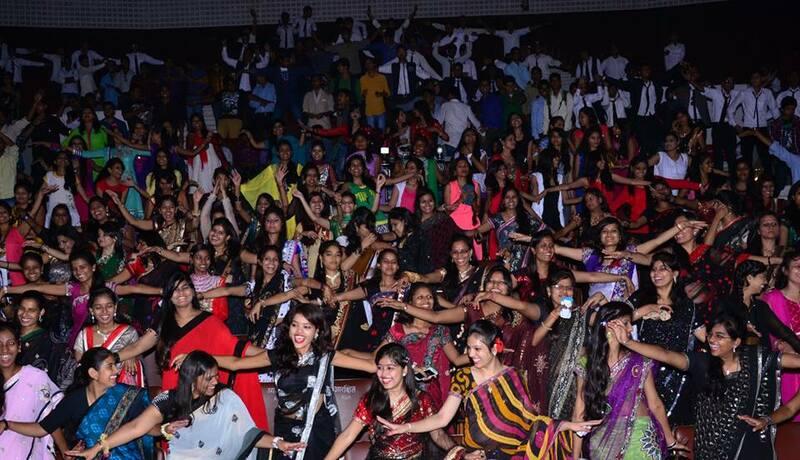 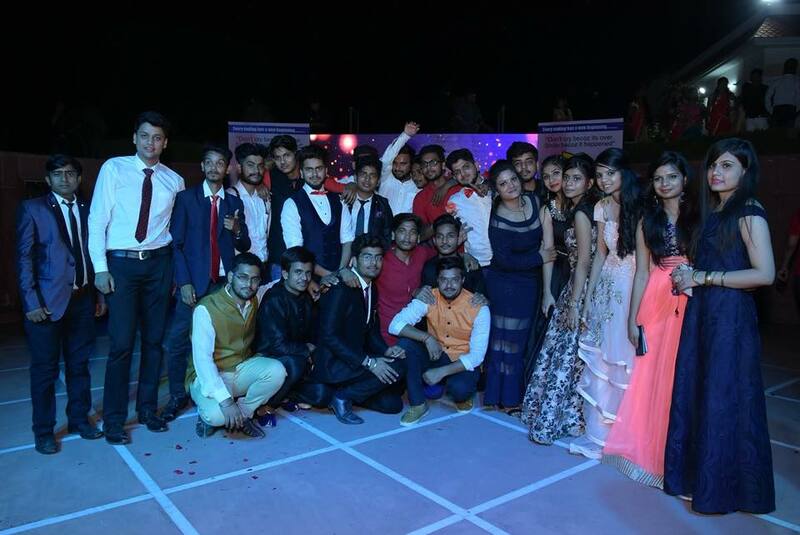 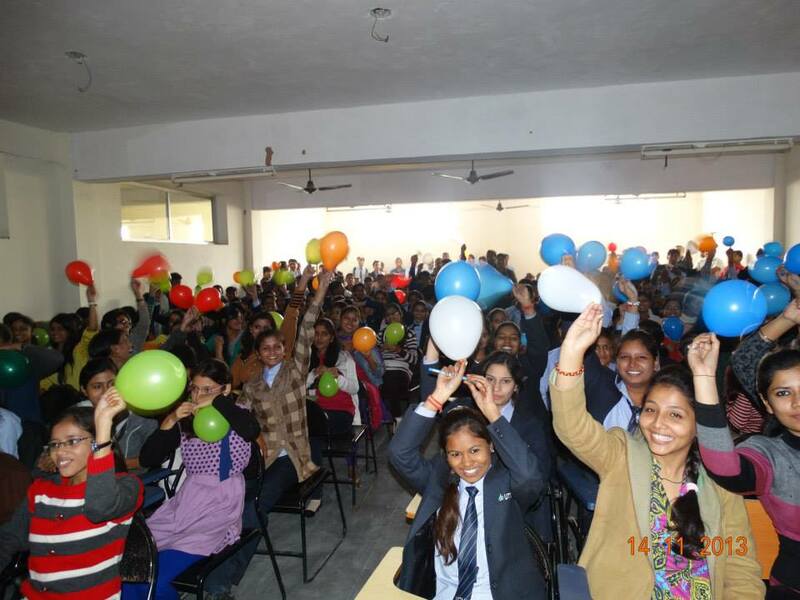 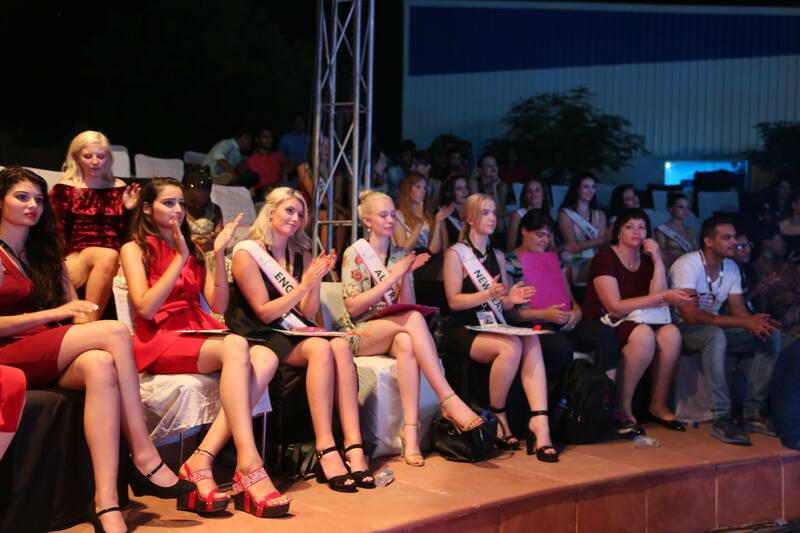 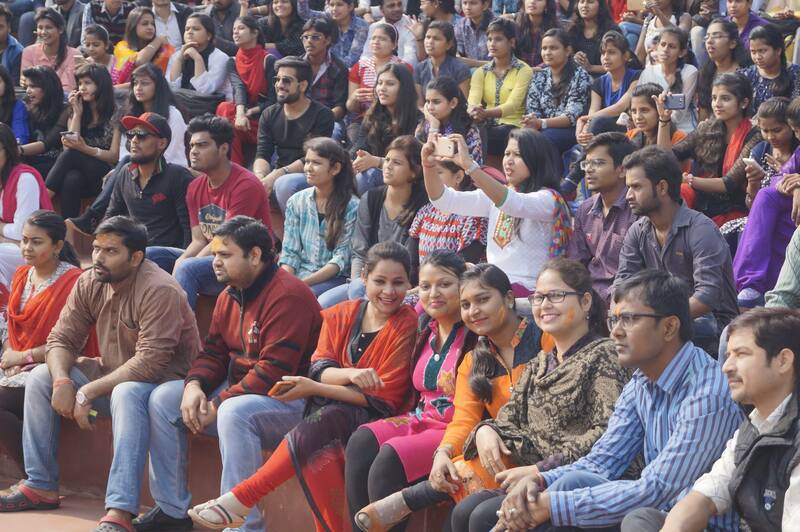 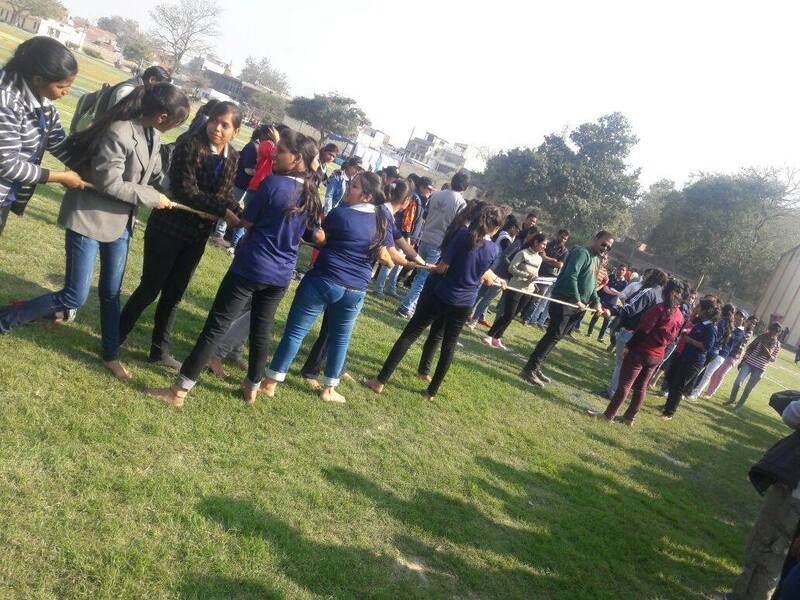 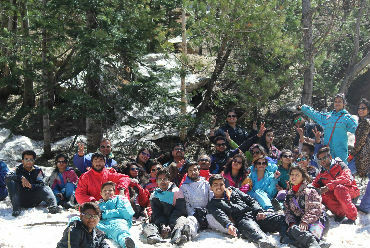 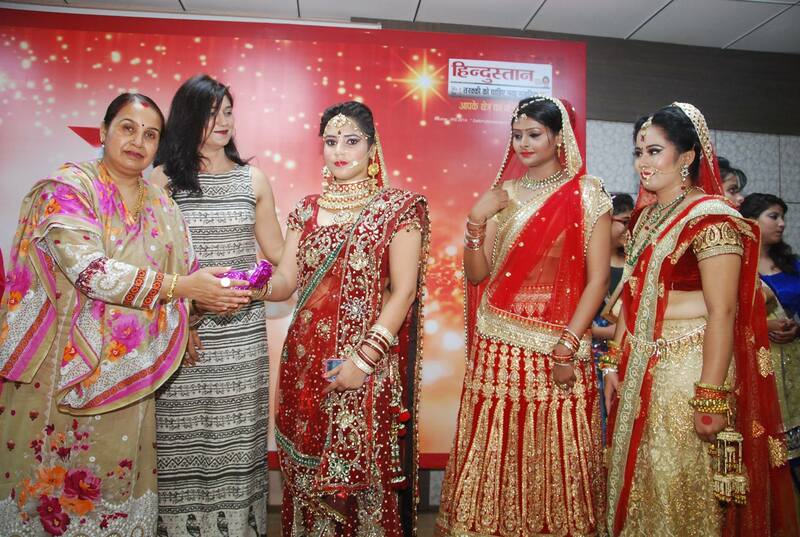 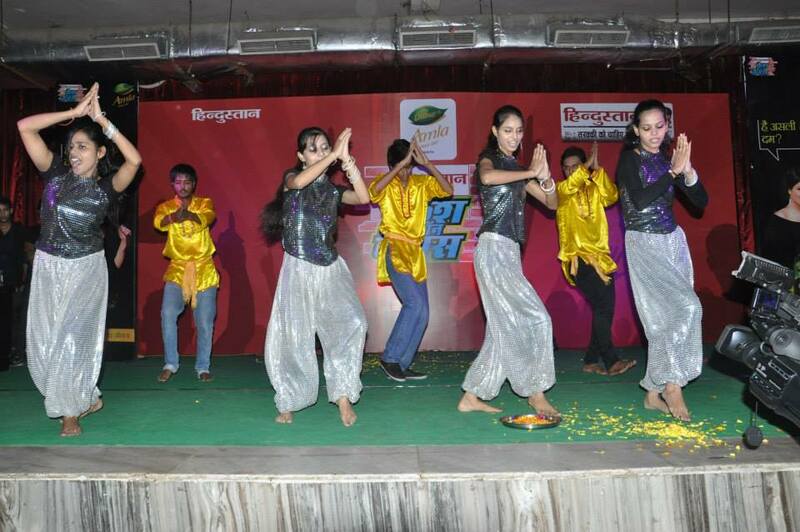 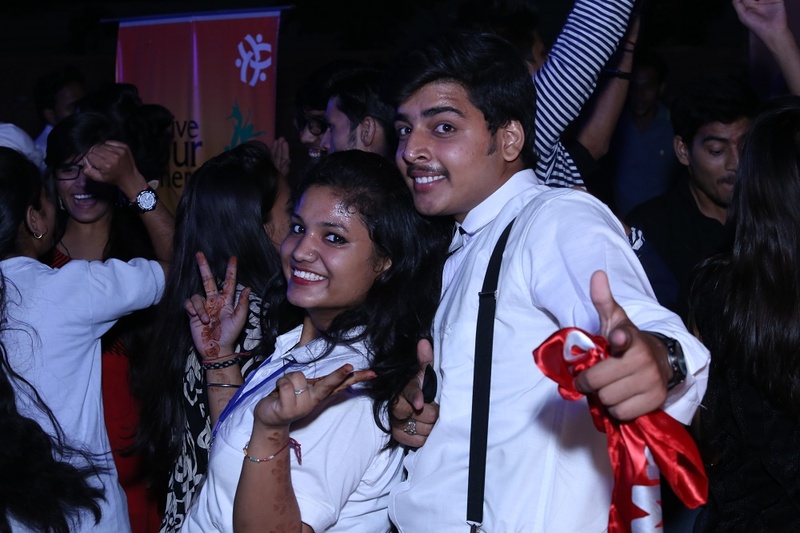 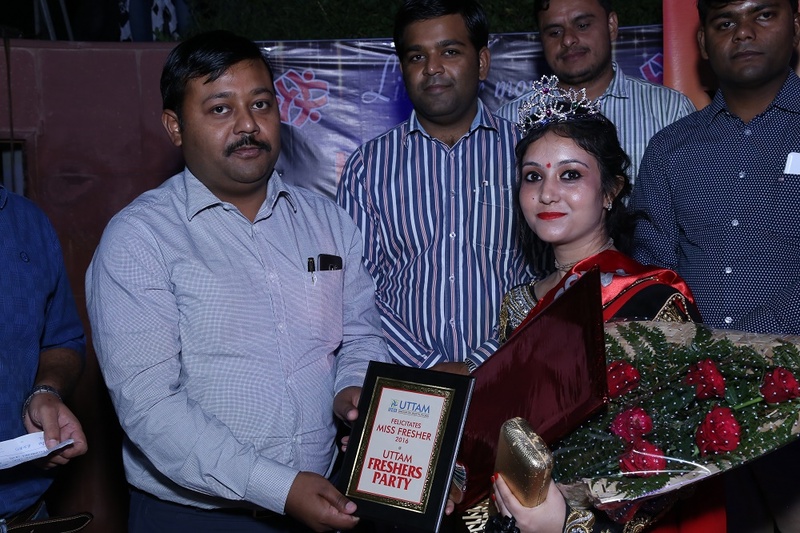 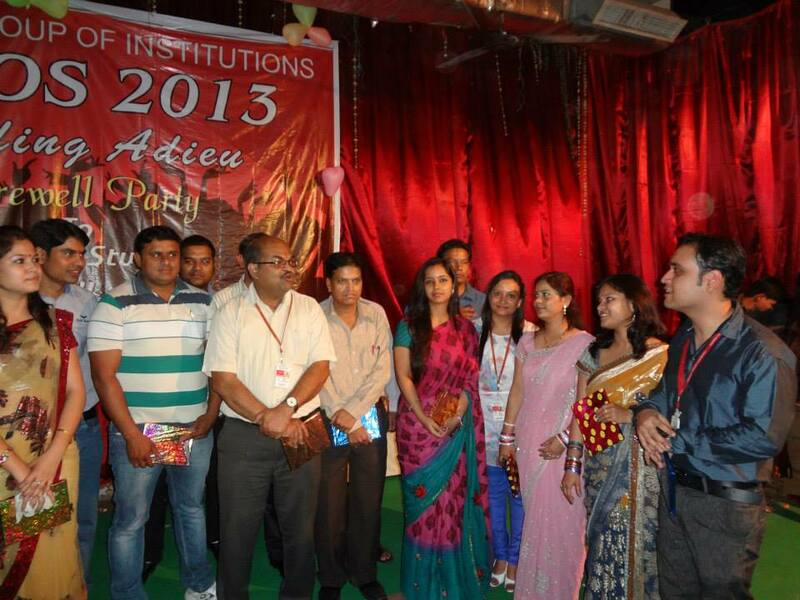 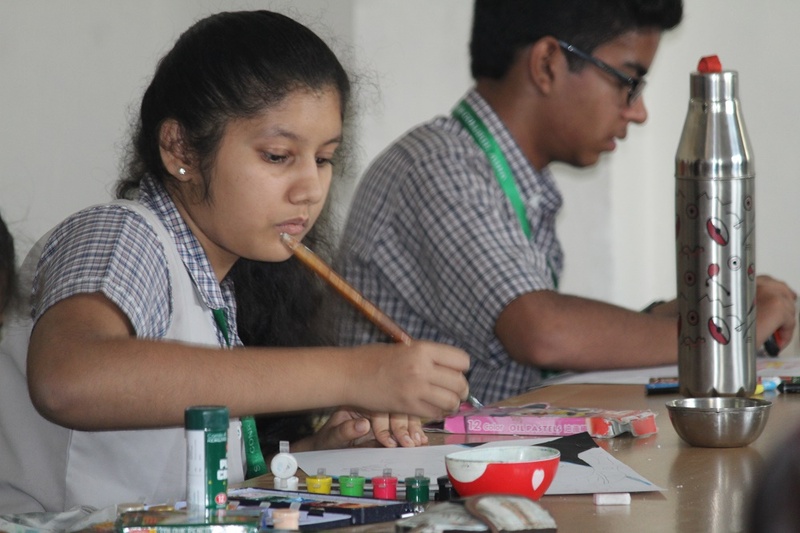 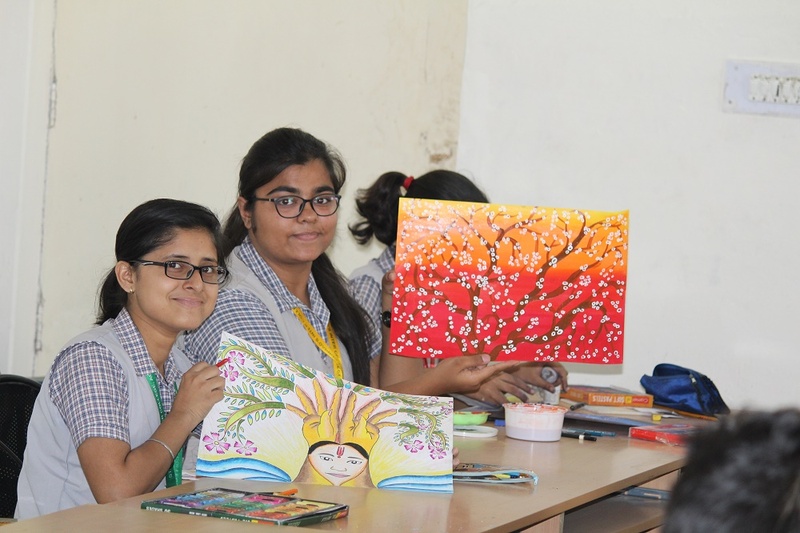 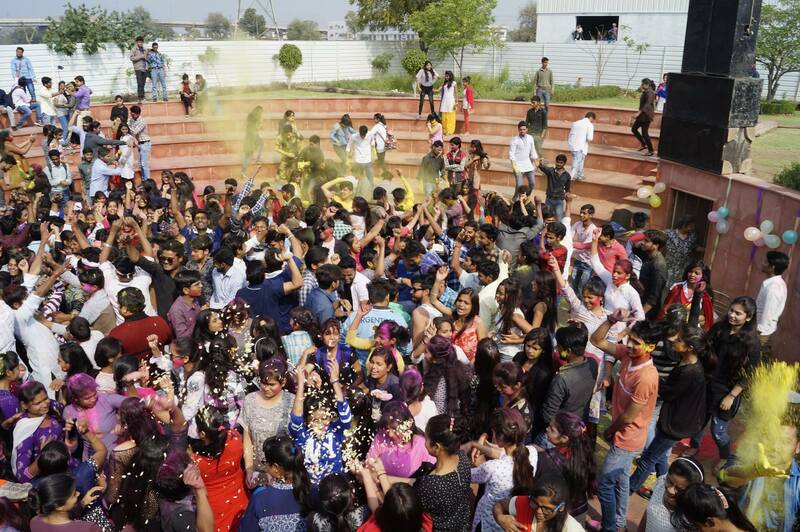 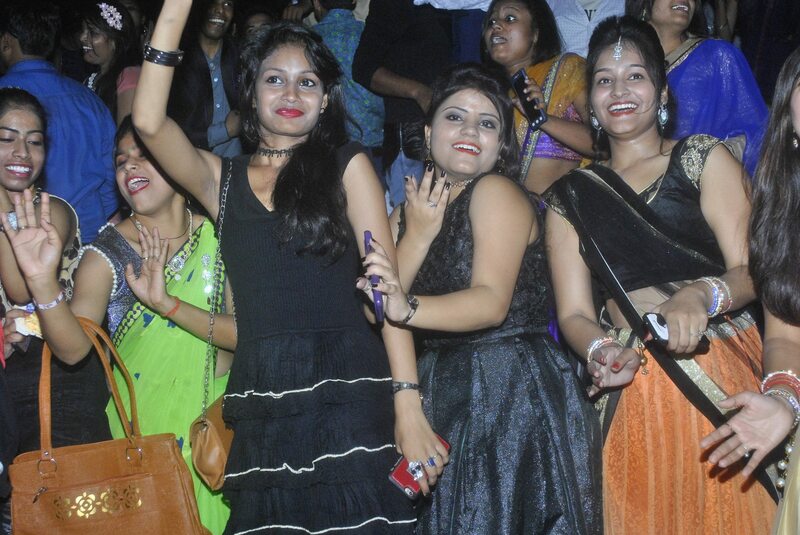 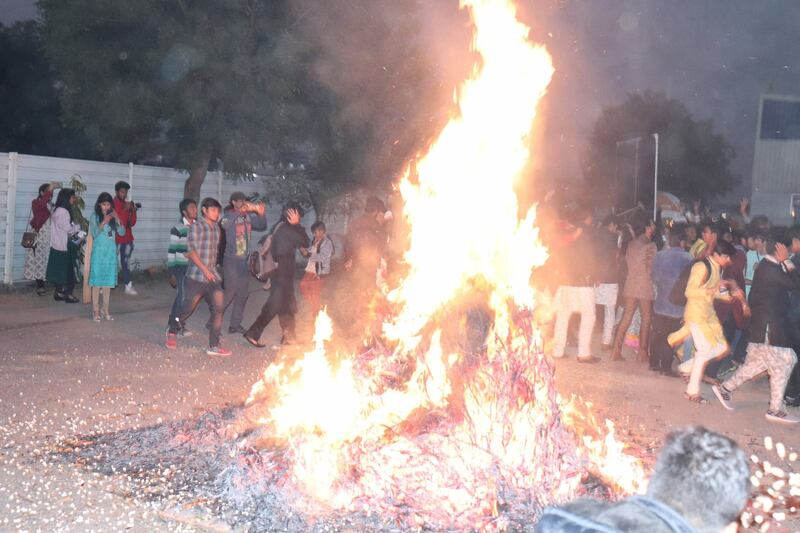 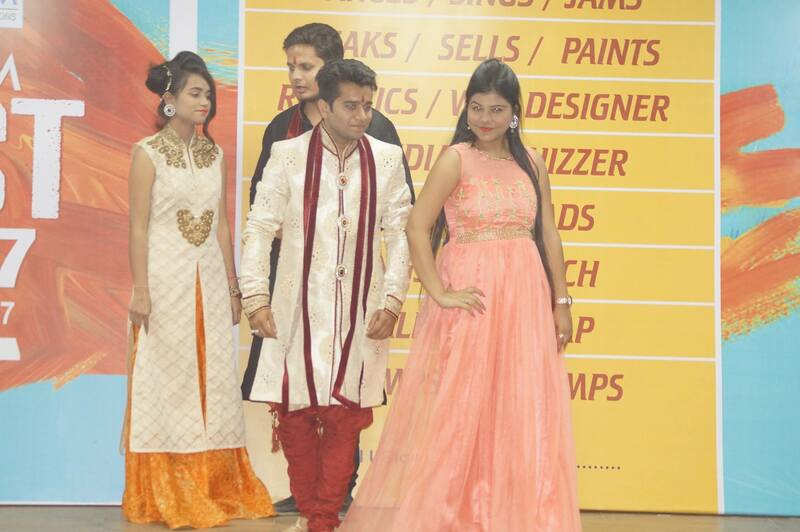 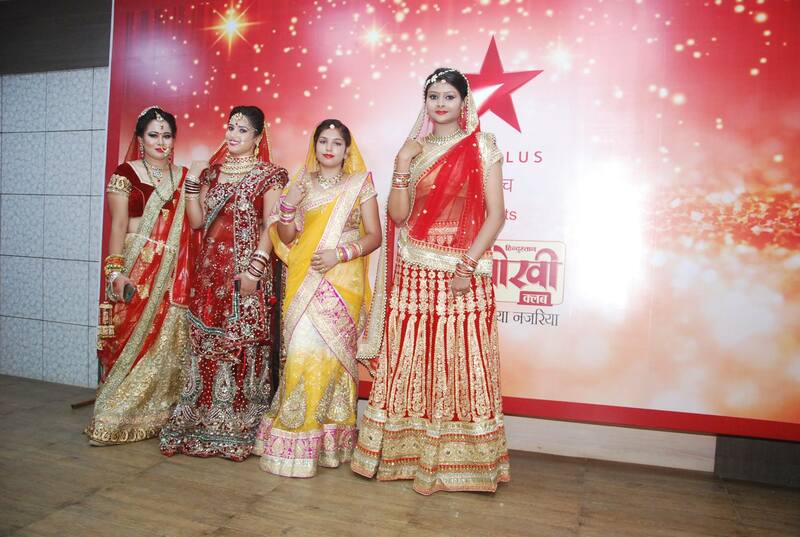 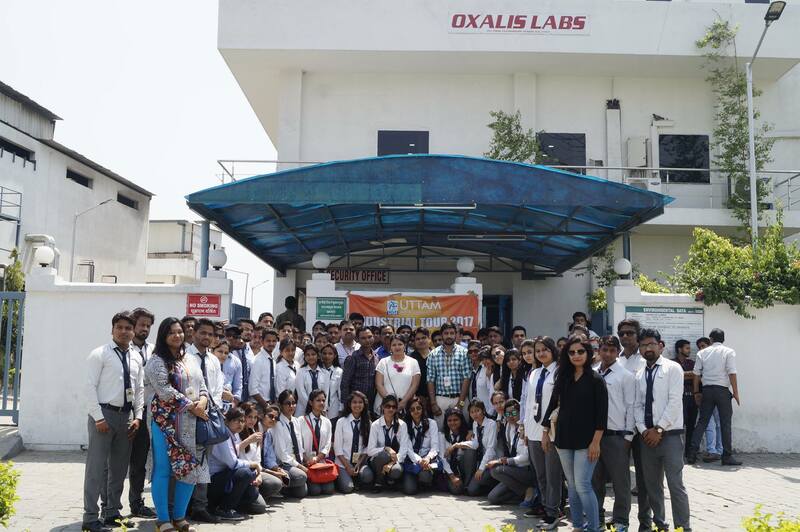 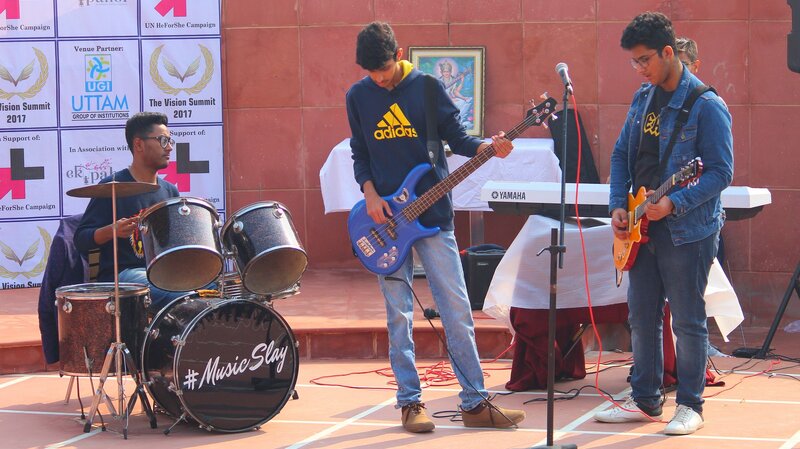 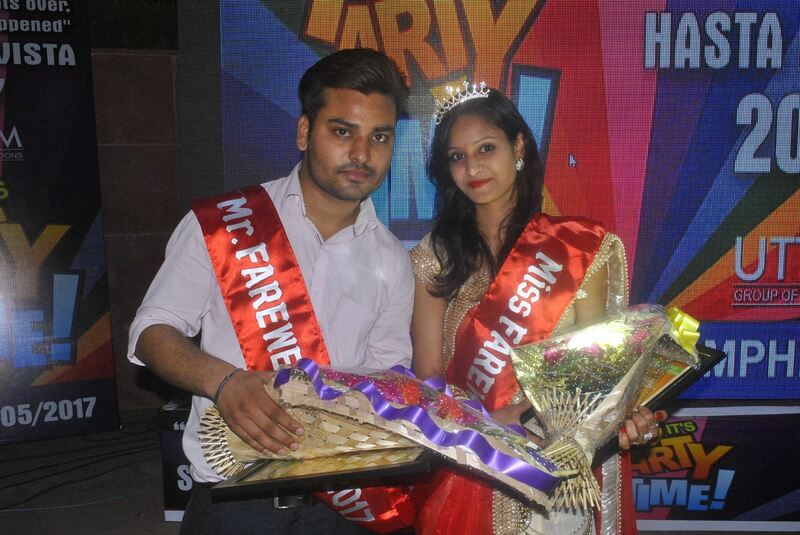 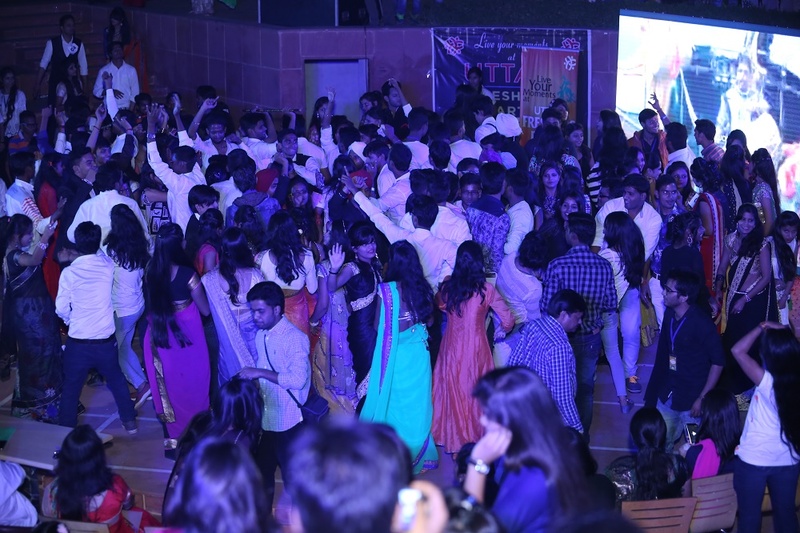 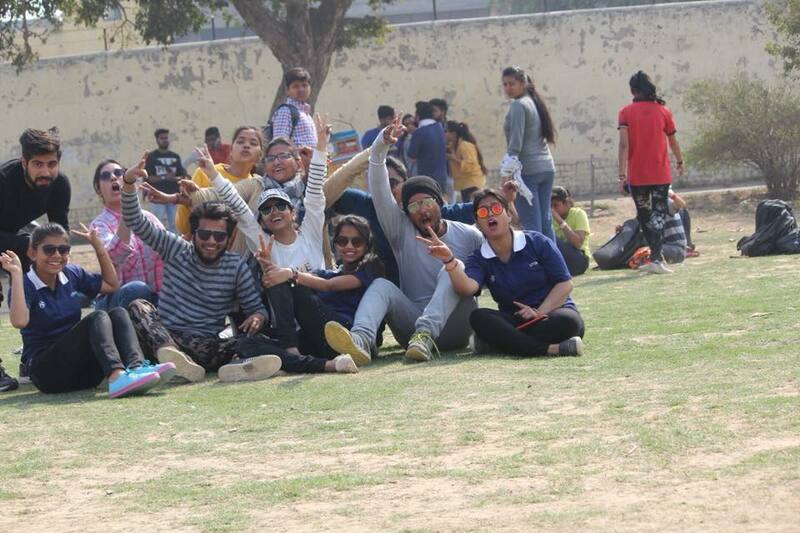 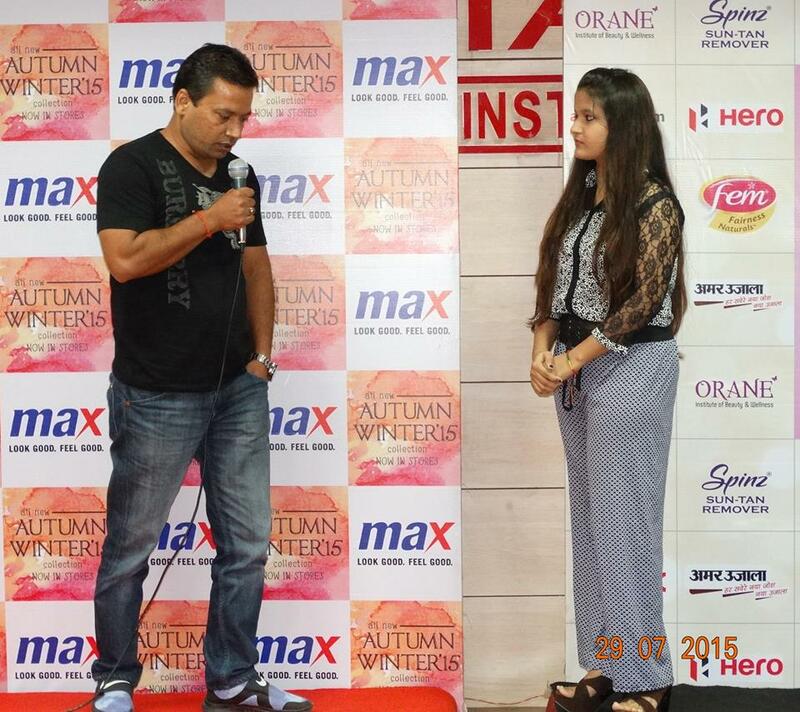 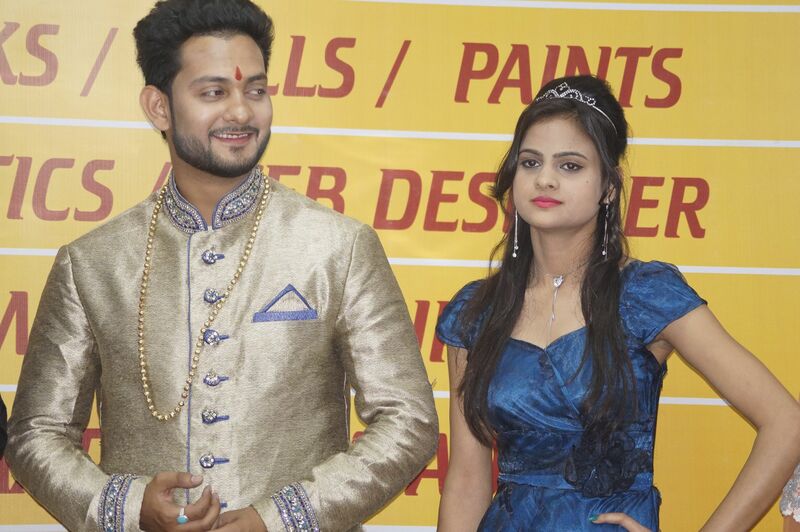 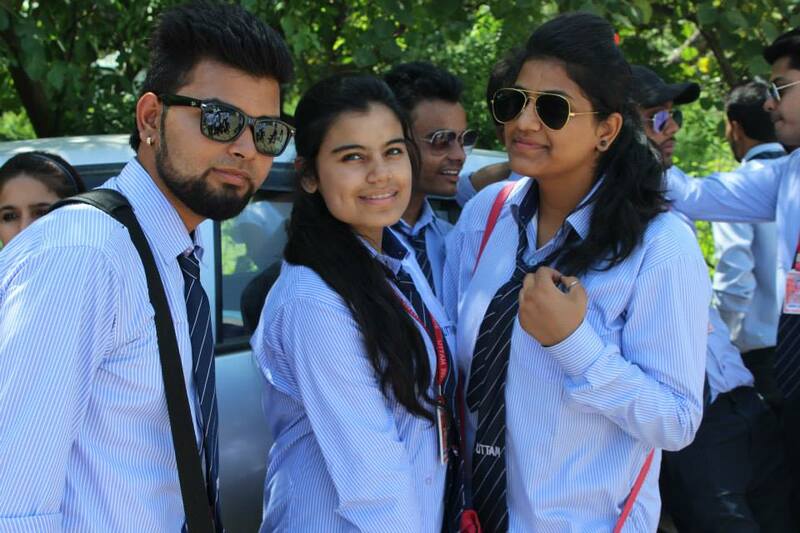 Some glimpses of "DASVIDANIYA 2016", a Fairewell Party hosted by the senior students to their junior. 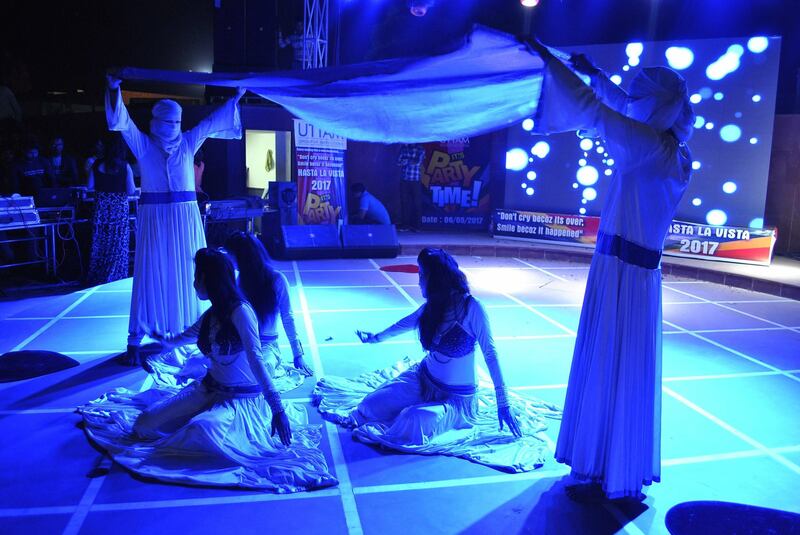 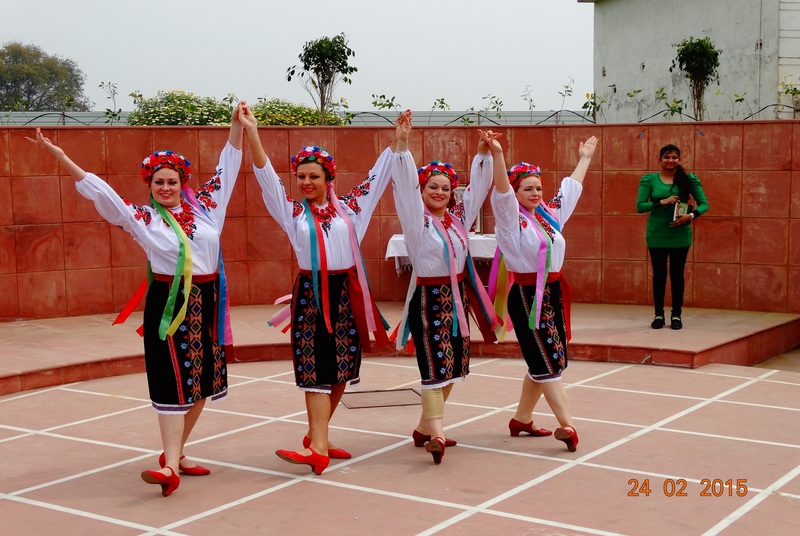 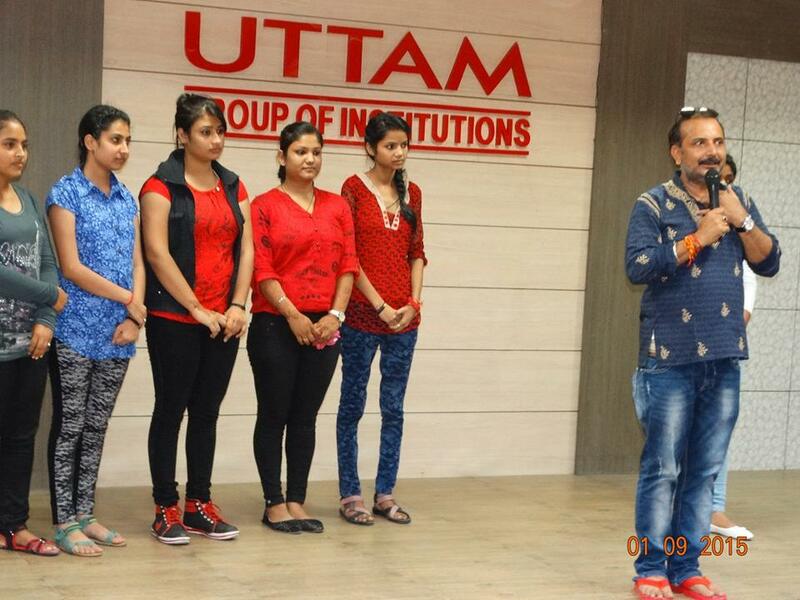 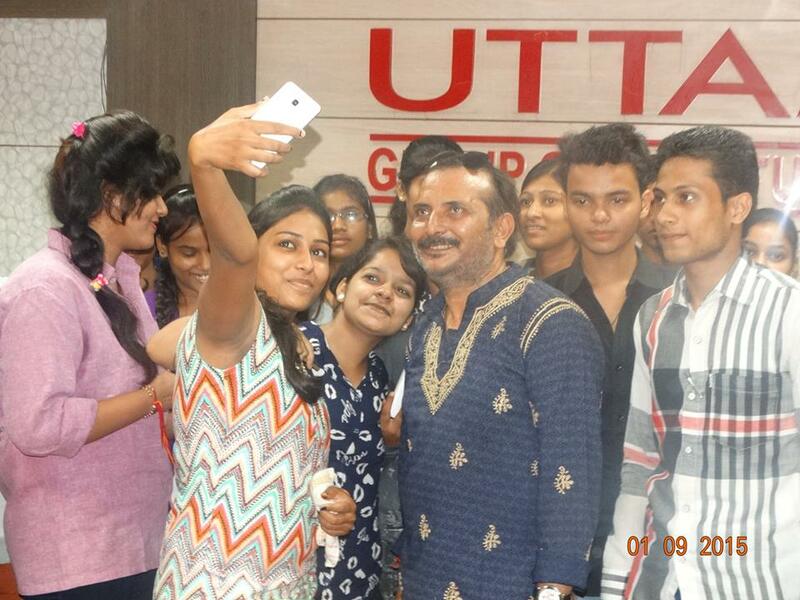 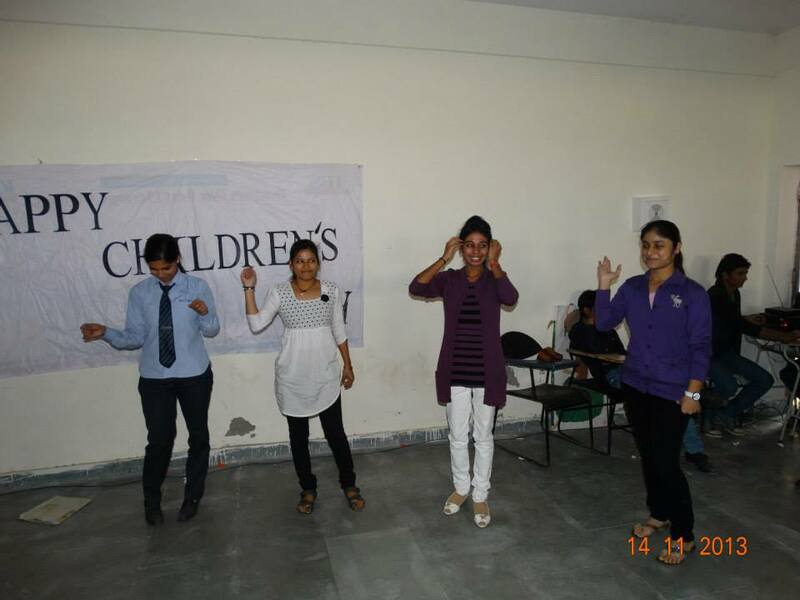 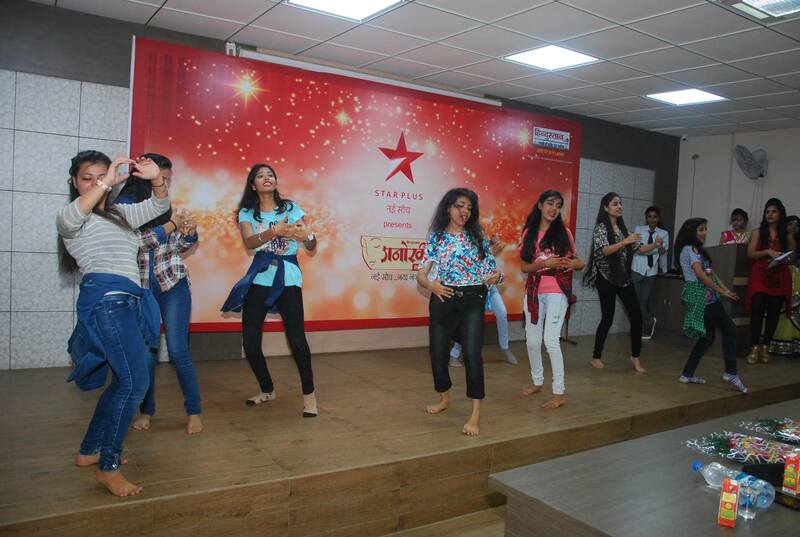 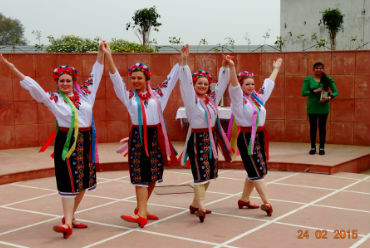 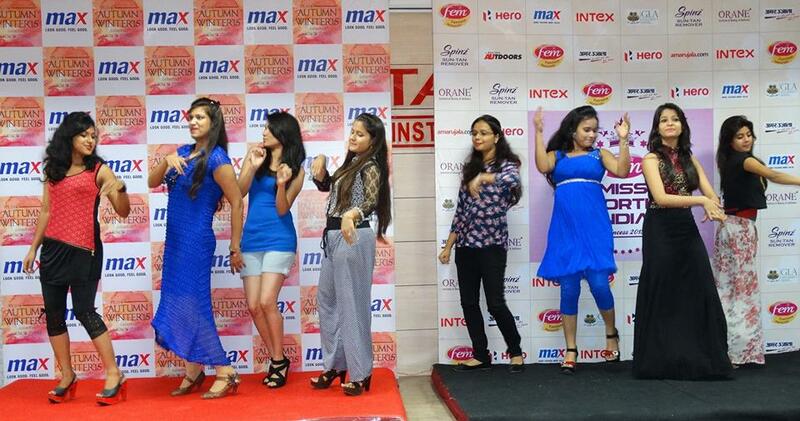 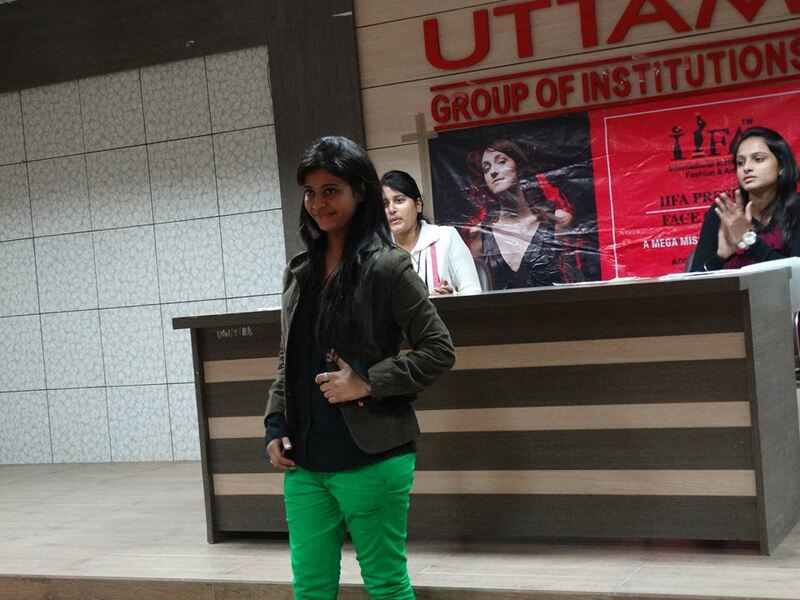 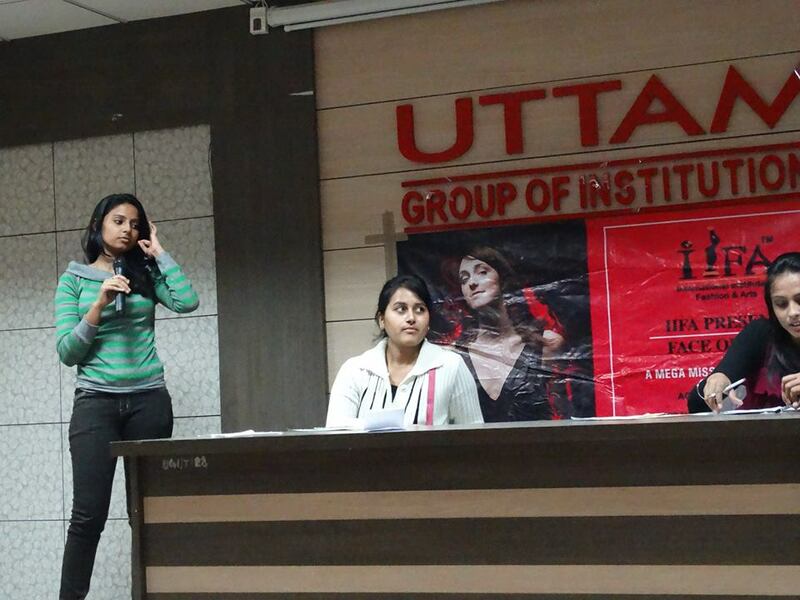 Two Days Workshop Conducted By Ukrain Dance Group for all the students of UGI.